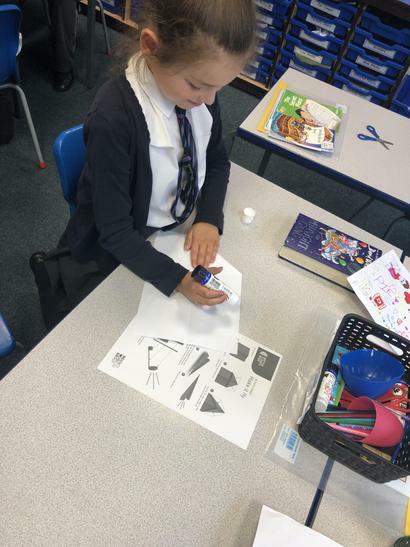 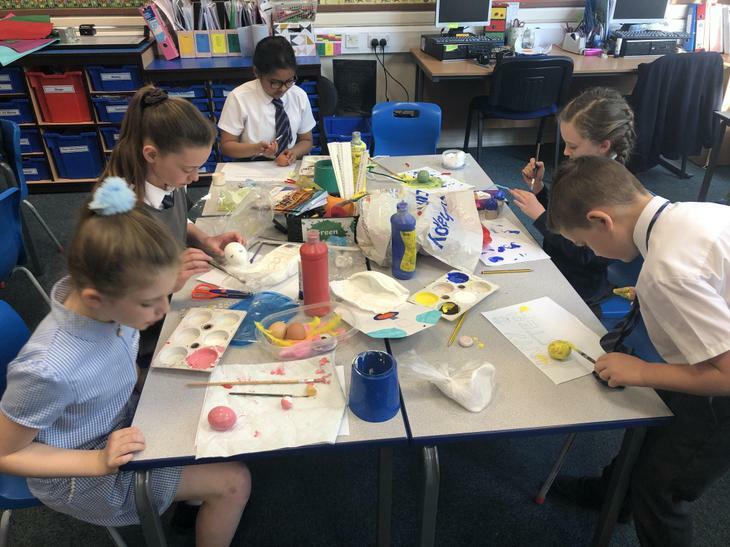 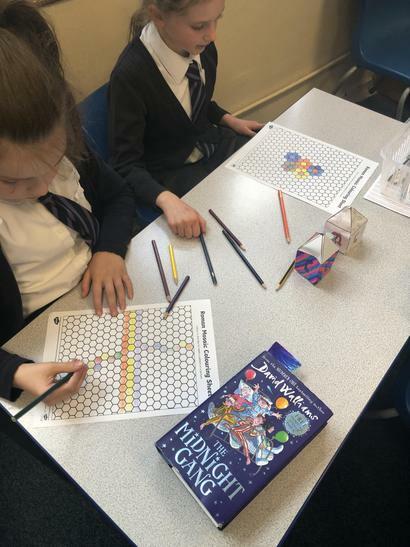 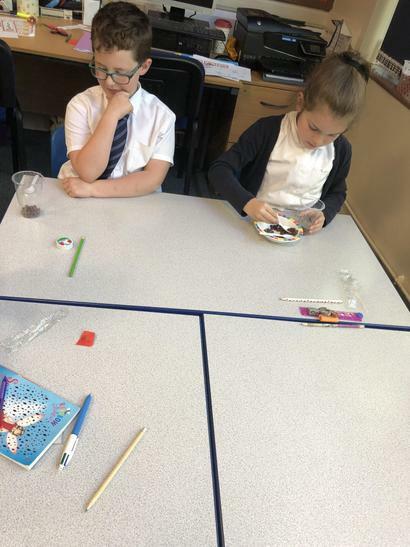 In Class 9 we love to learn, try new things and be creative! 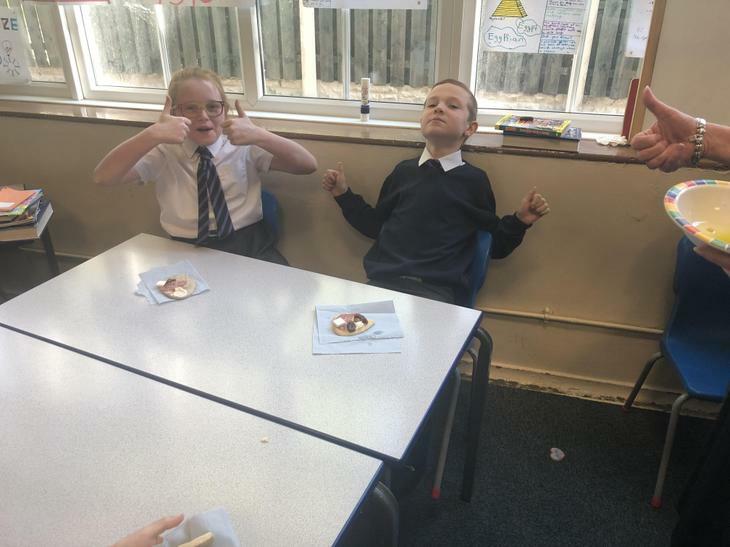 We also have high standards and high expectations for behaviour. 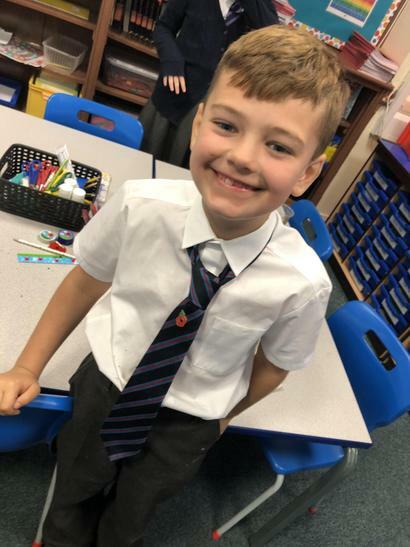 We are excited for amazing year together! 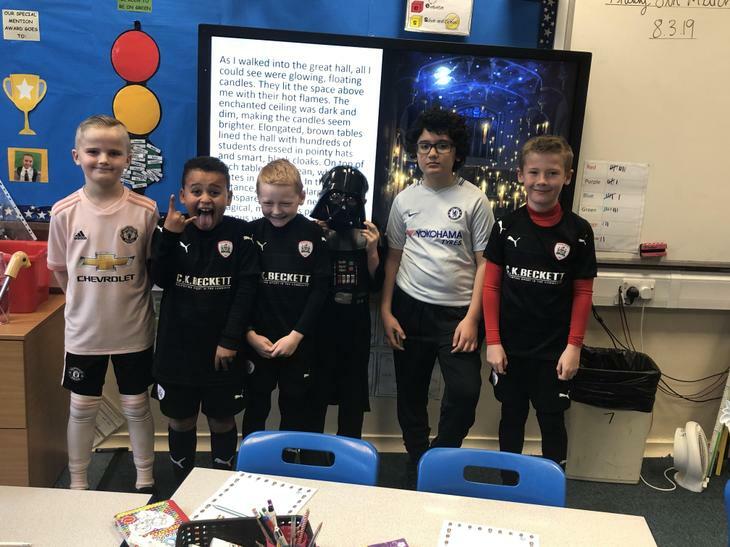 Our PE days are Mondays and Tuesdays so please ensure children have full PE kits on these days. 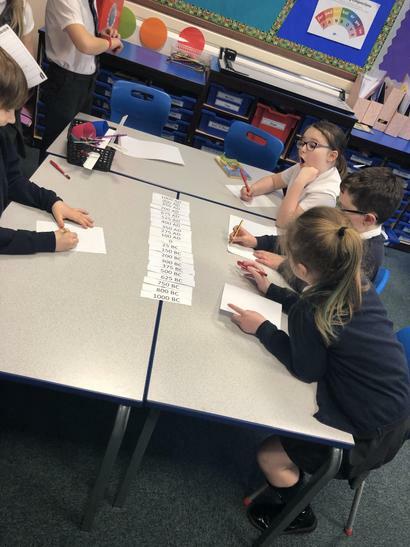 Children will receive spellings on a Wednesday to be tested the following week. 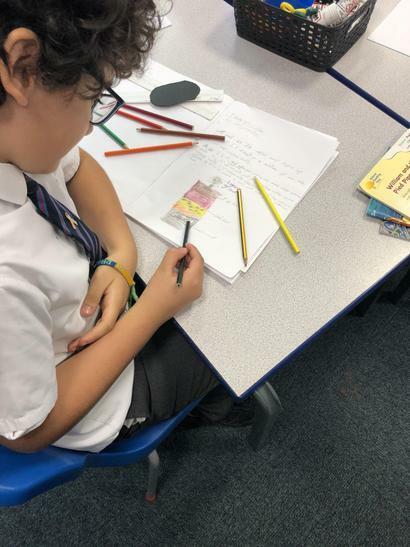 Homework will also be sent out on a Wednesday to be returned by the following Wednesday. 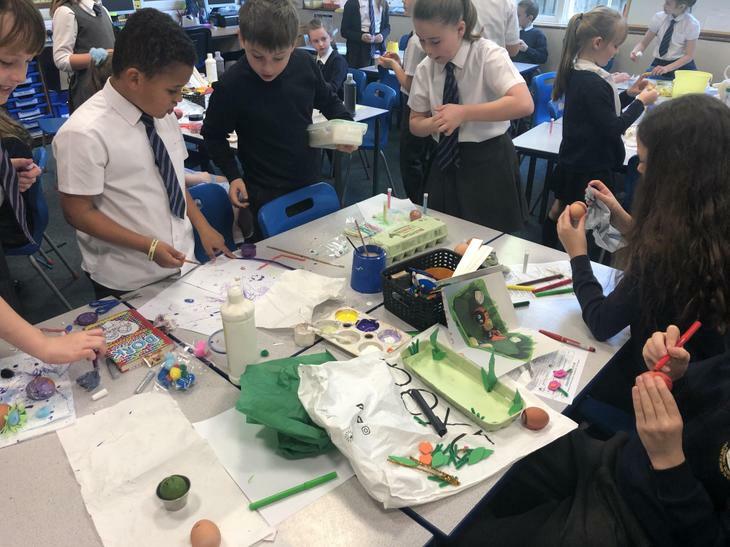 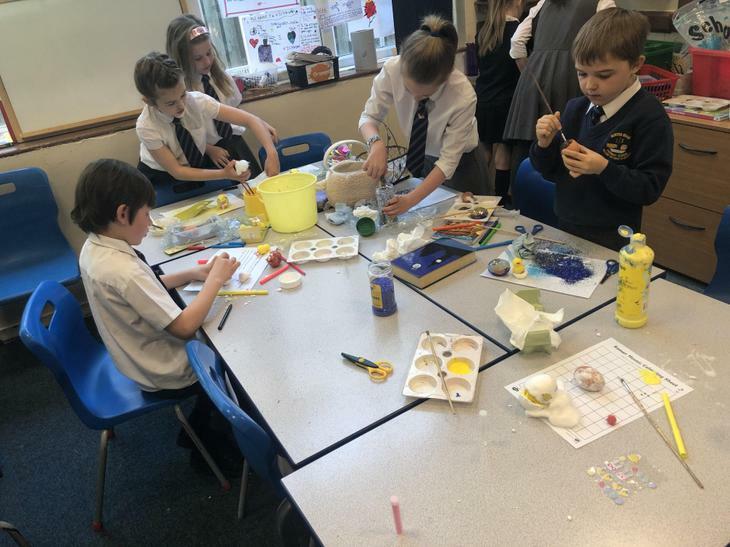 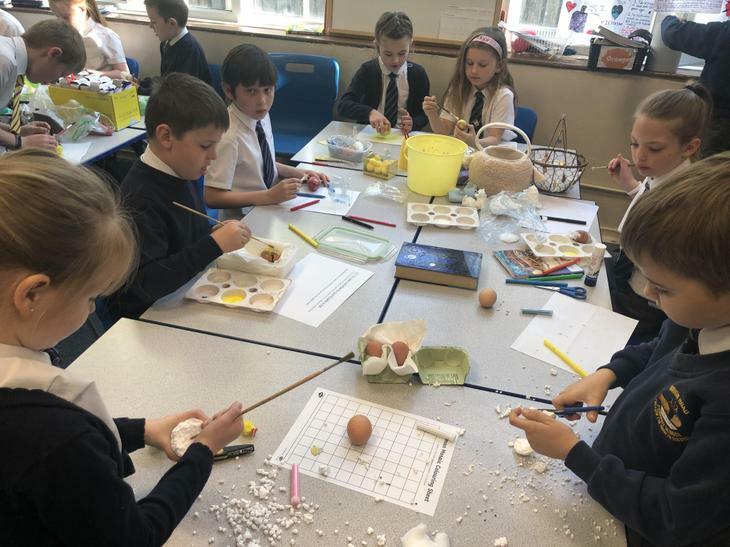 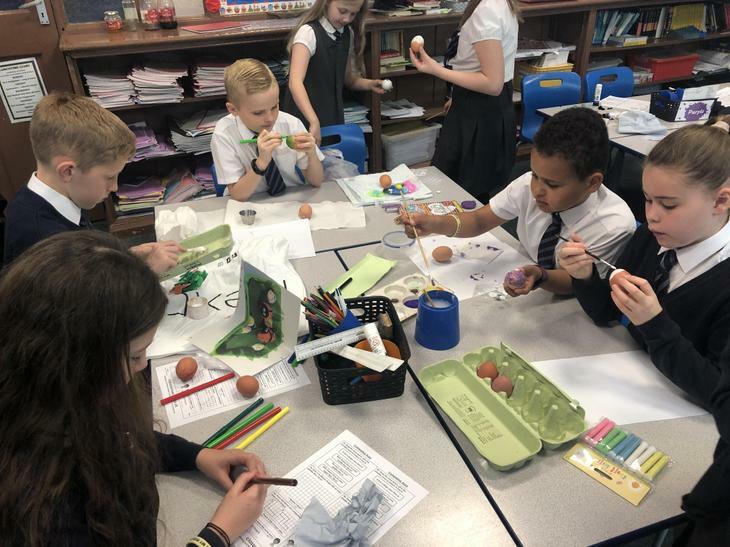 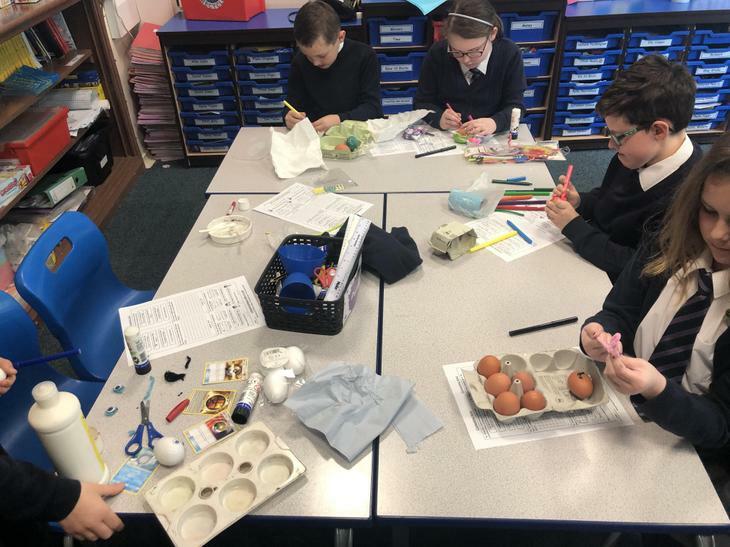 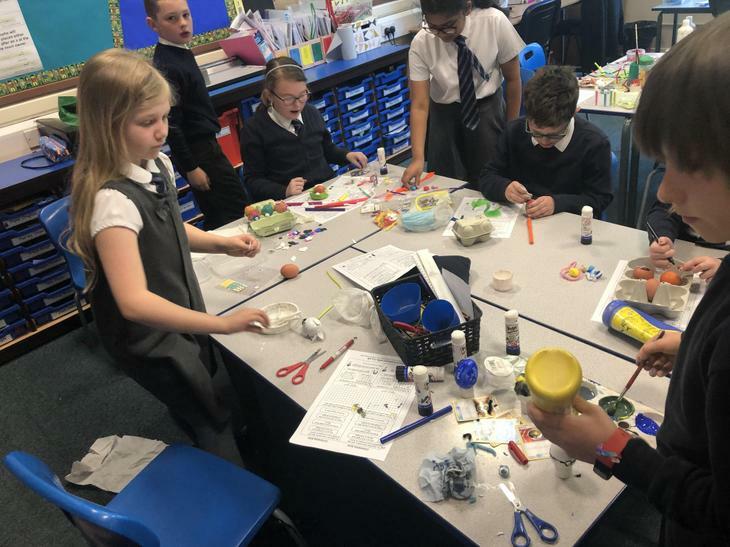 We had an eggcellent morning being very creative! 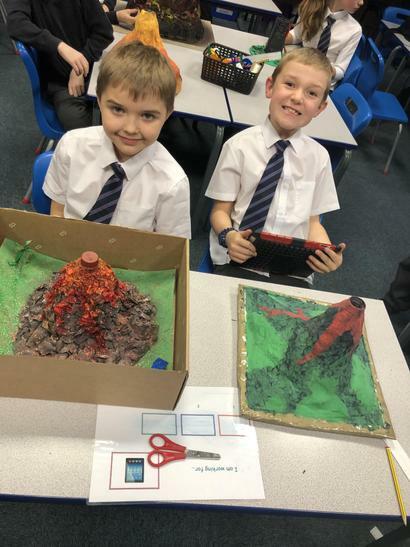 There were some amazing creations! 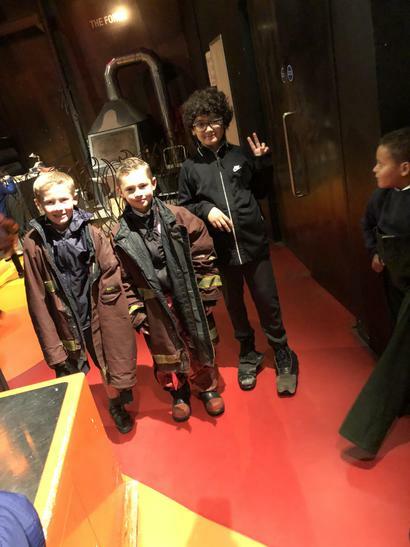 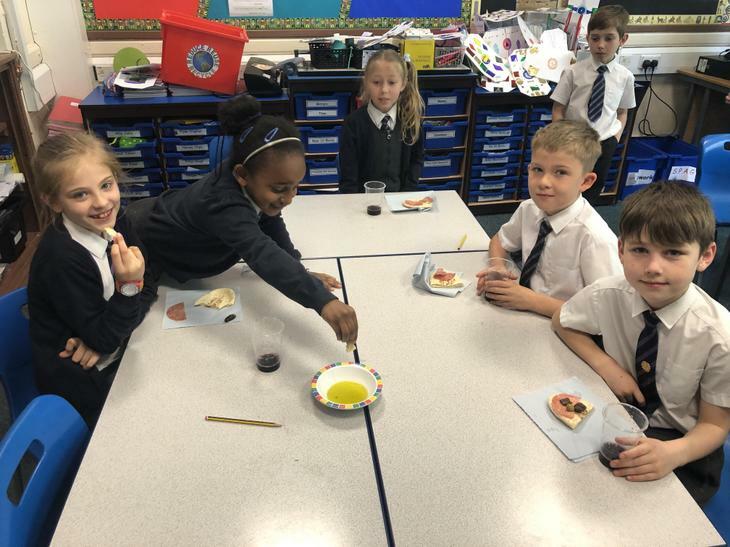 To end our topic, children spent the day taking part in 3 different activities. 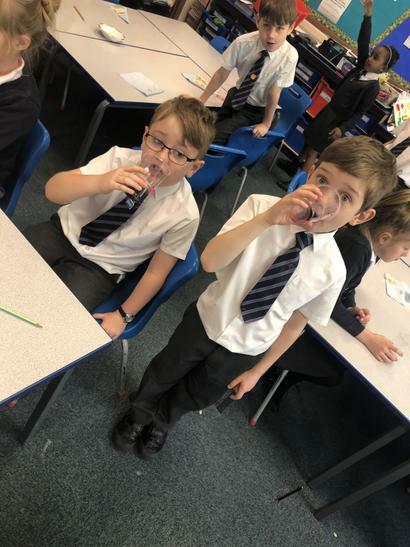 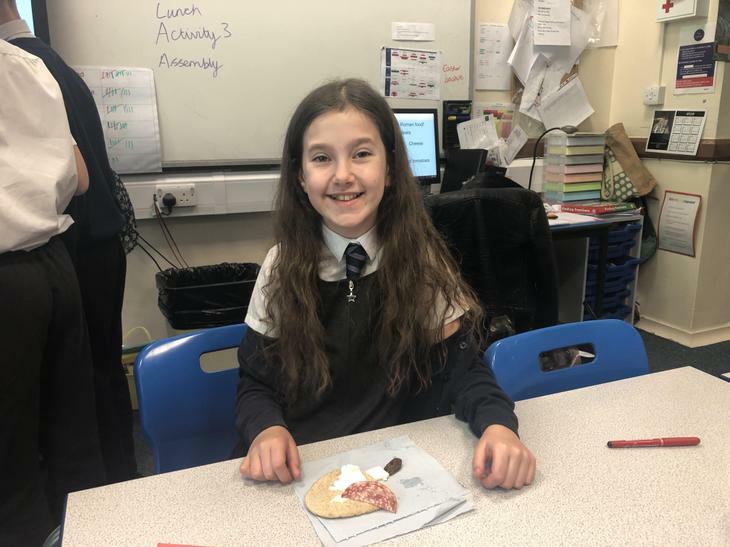 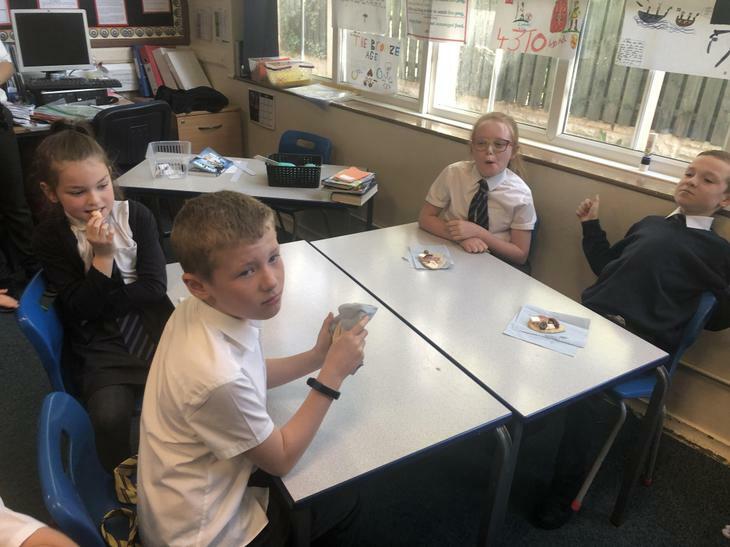 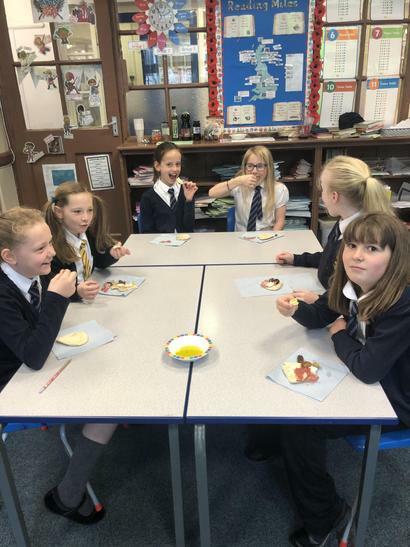 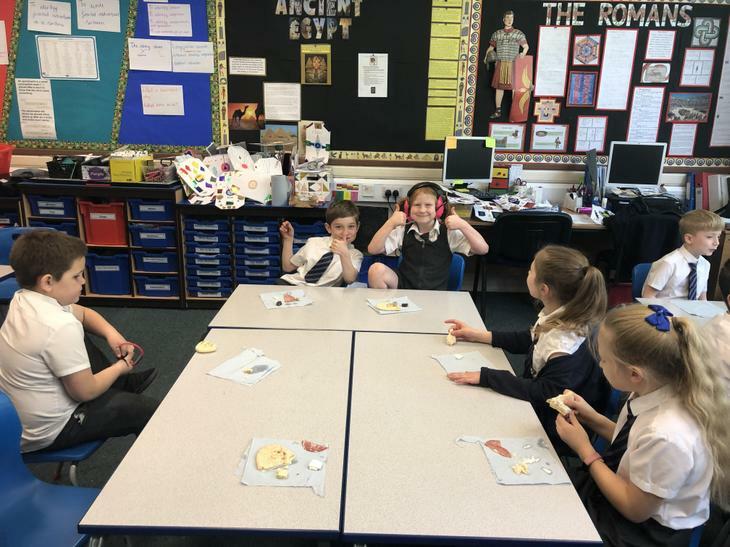 One of the activities was tasting Roman food and creating a menu. 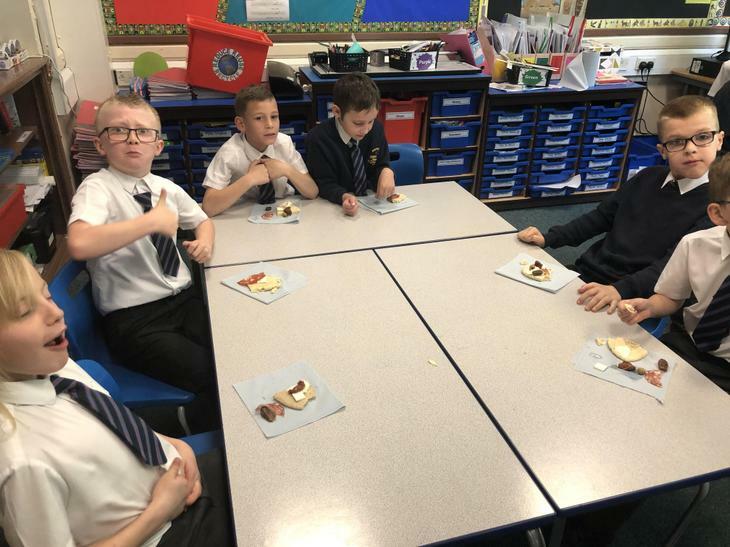 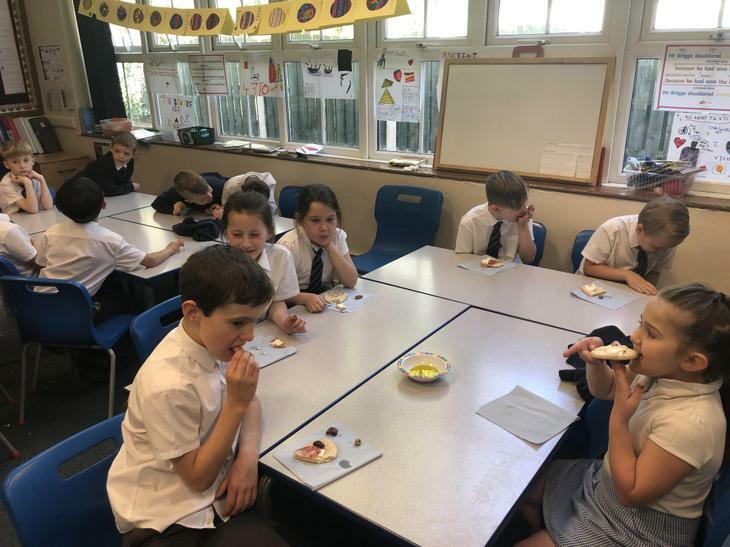 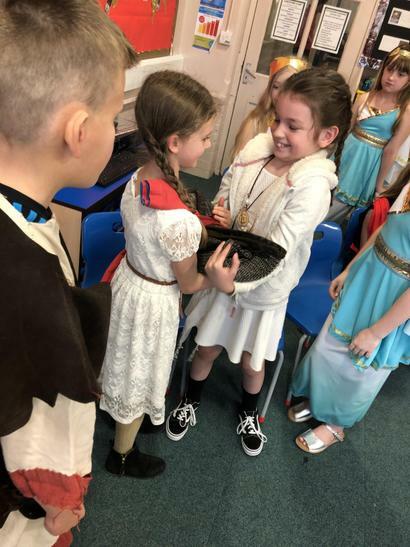 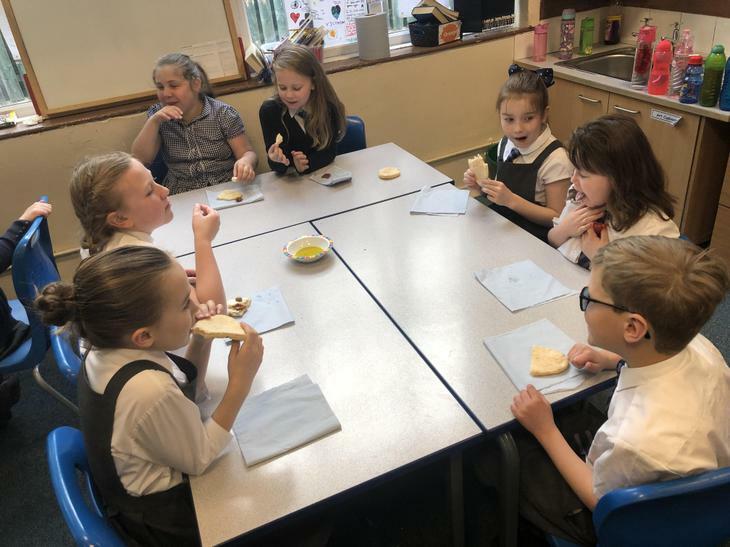 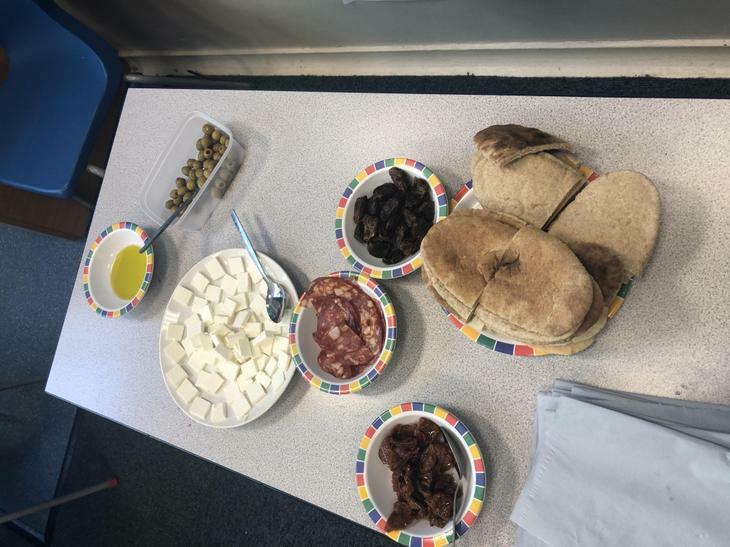 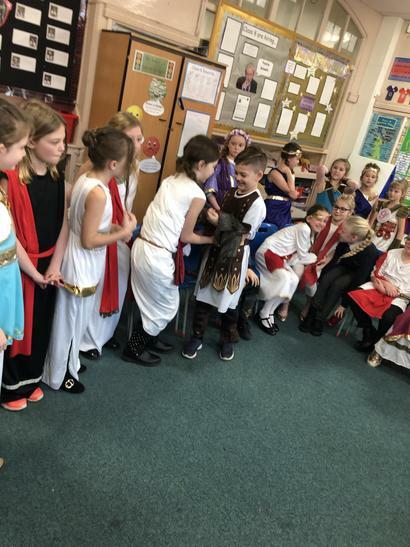 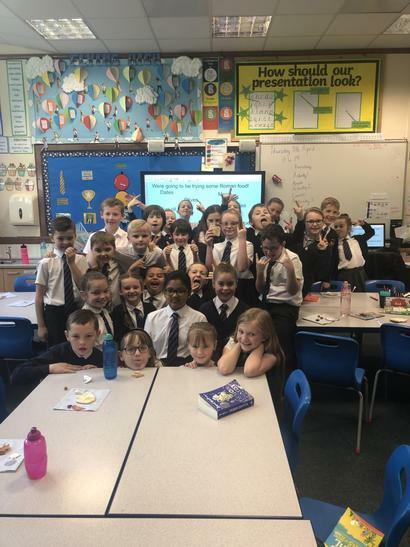 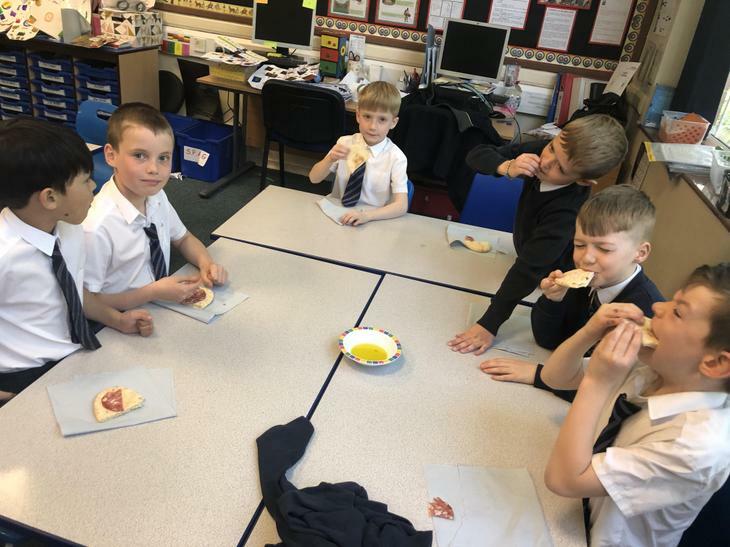 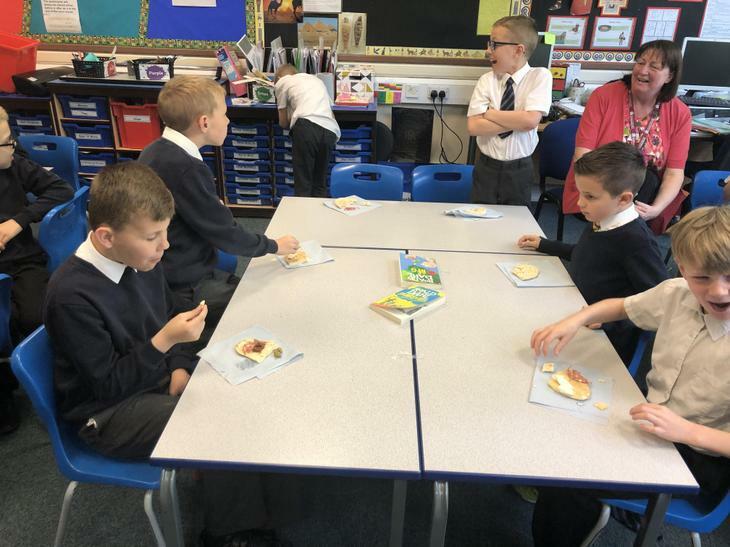 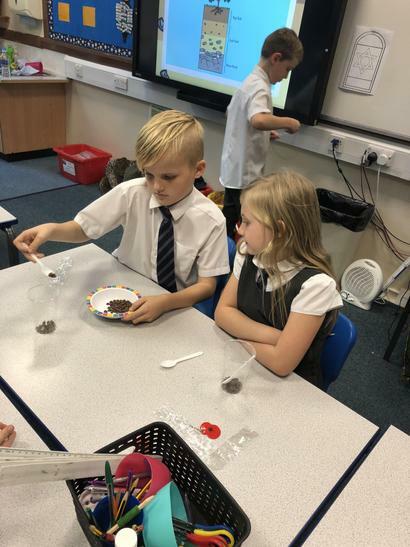 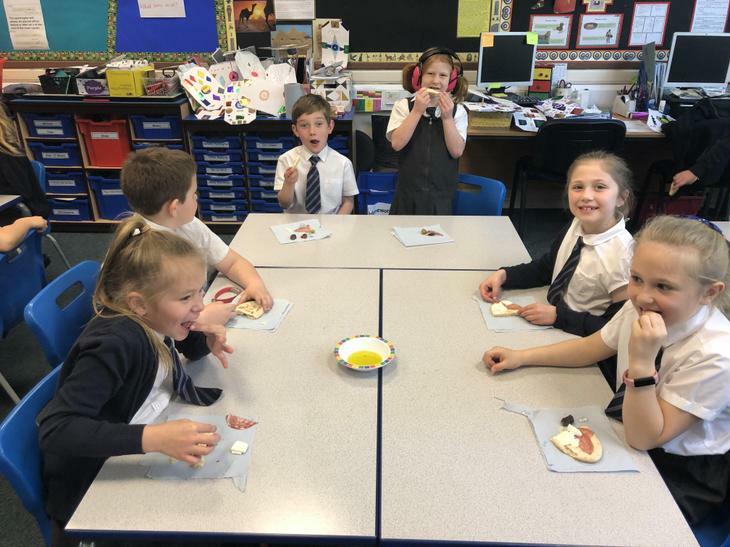 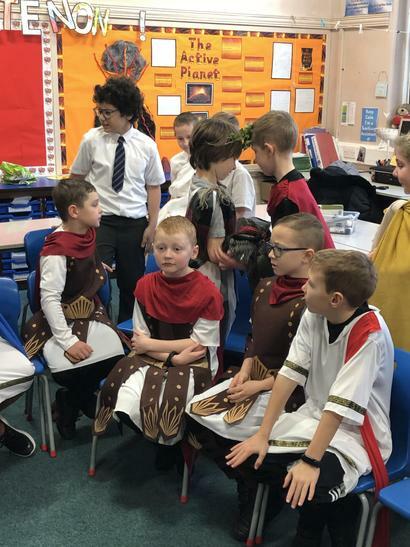 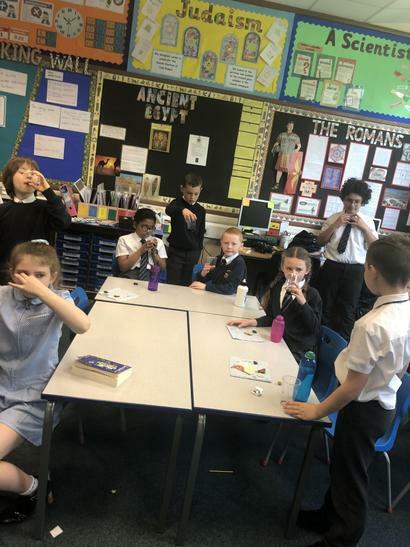 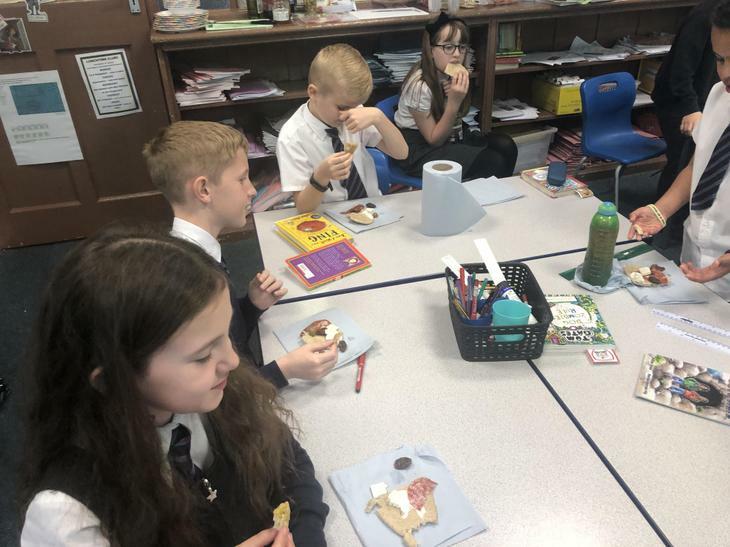 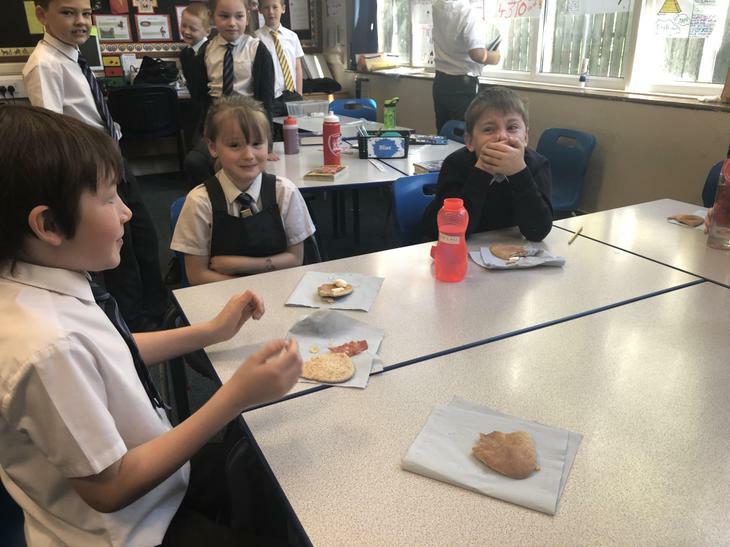 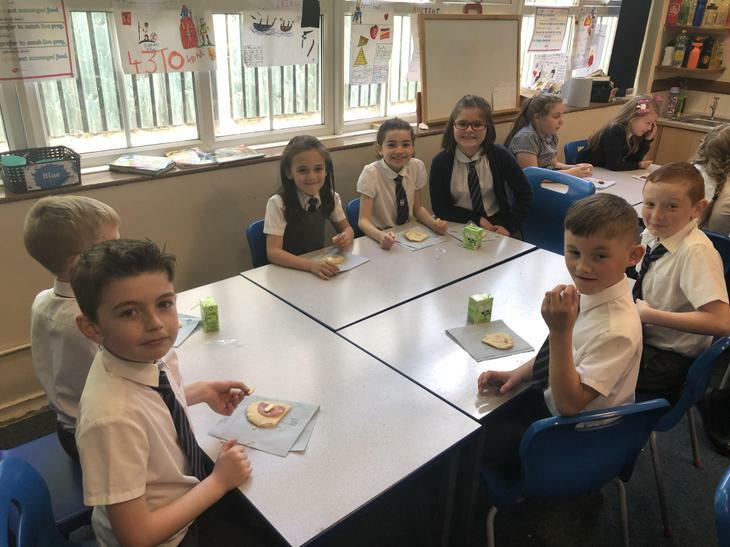 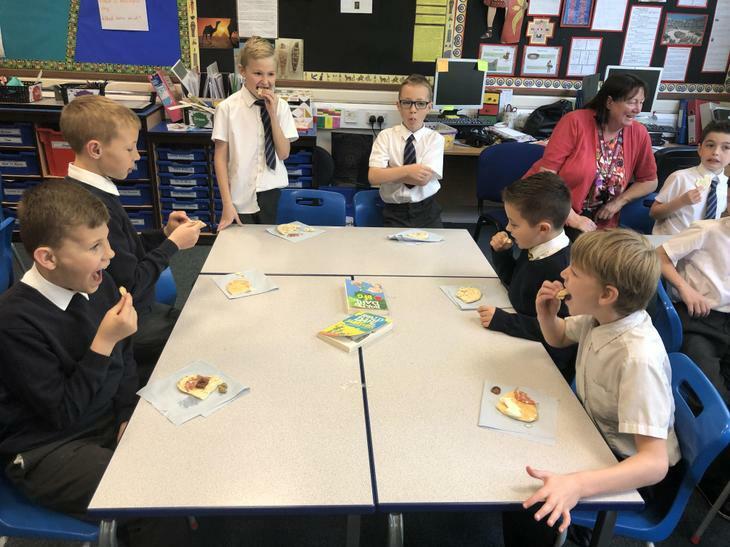 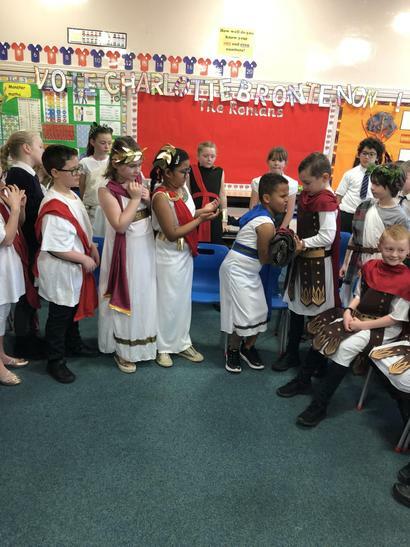 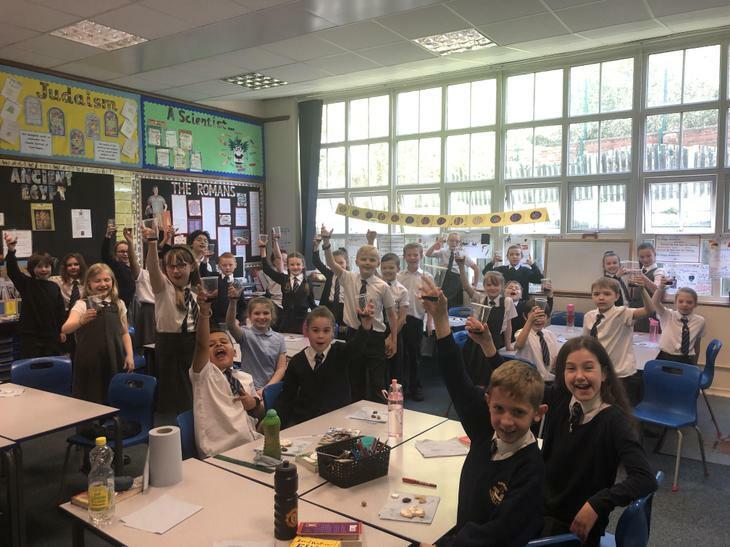 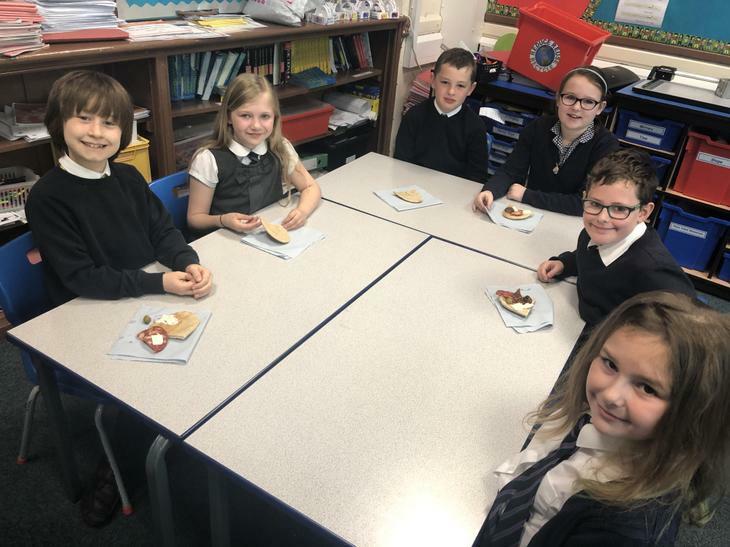 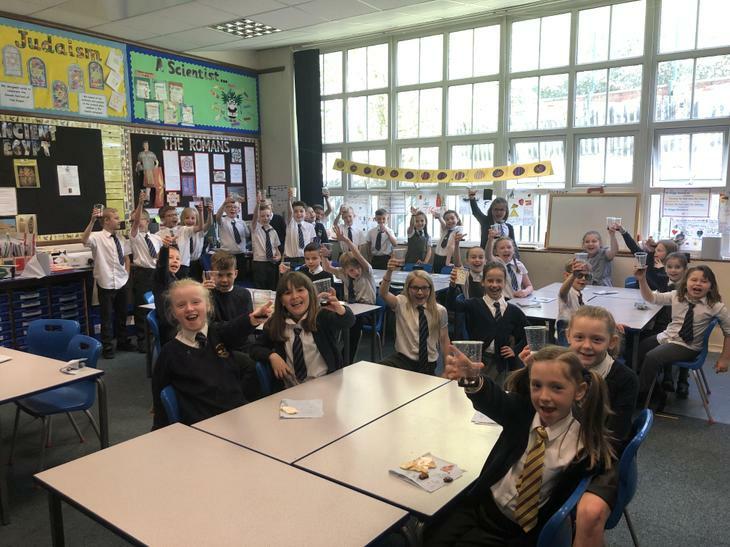 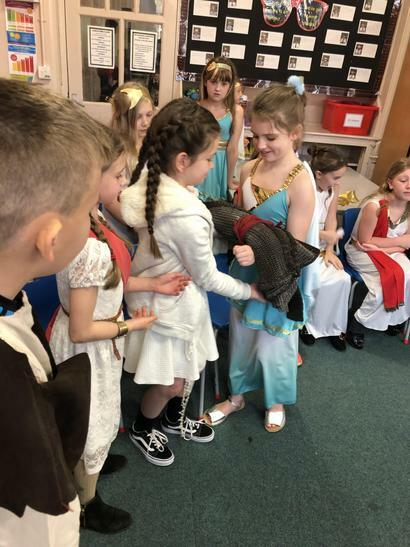 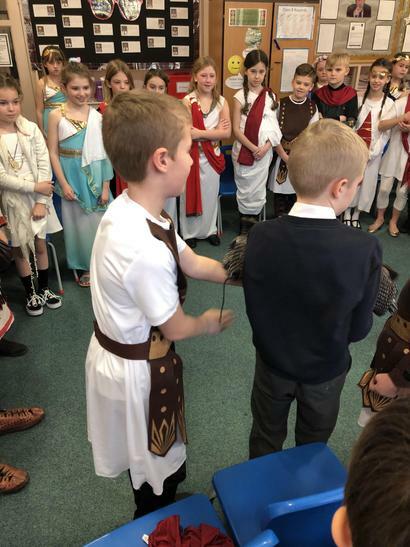 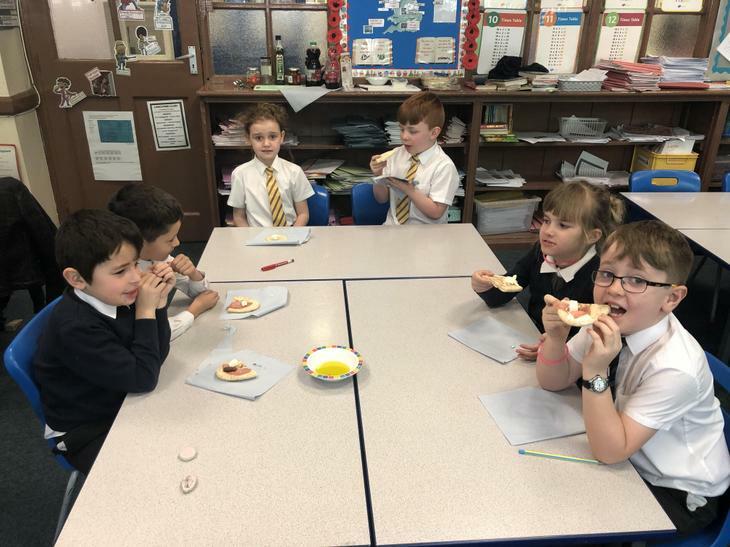 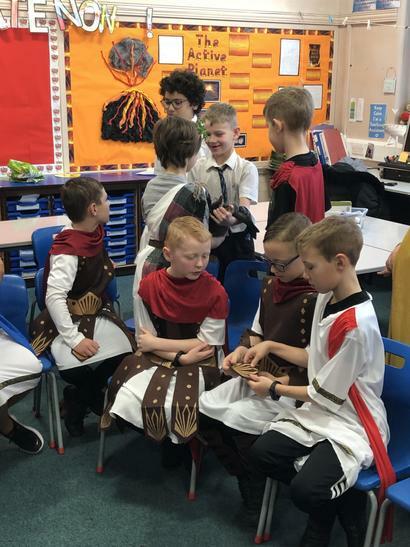 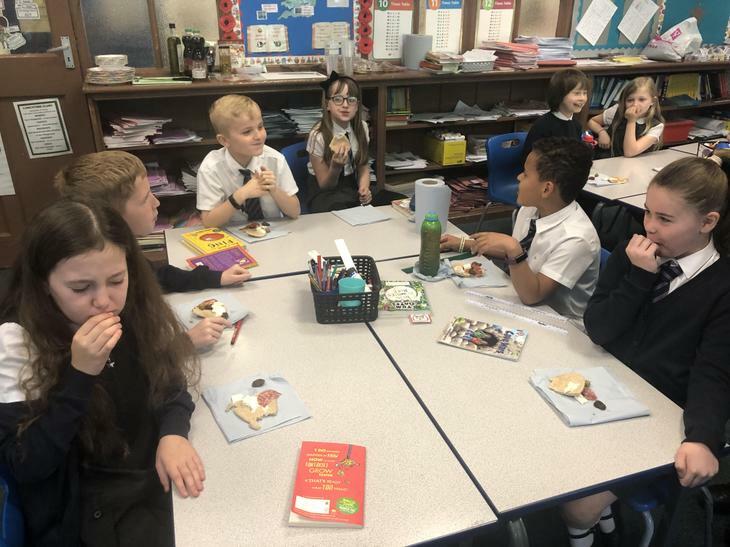 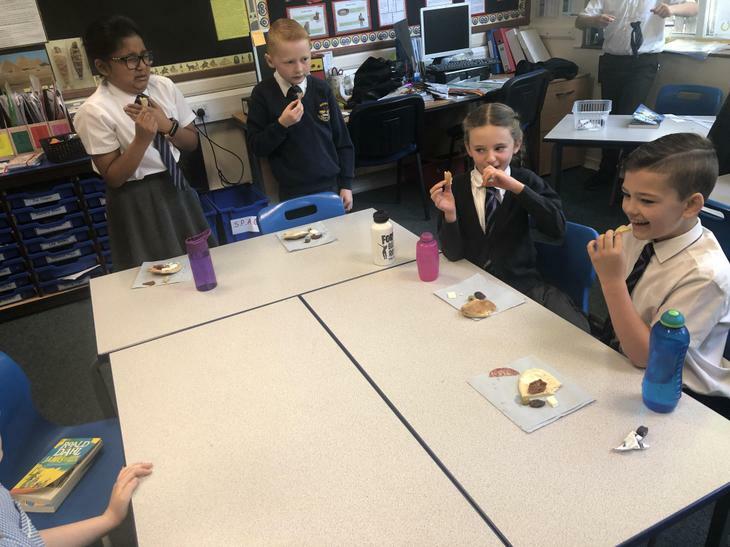 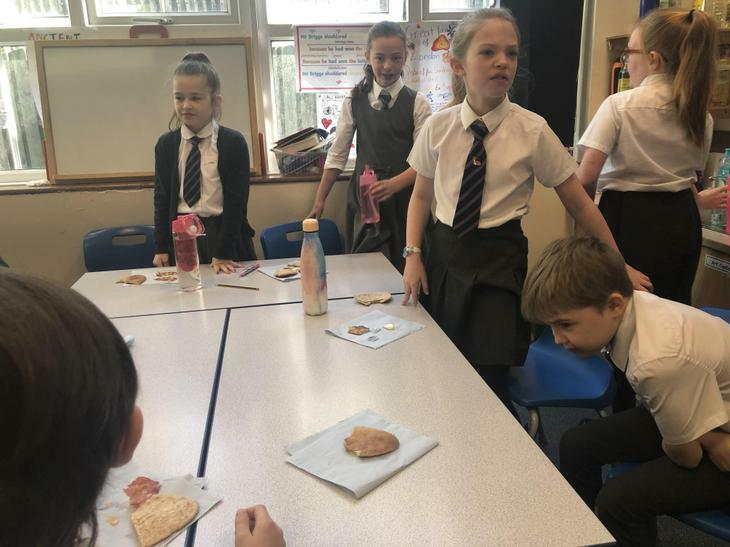 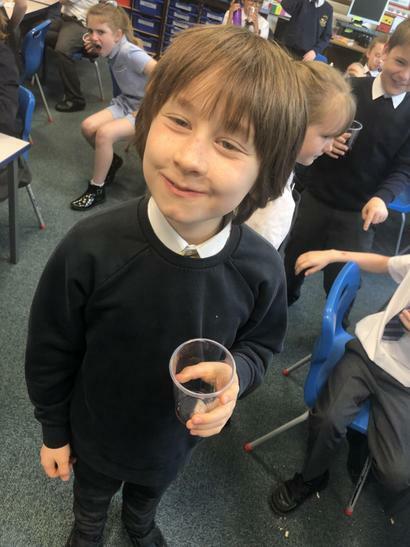 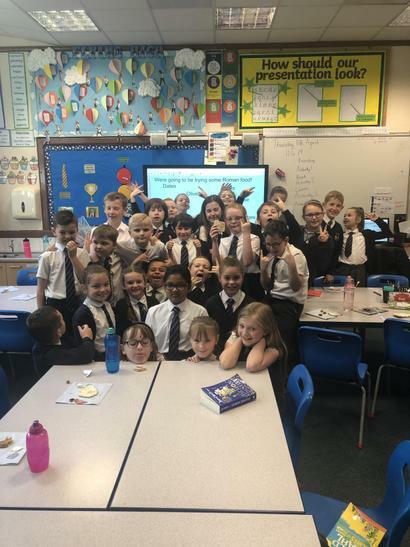 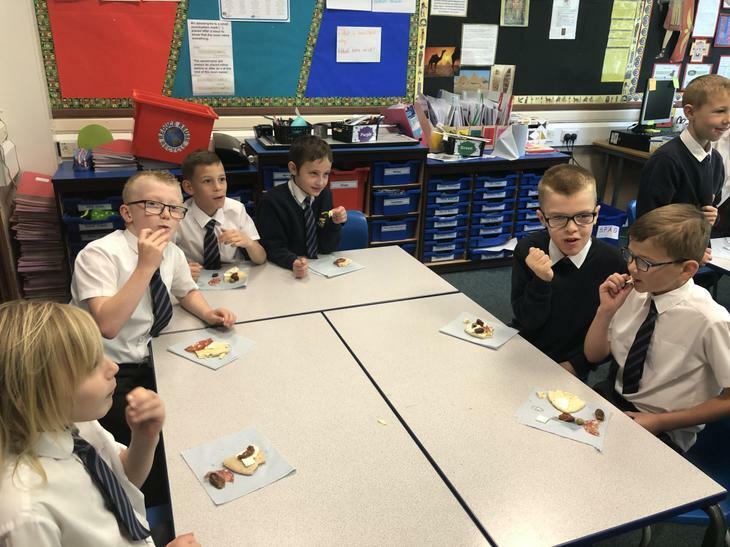 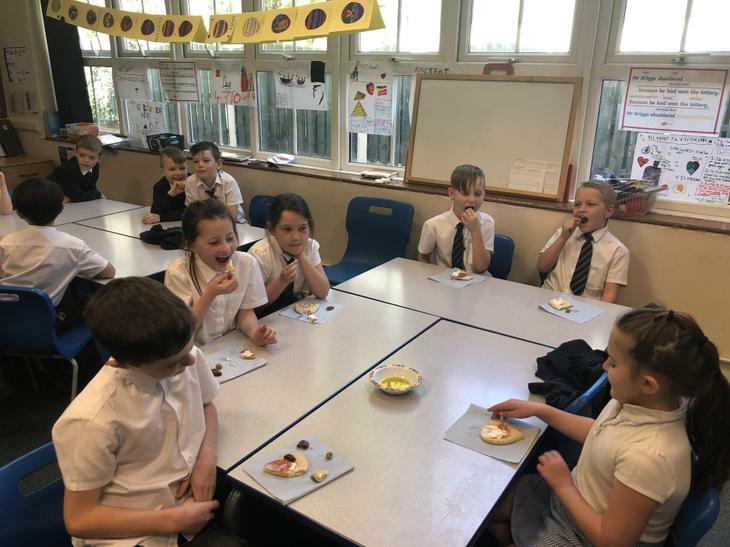 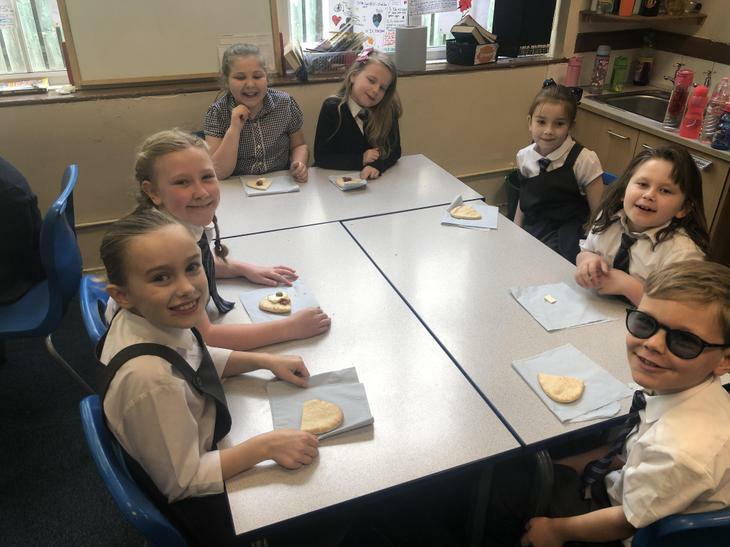 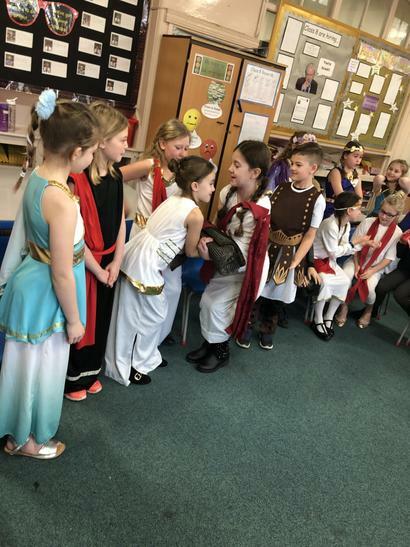 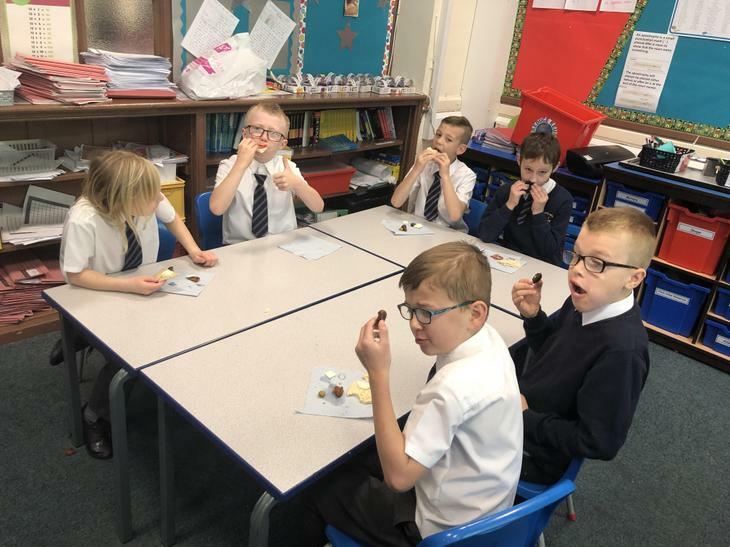 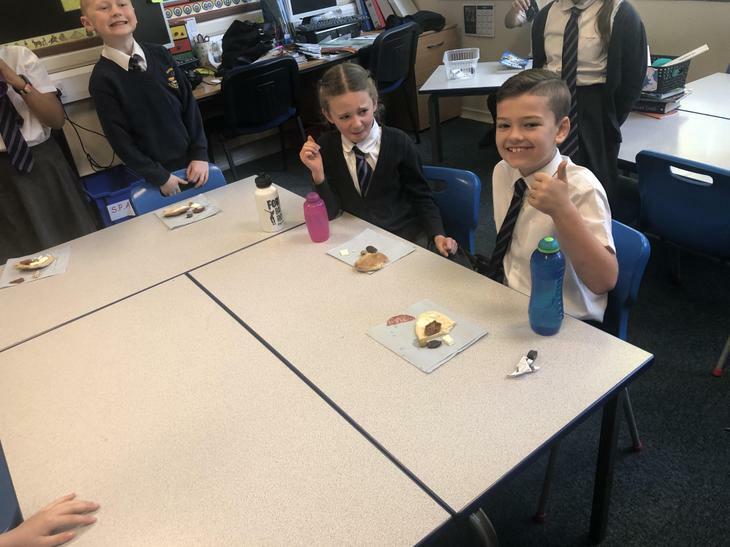 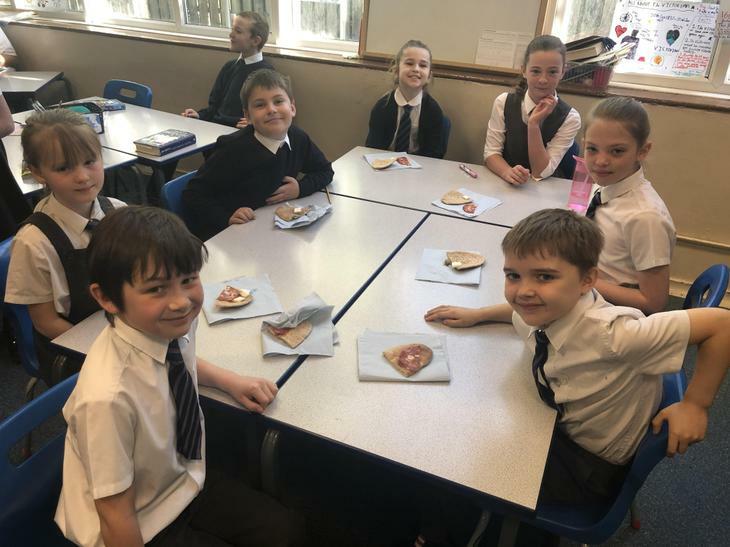 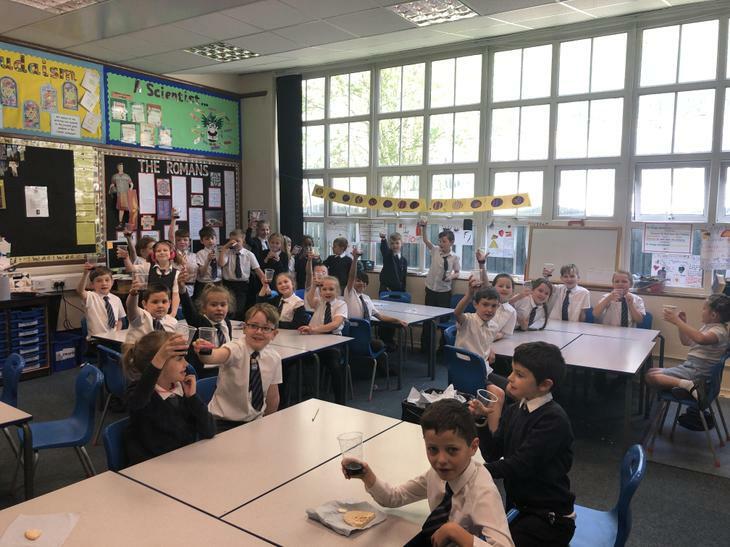 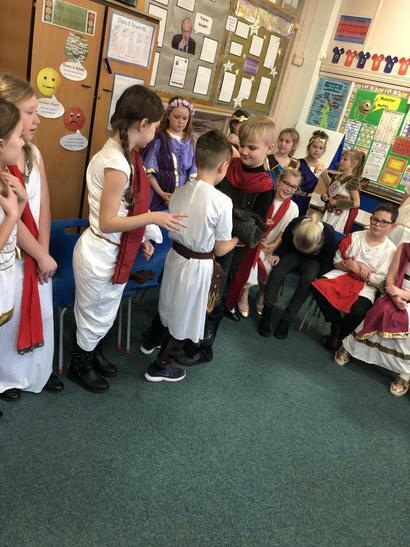 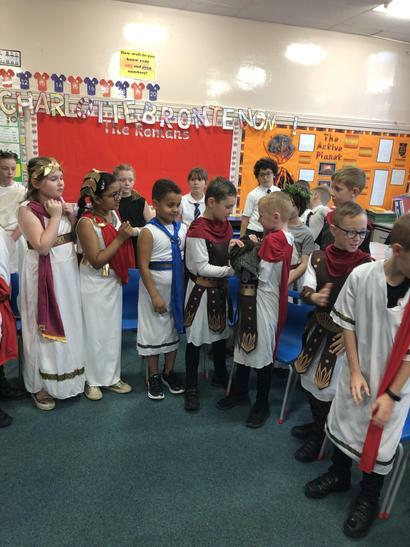 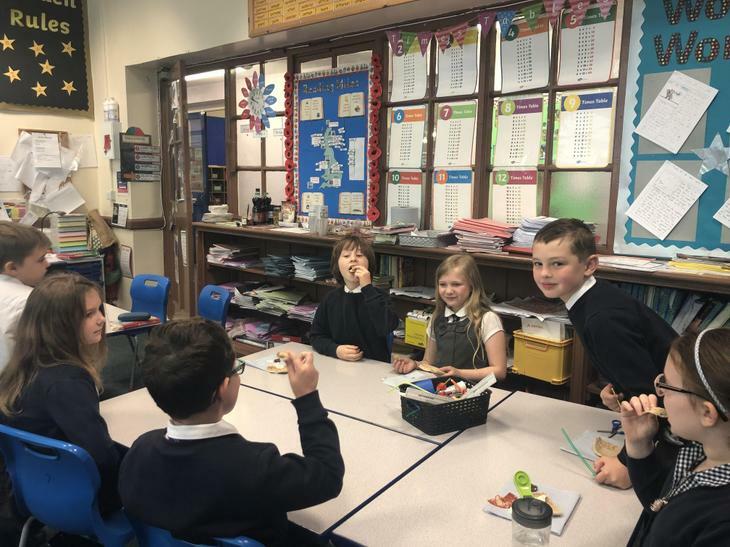 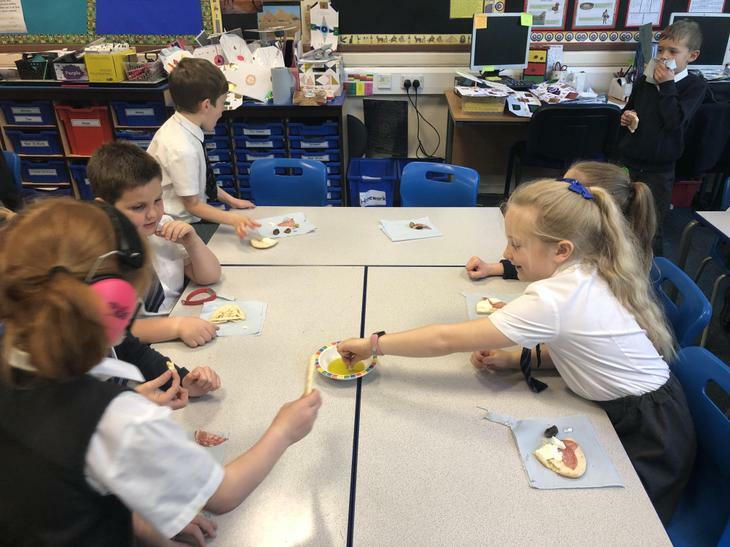 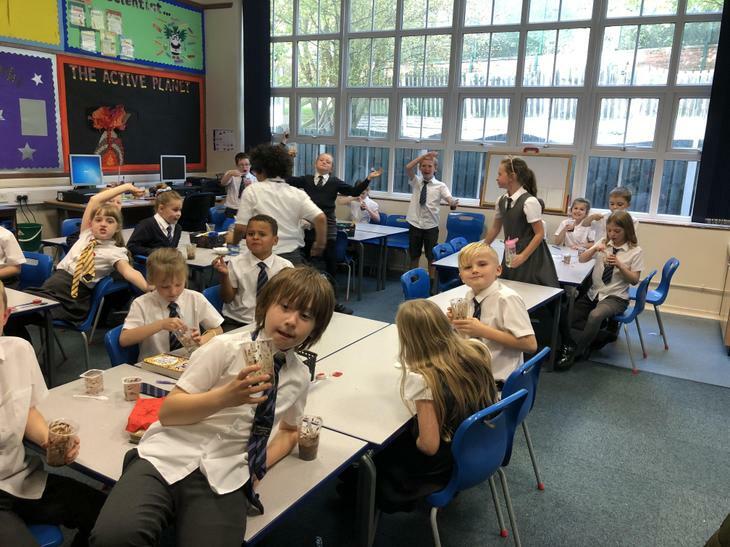 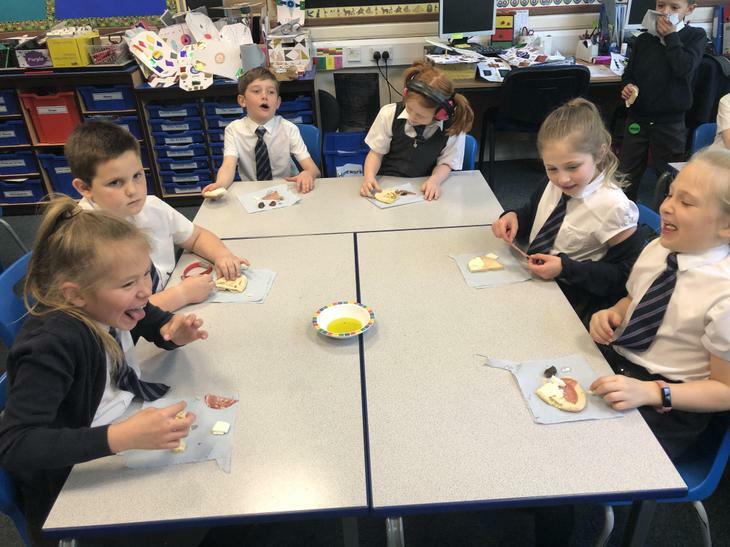 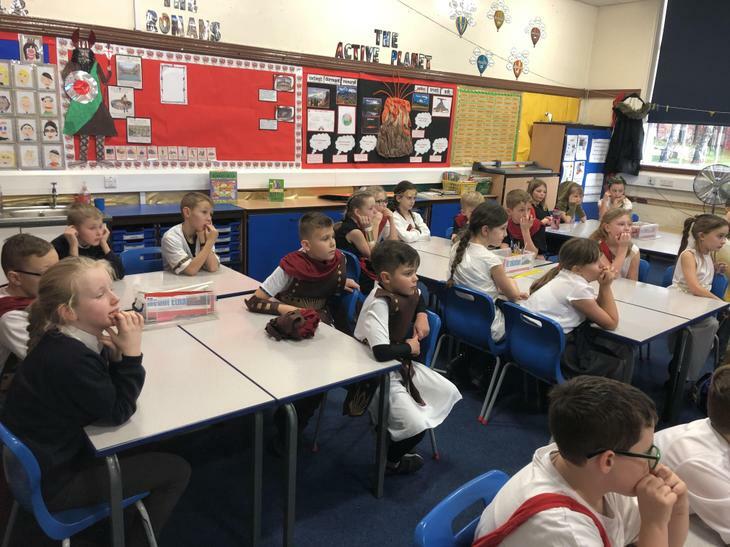 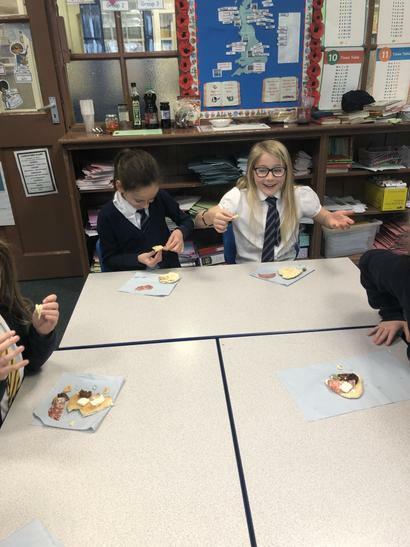 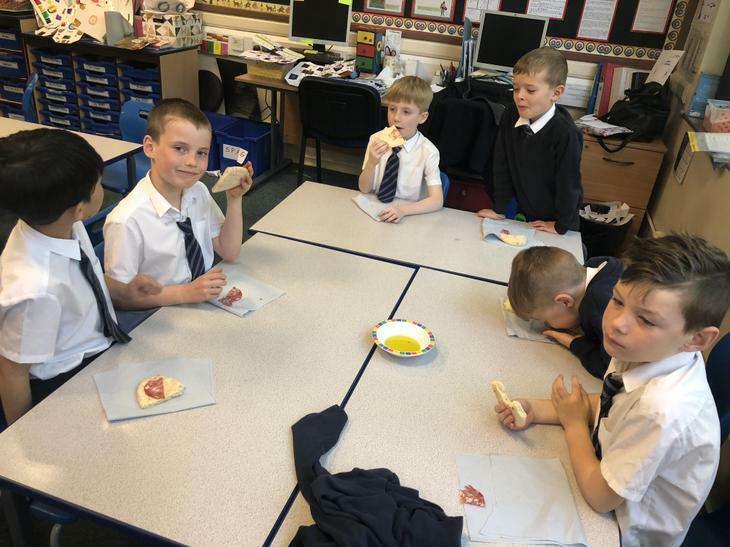 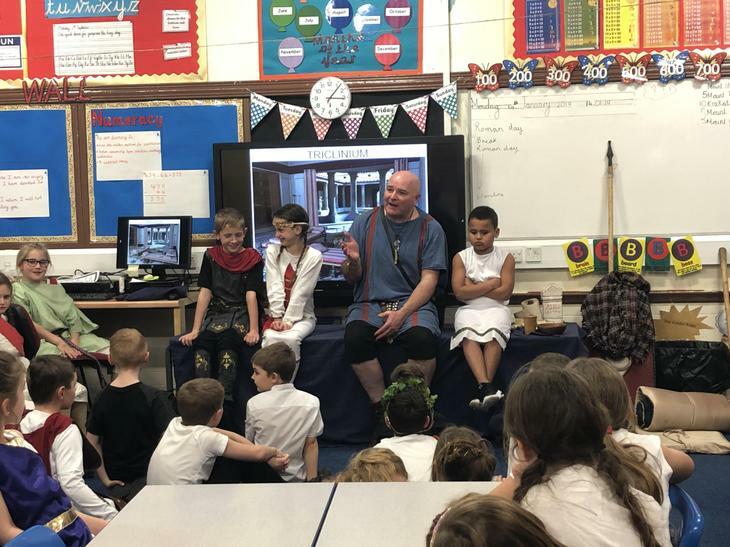 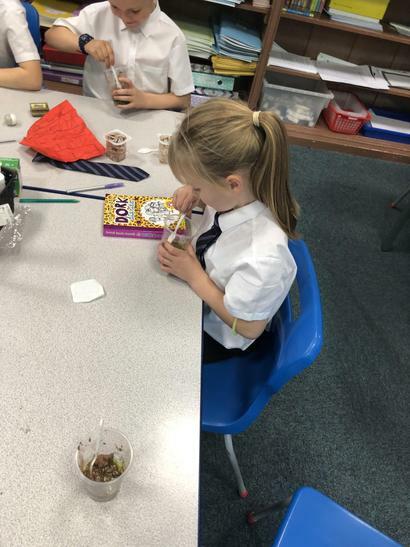 Children had the opportunity to try a range of Roman inspired foods including bread, olives, different meats, cheeses, dates and sun dried tomatoes. 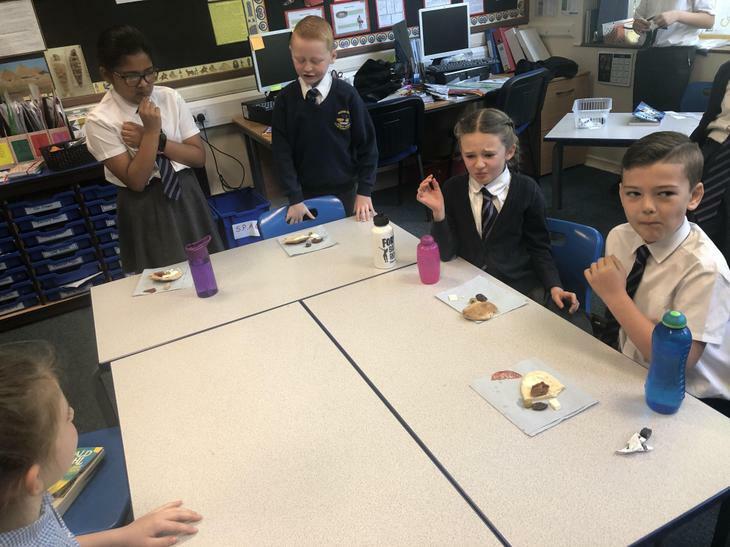 As you will see from the photos some of the food wasn’t enjoyed as much as others! 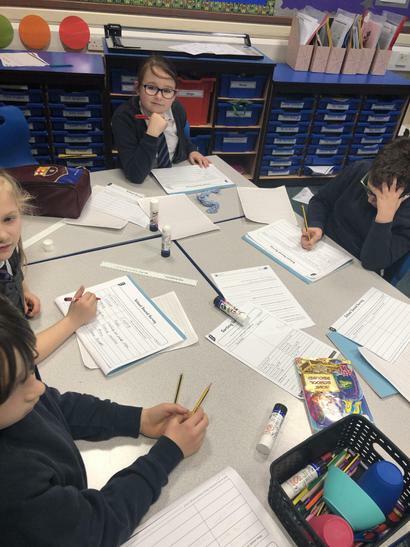 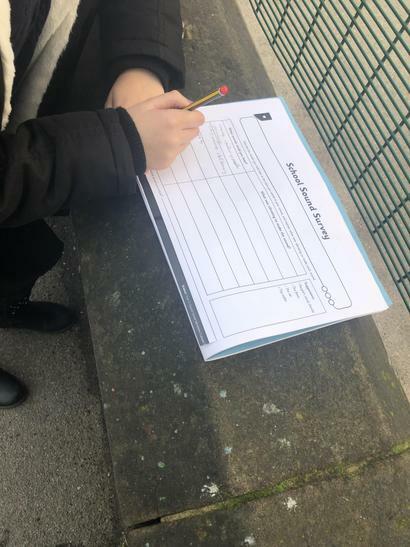 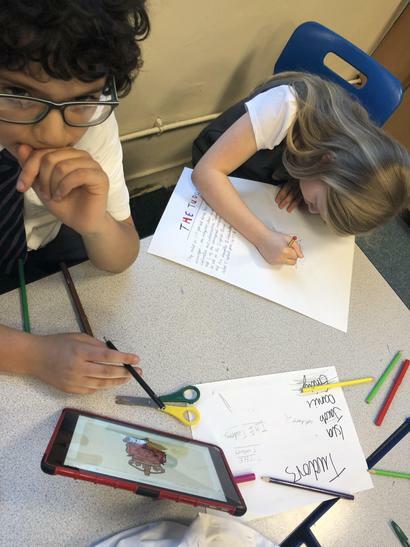 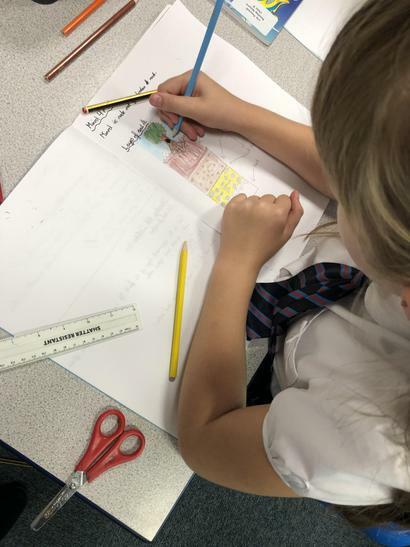 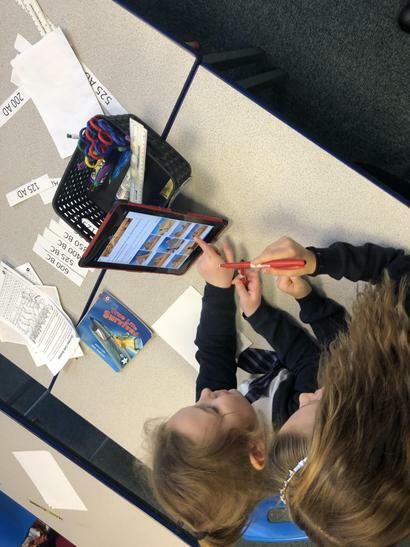 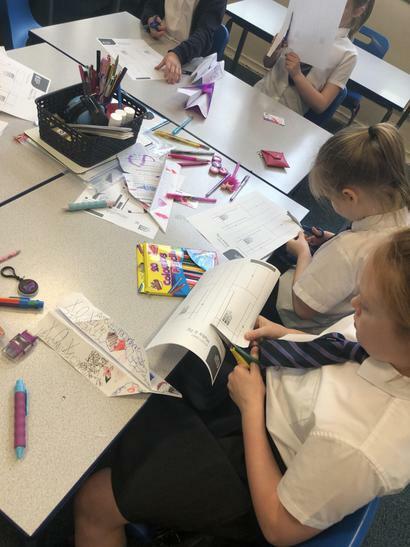 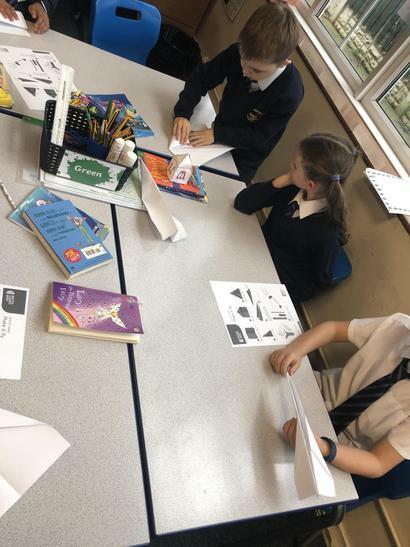 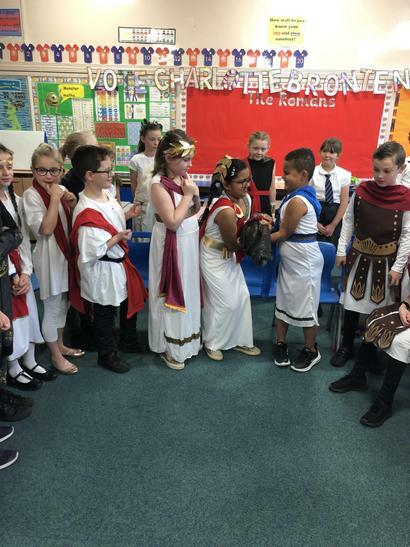 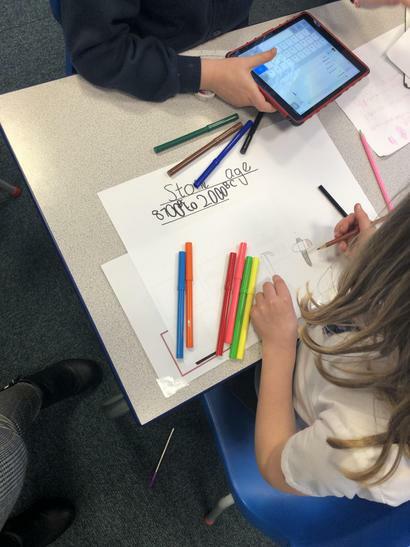 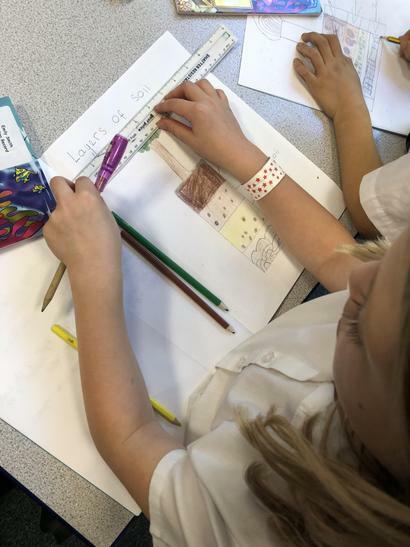 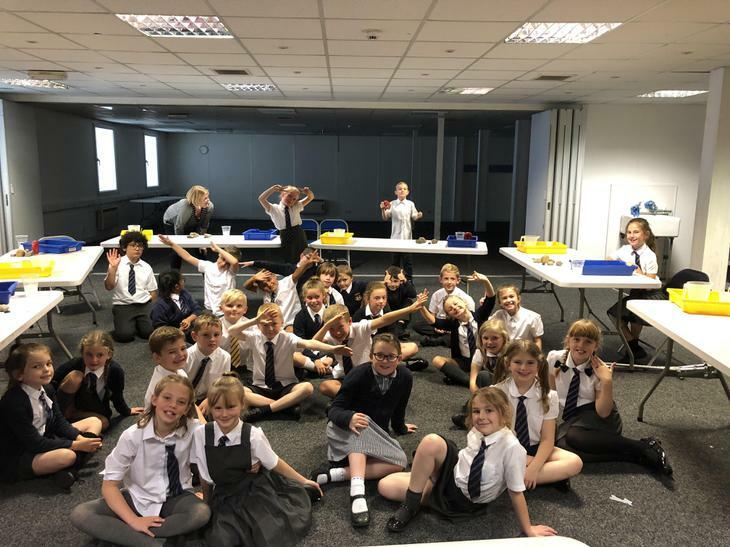 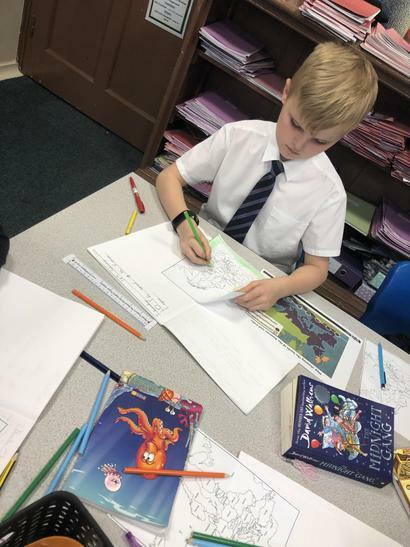 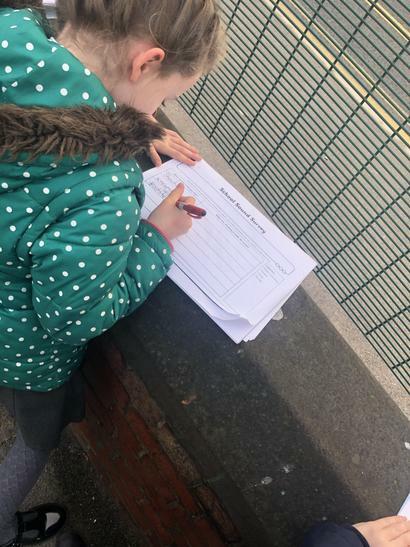 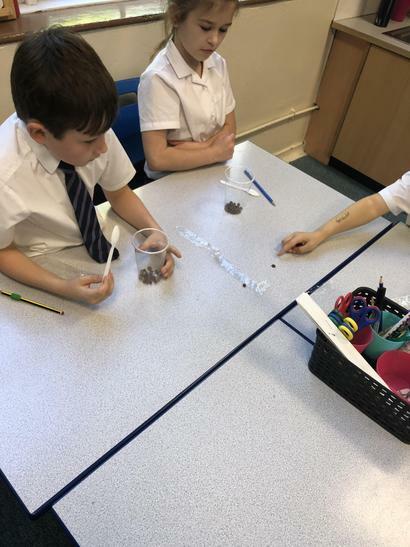 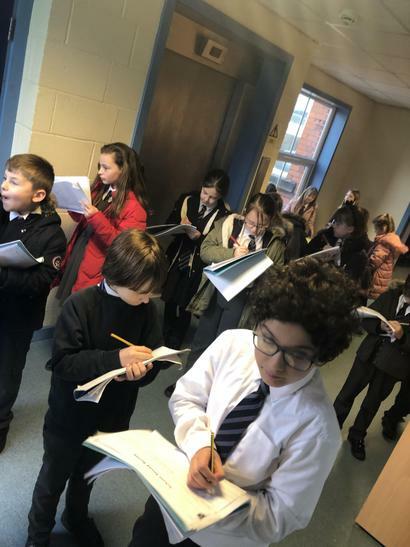 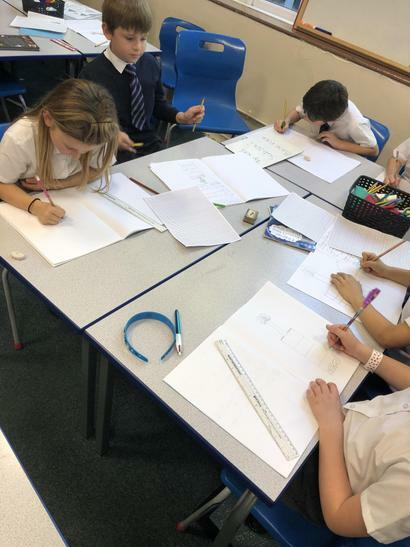 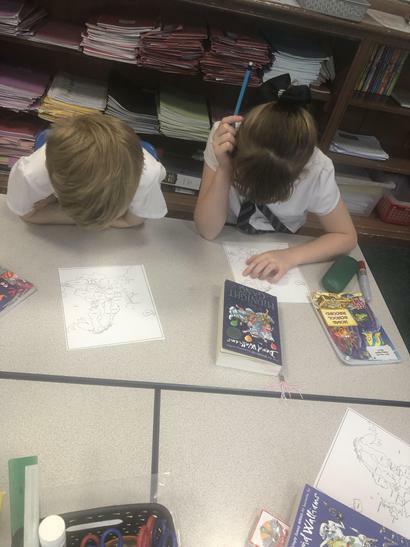 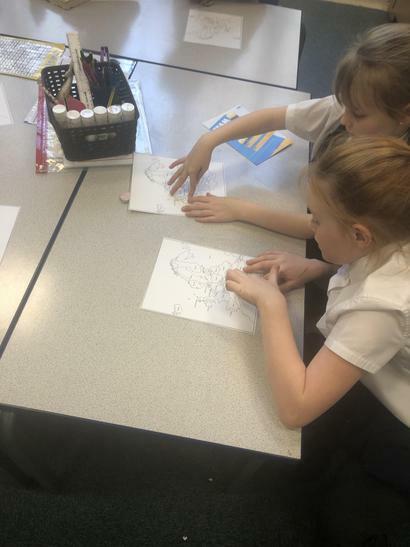 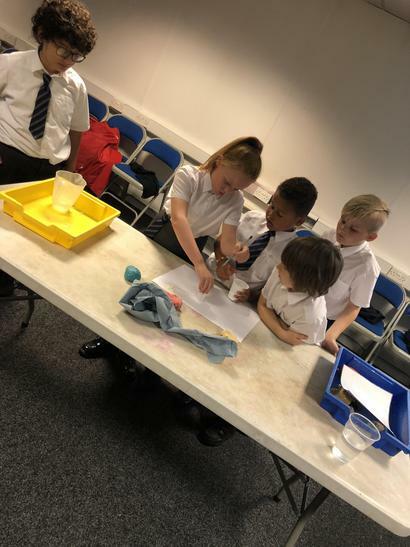 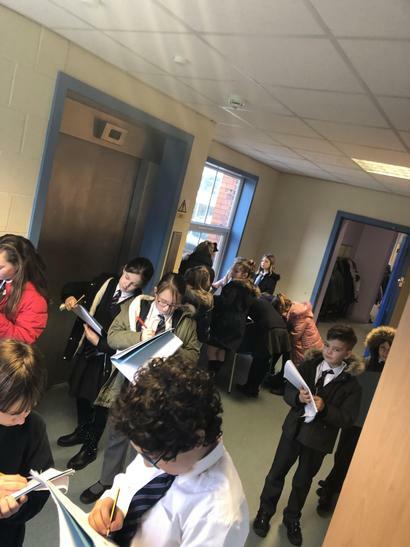 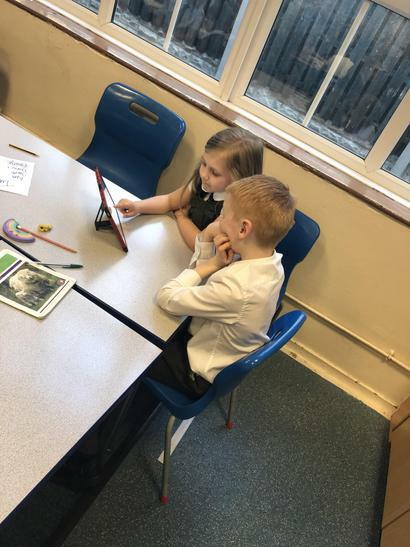 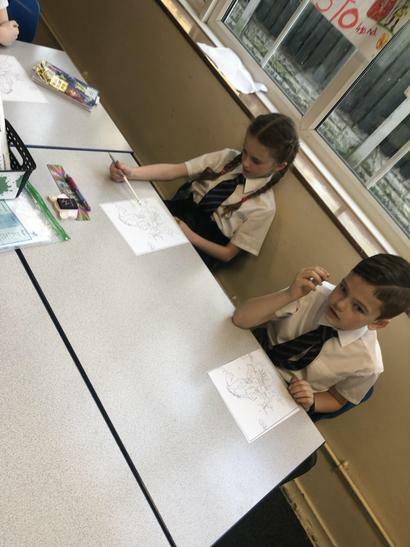 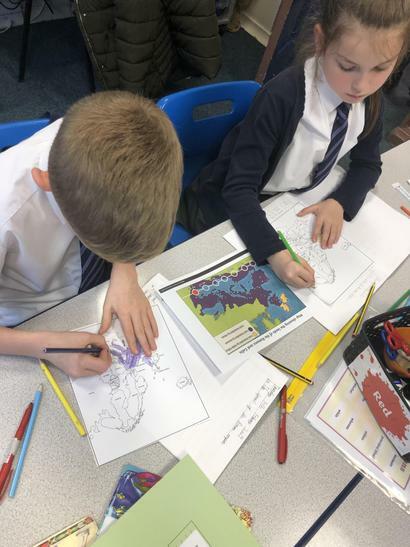 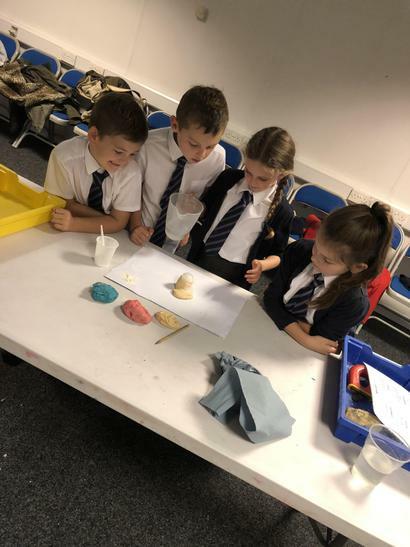 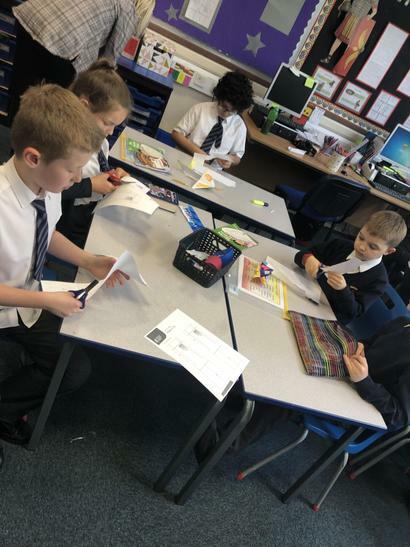 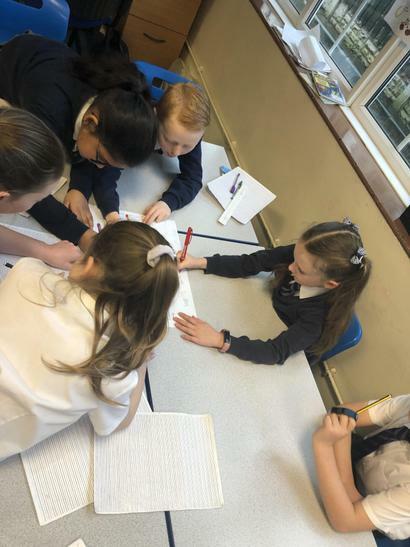 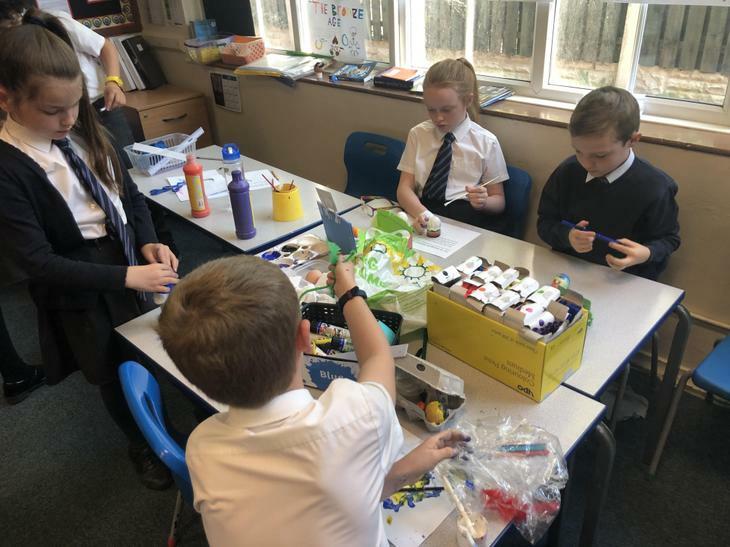 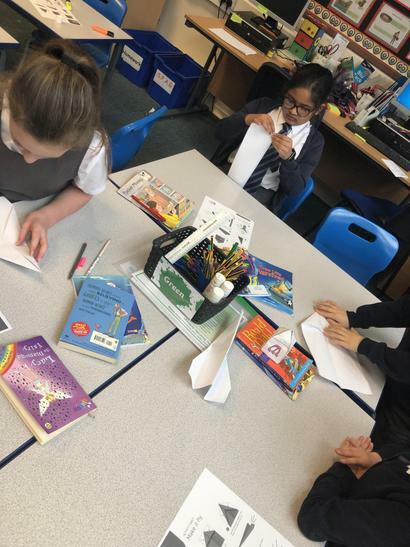 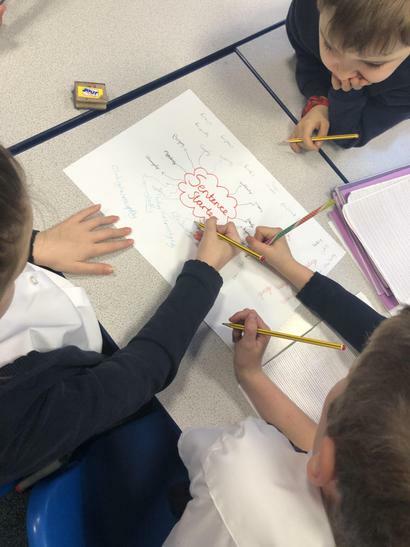 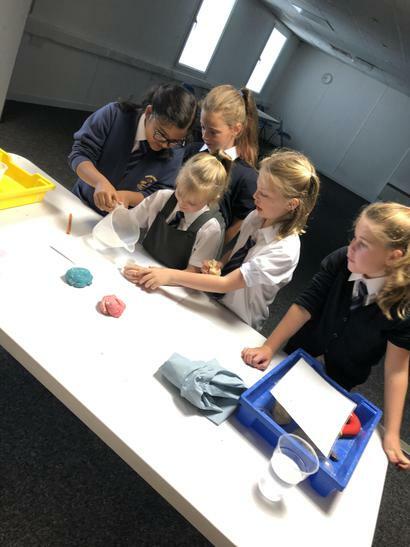 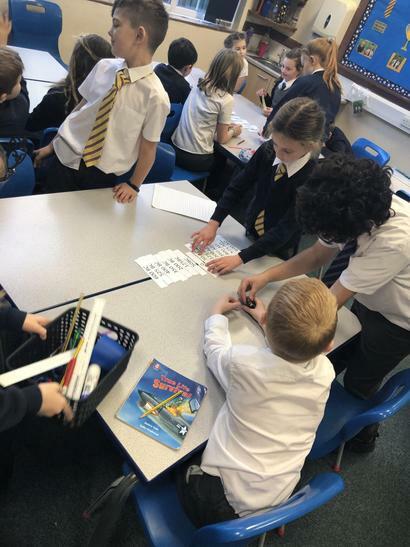 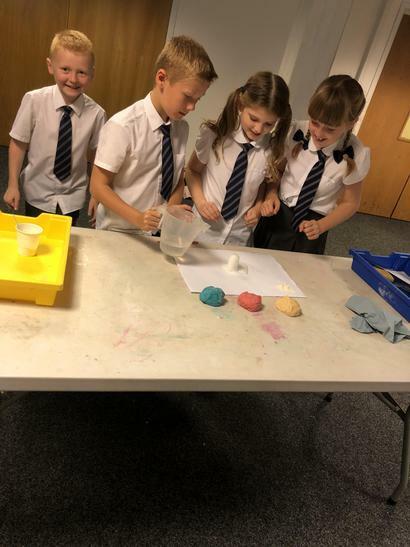 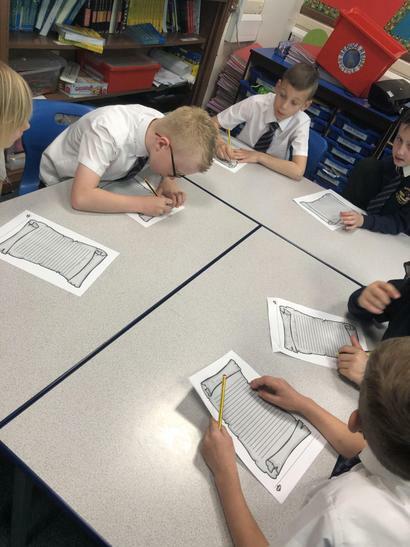 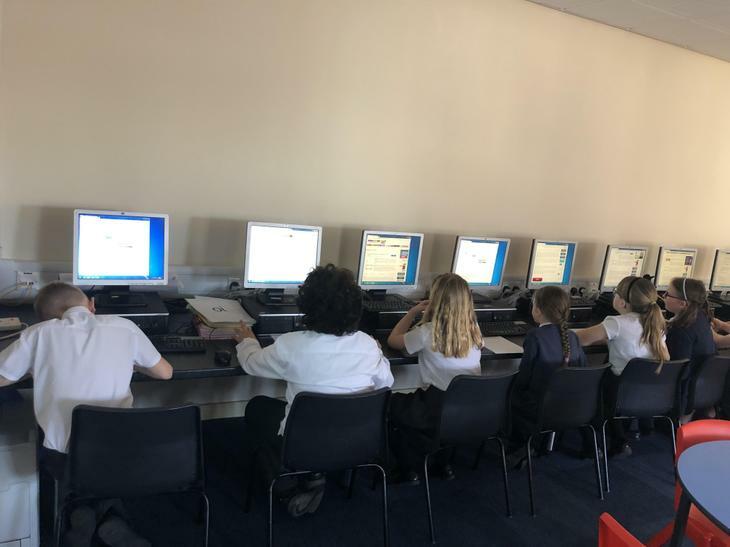 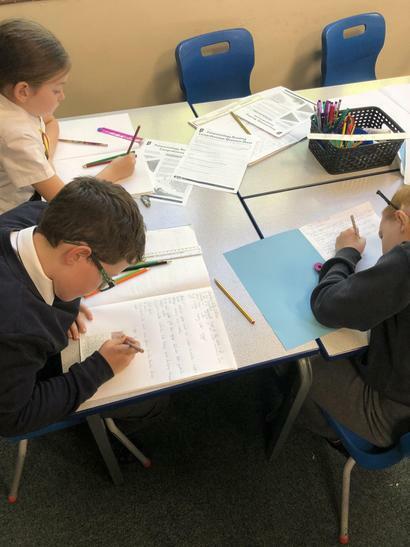 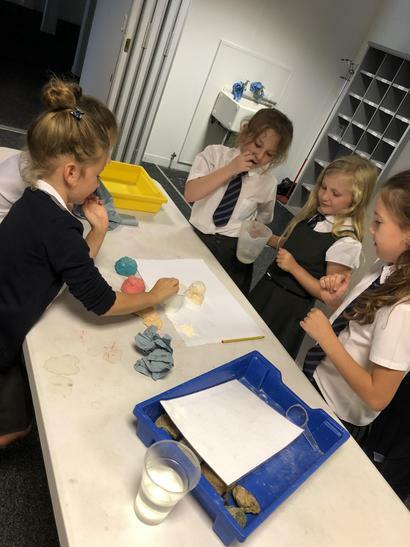 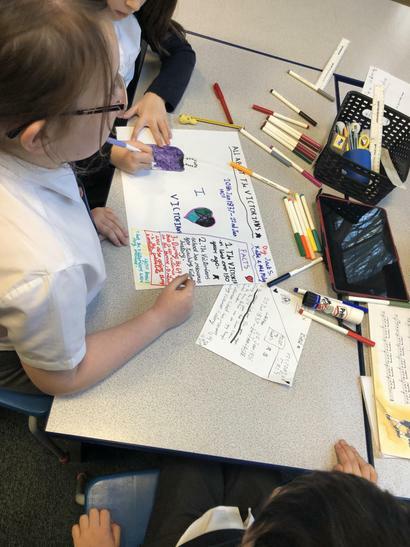 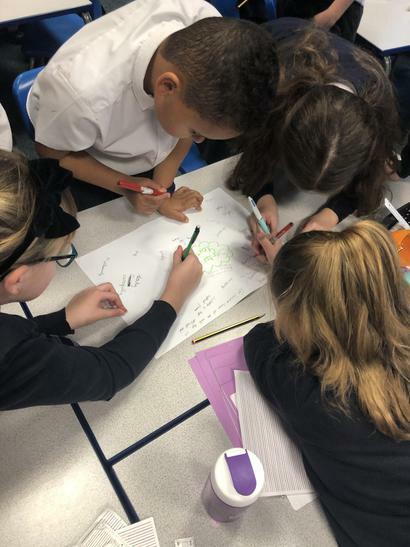 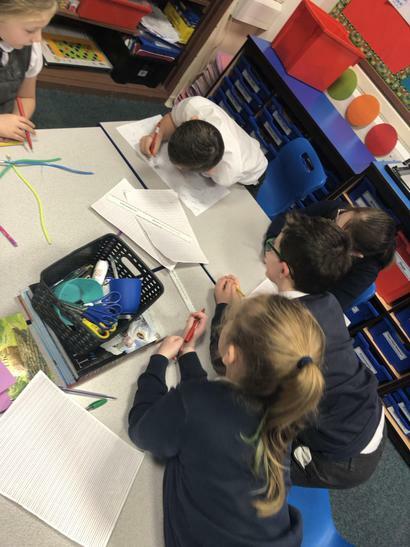 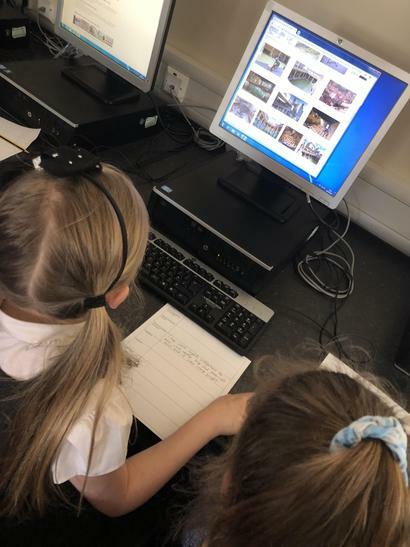 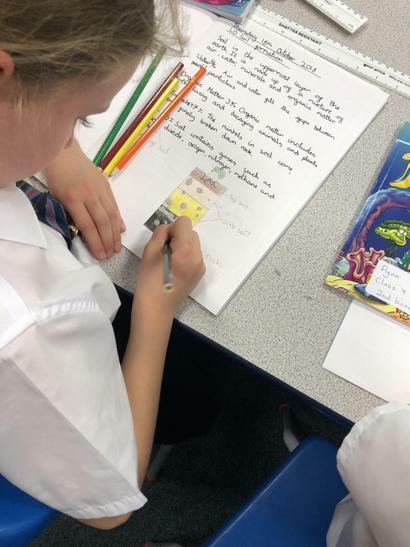 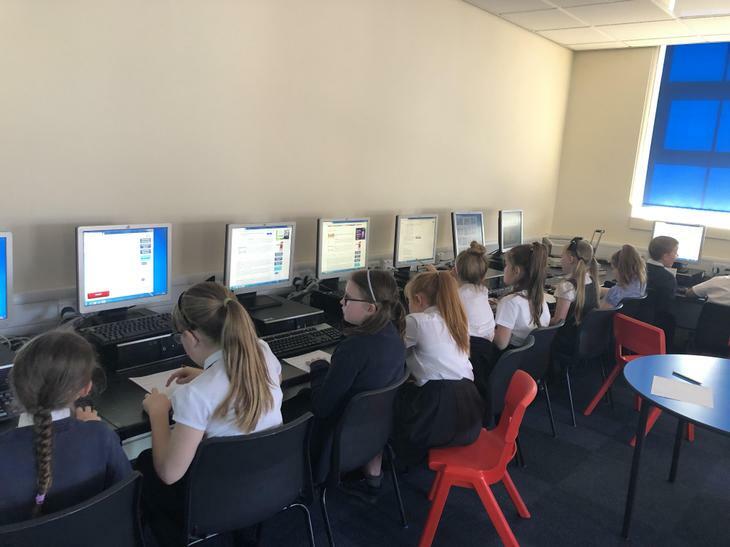 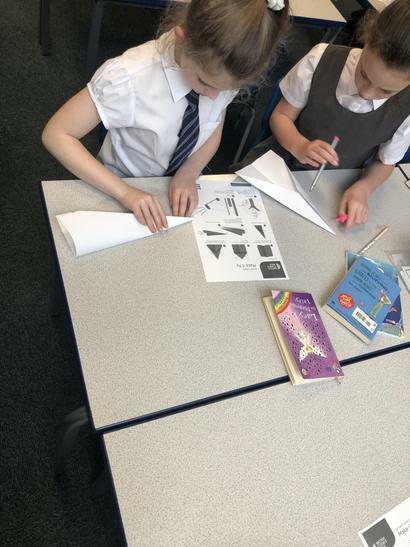 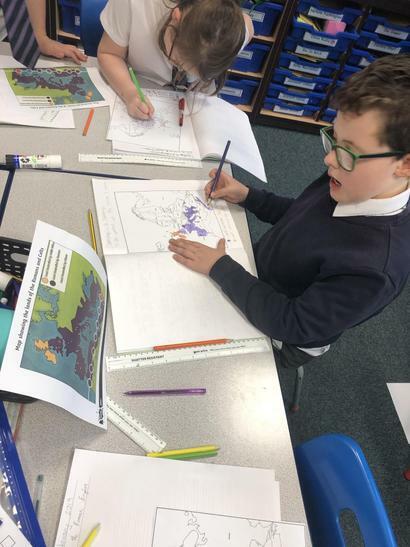 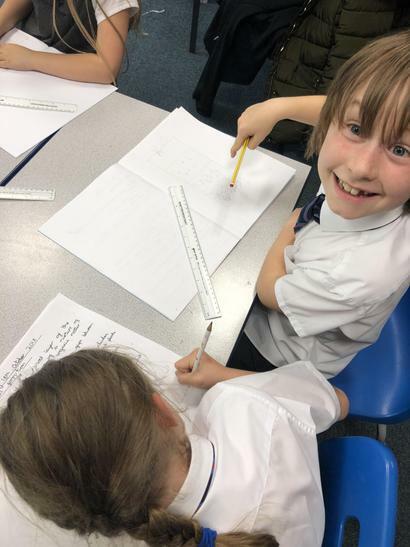 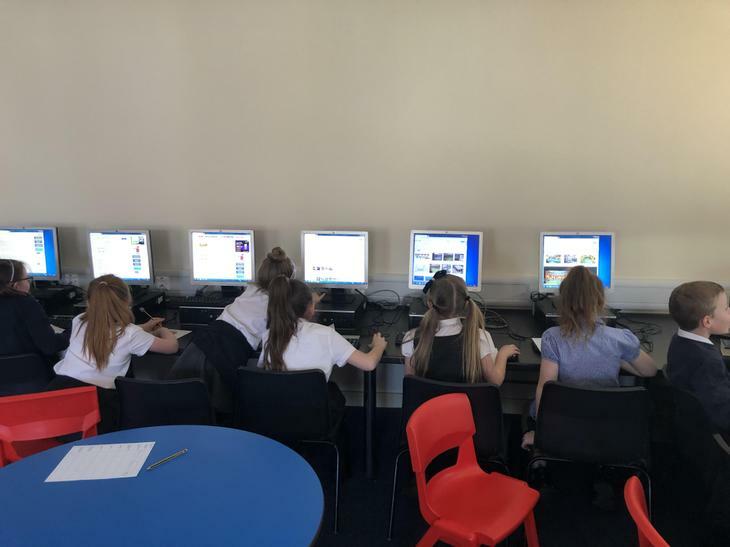 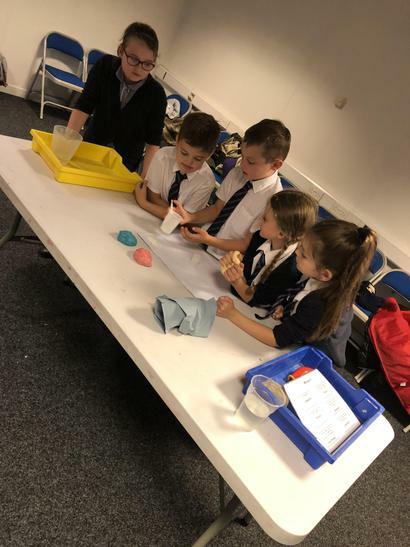 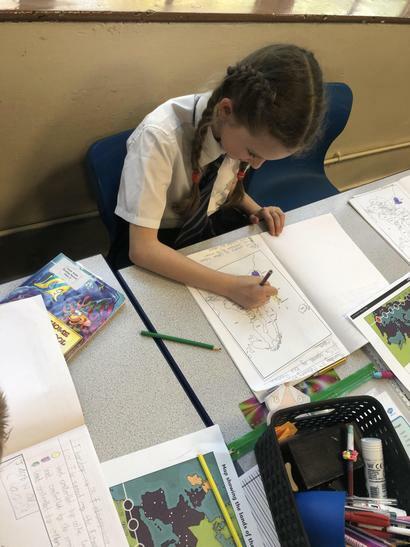 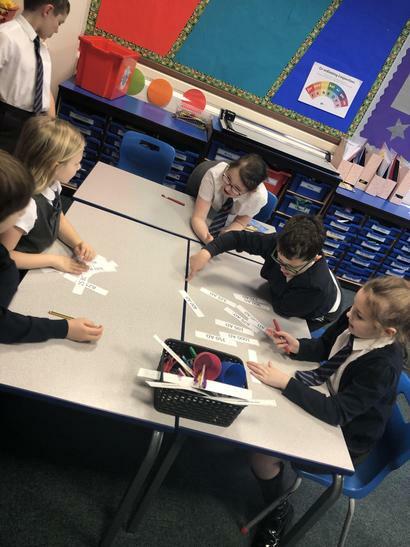 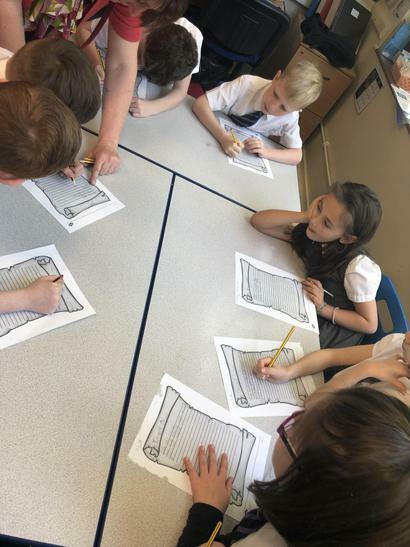 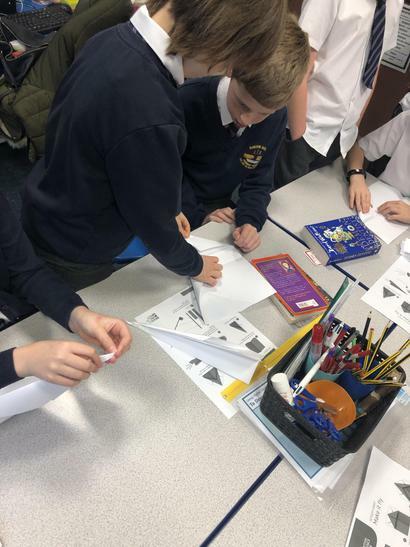 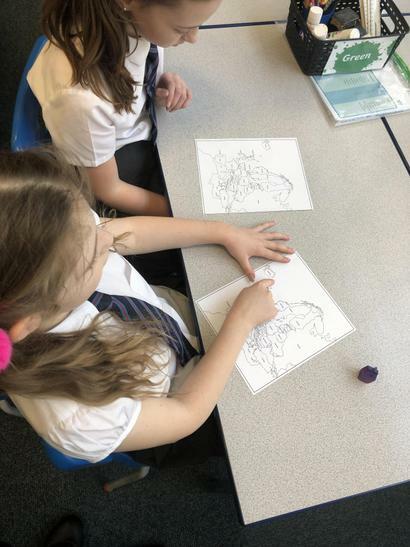 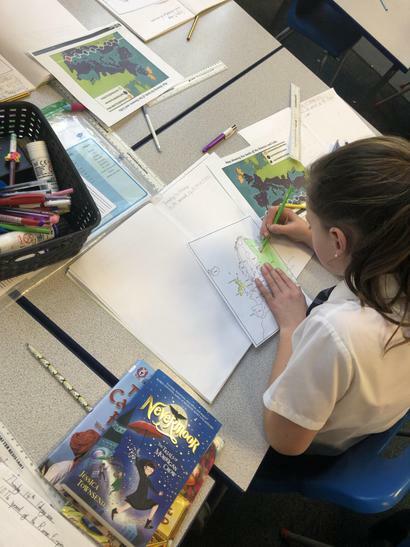 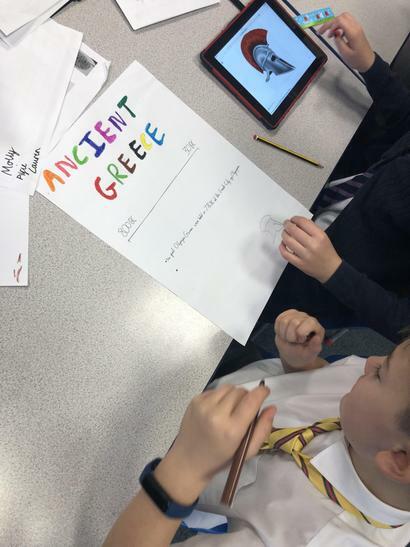 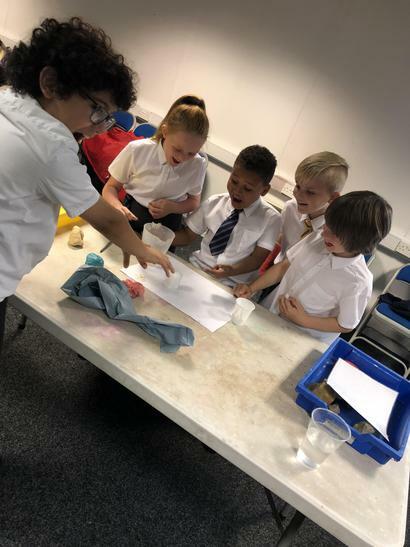 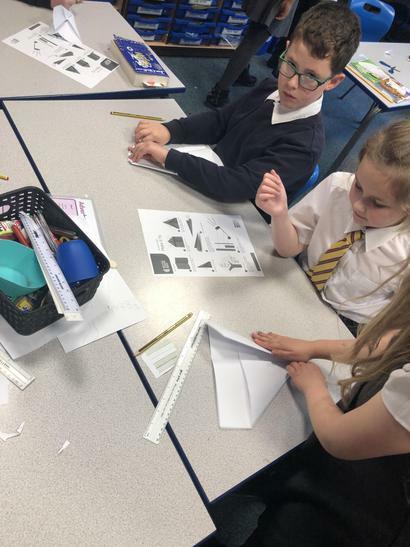 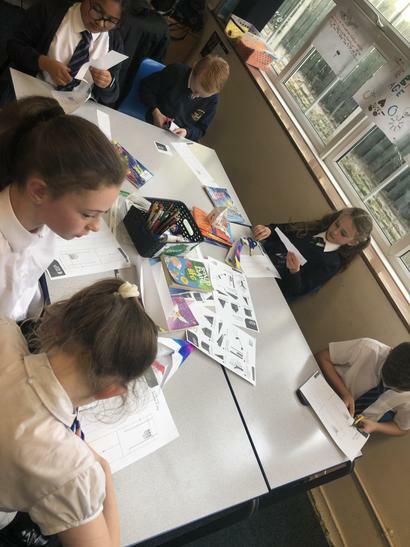 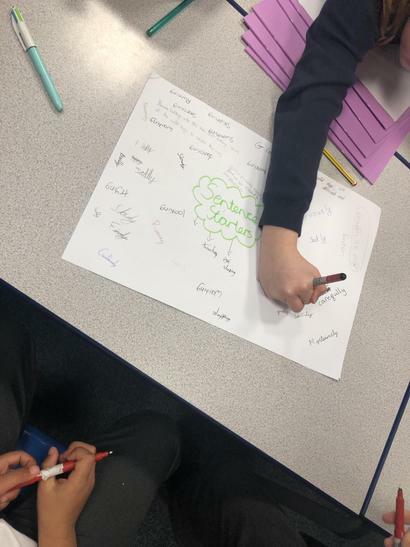 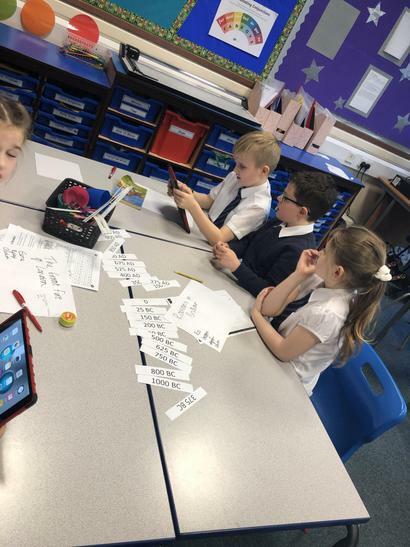 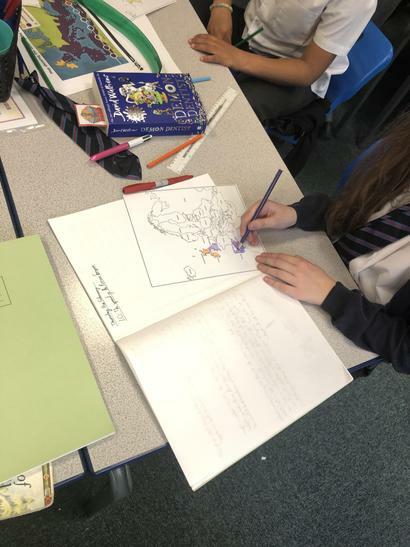 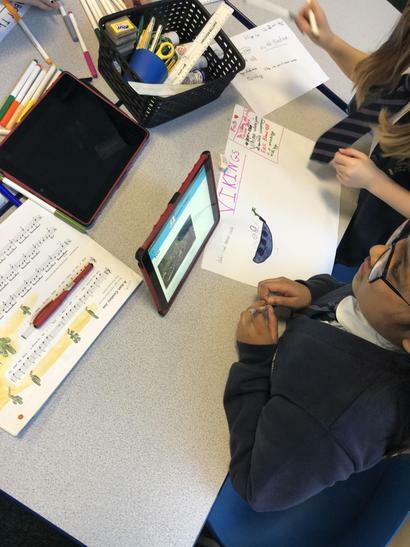 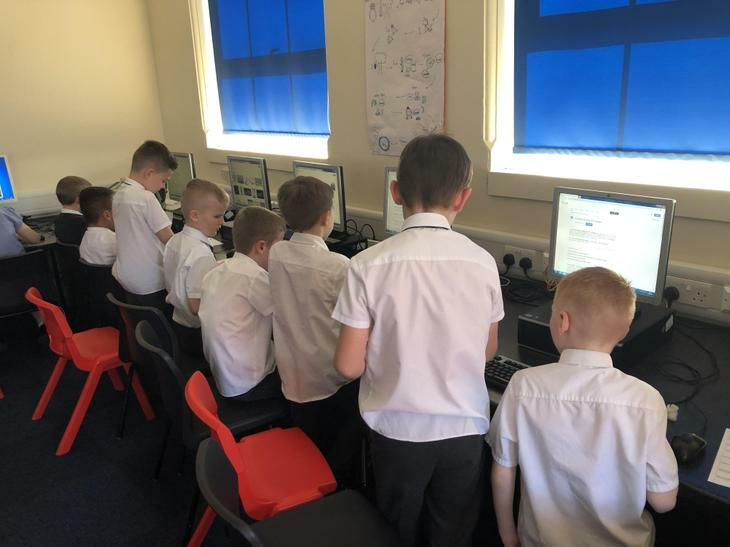 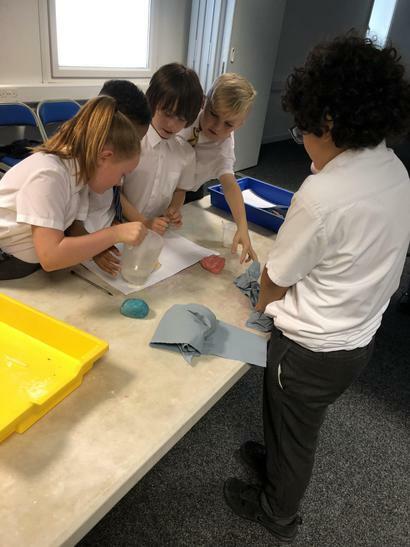 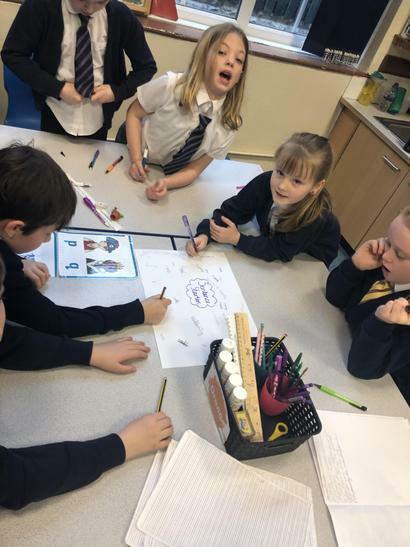 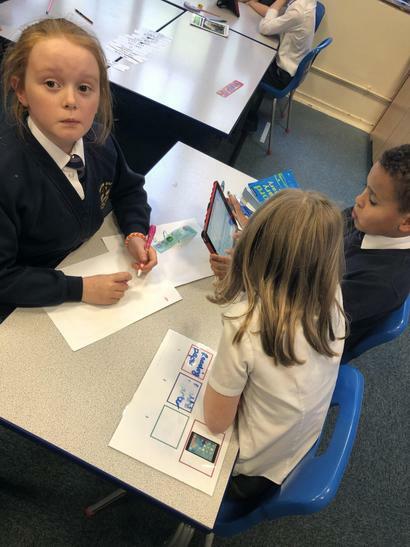 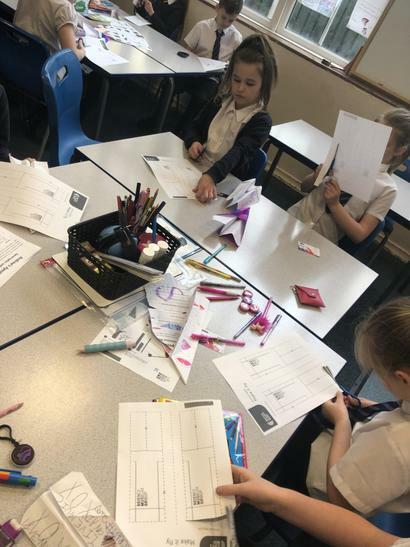 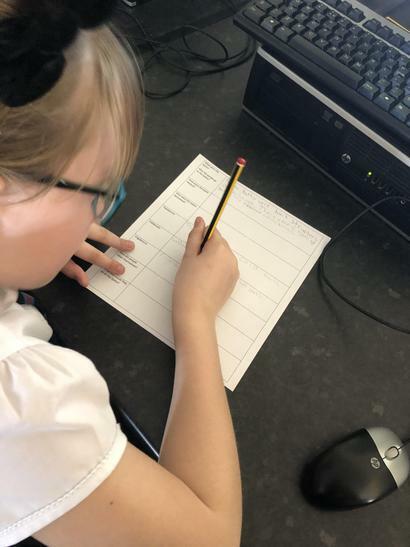 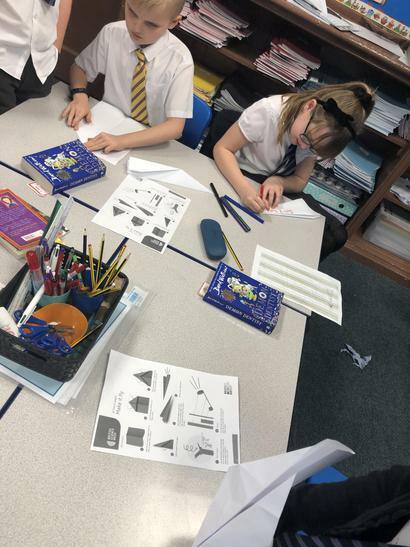 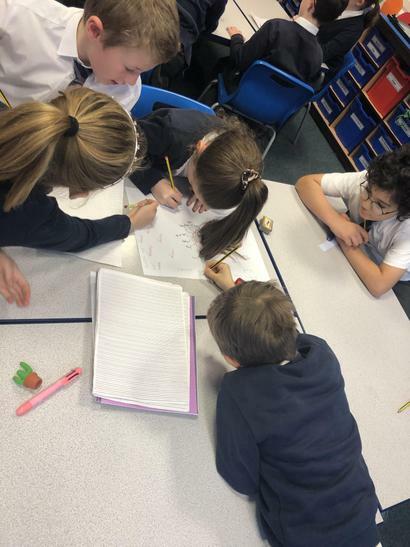 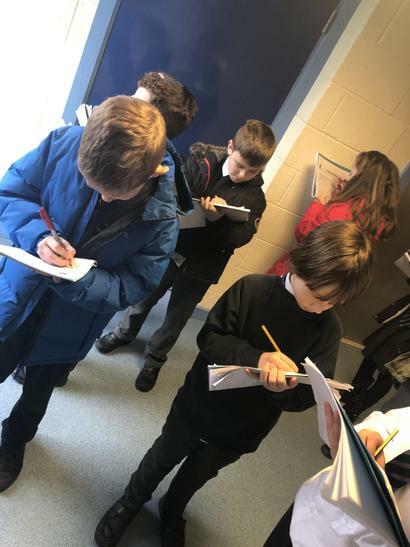 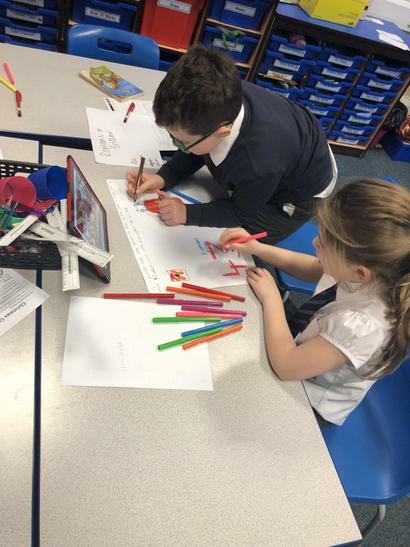 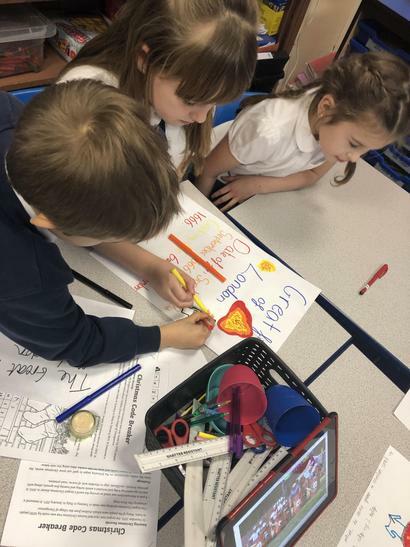 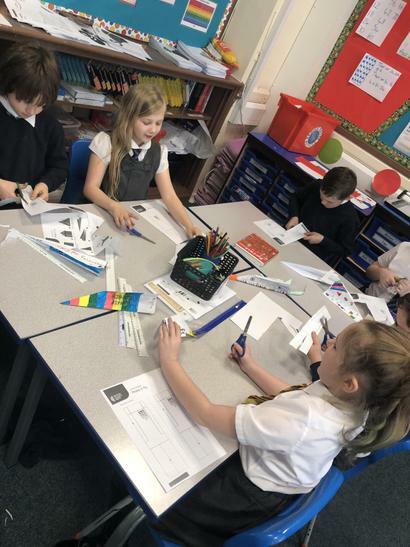 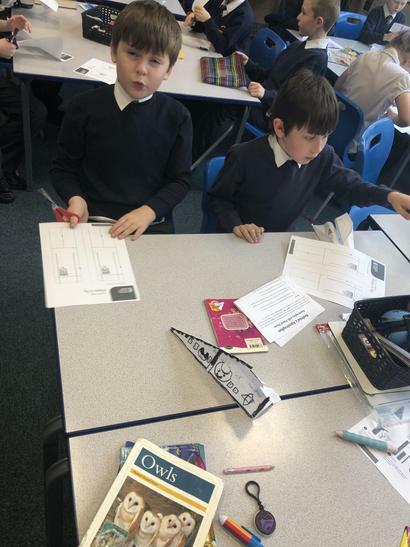 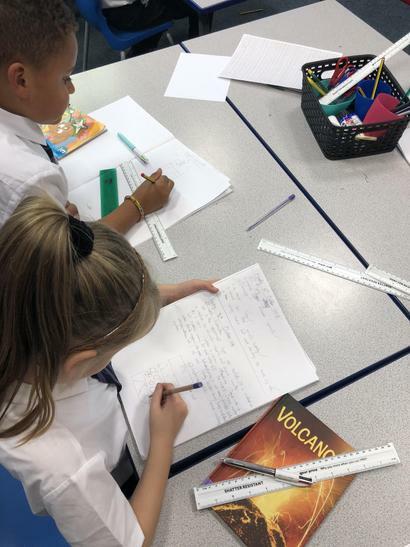 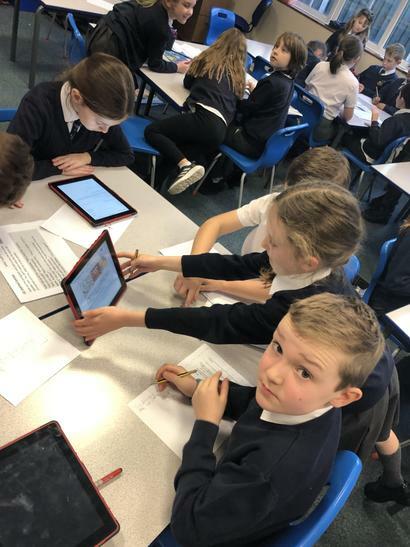 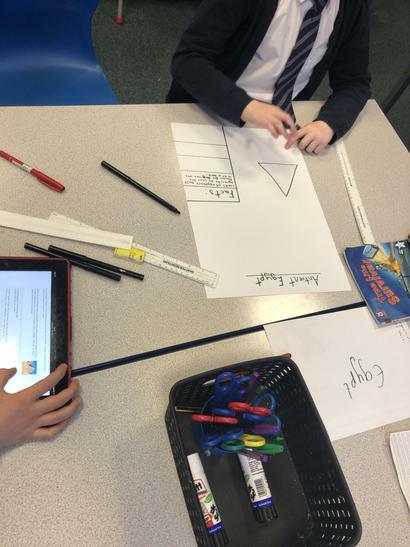 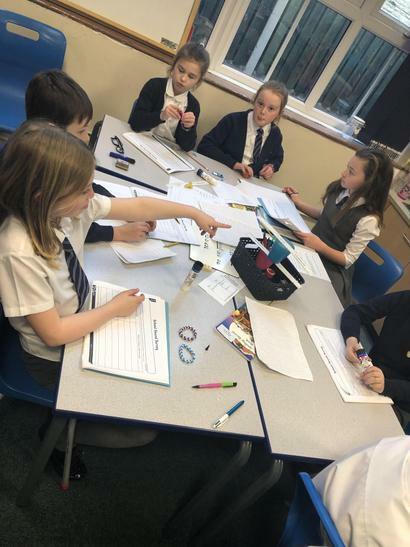 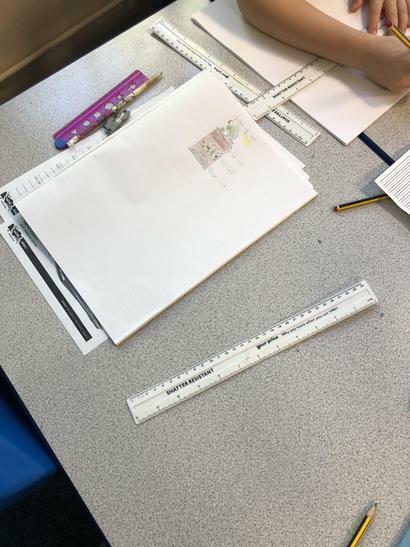 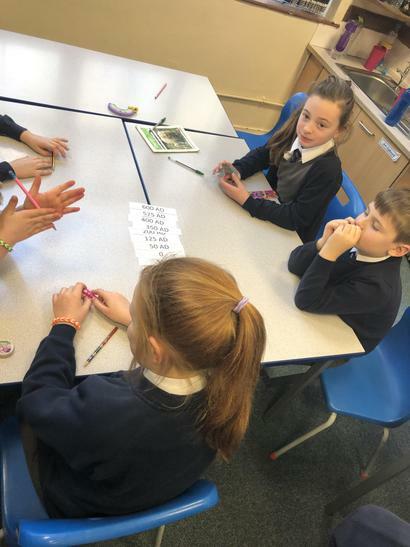 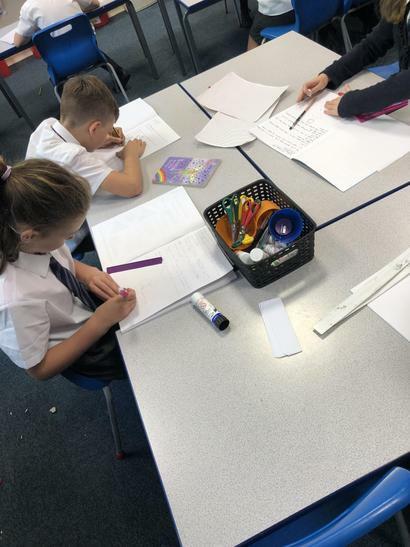 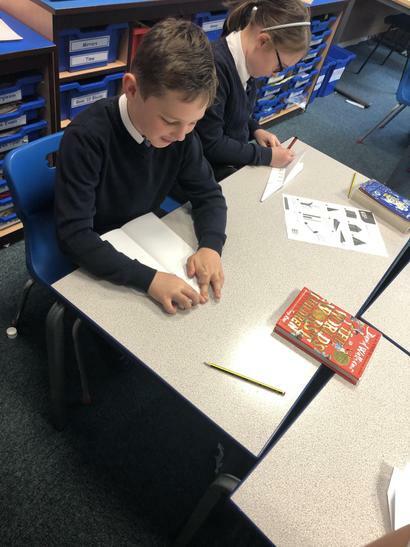 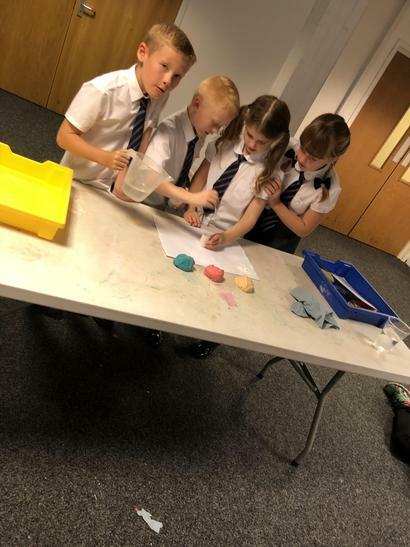 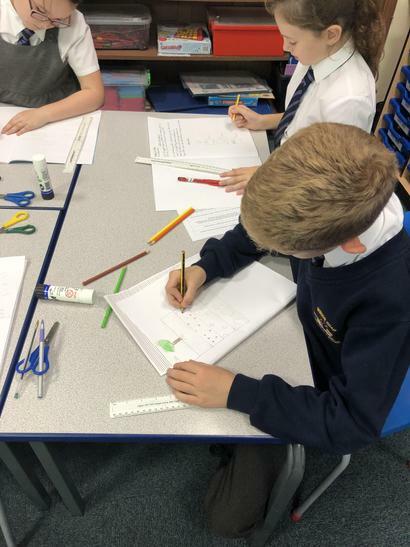 Continuing with our Roman topic, children spent time researching Roman baths gathering information ready to create a leaflet advertising a Roman Bath House. 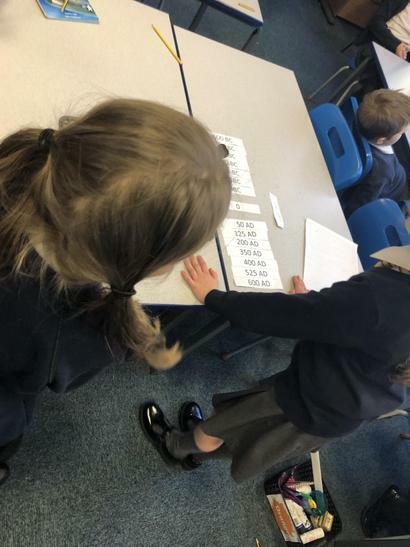 We then shared our information as a class, discussing the interesting facts we found. 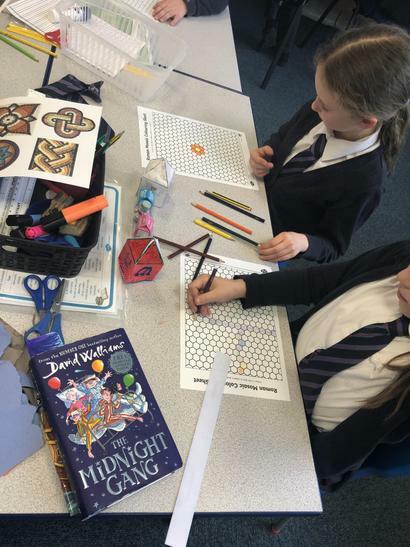 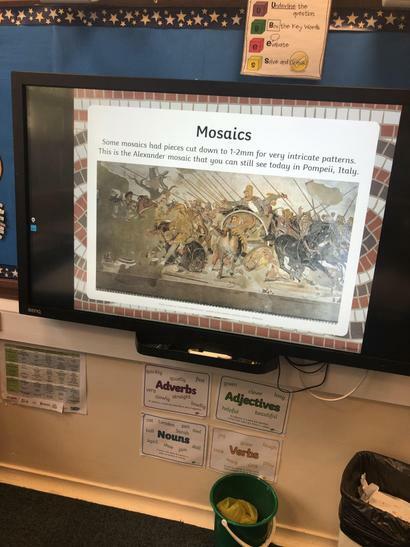 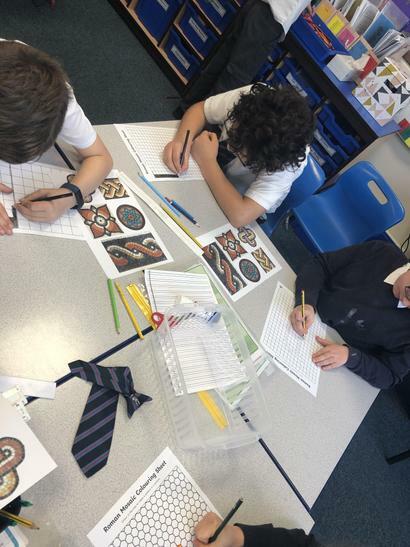 As part of our Roman topic we spent the afternoon looking at mosaics. 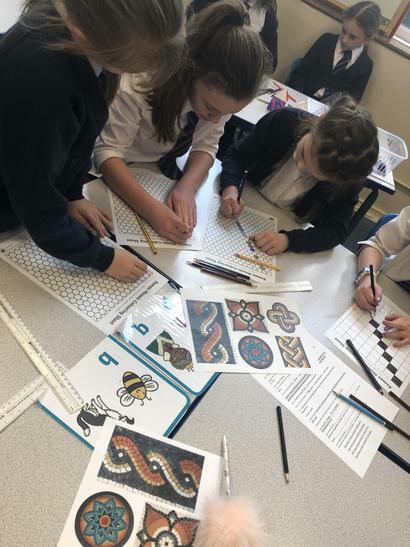 We found it fastenating looking at the remains of Roman mosaics, they were so intricate some of us thought they were paintings! 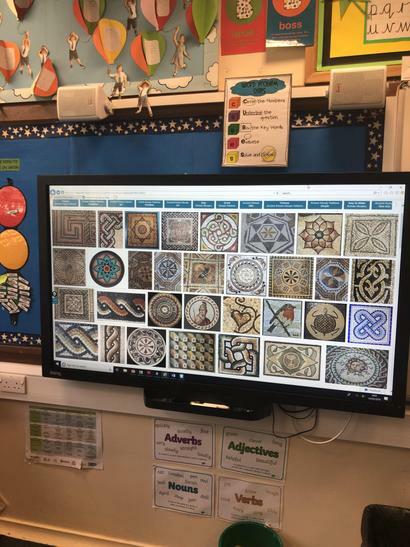 We learnt all about how they crated mosaics and the tools they used. 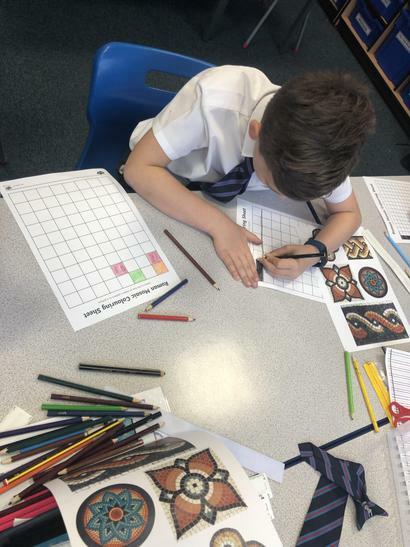 Children then had a go a go at creating the own mosaics. 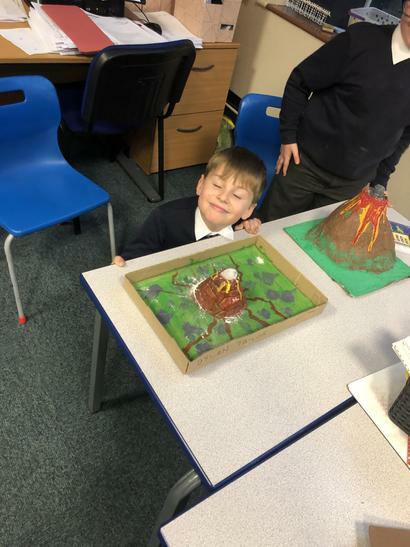 There were some fabulous ideas. 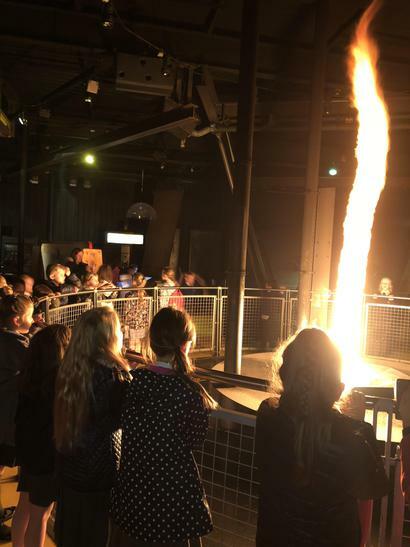 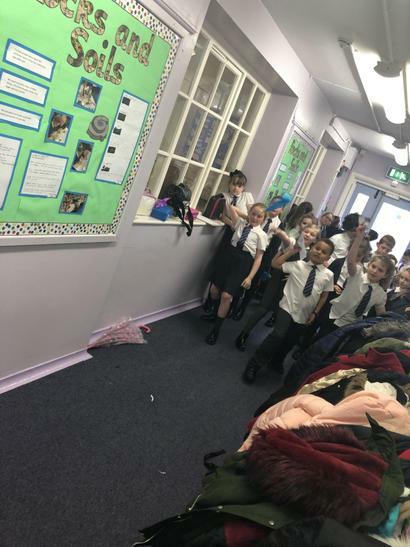 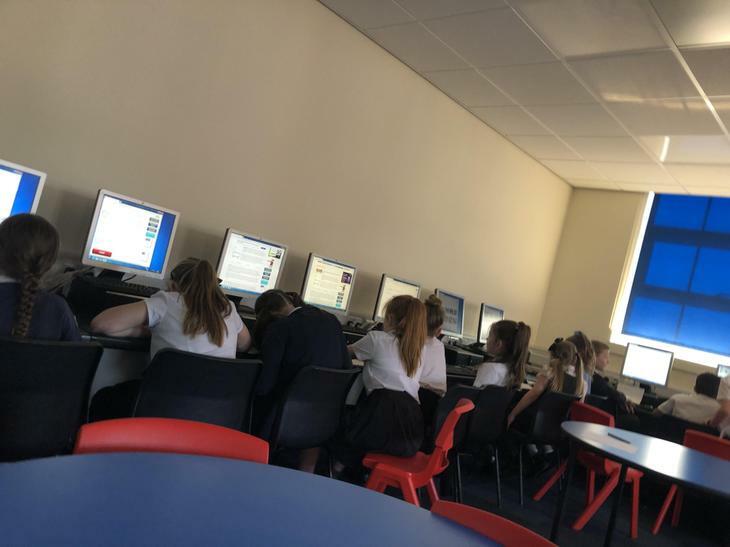 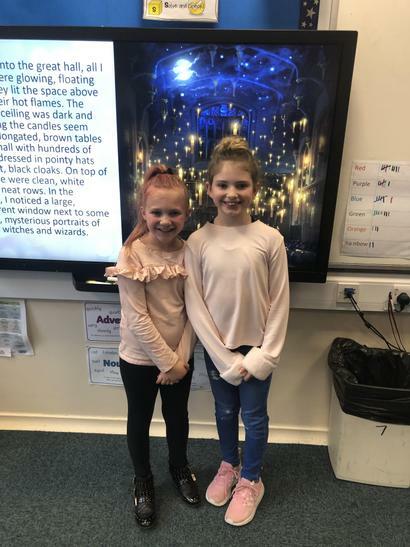 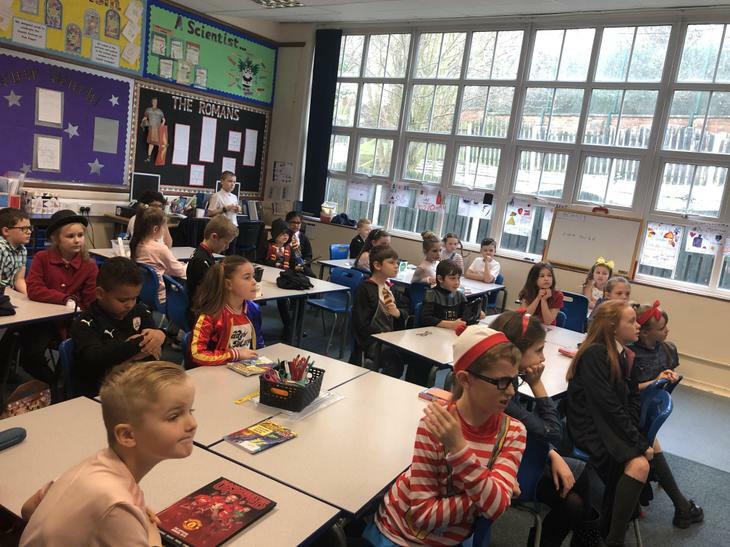 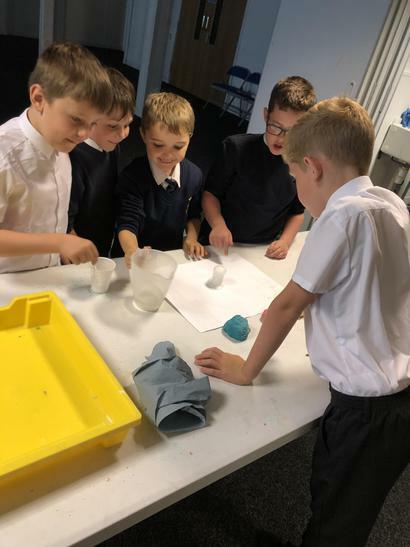 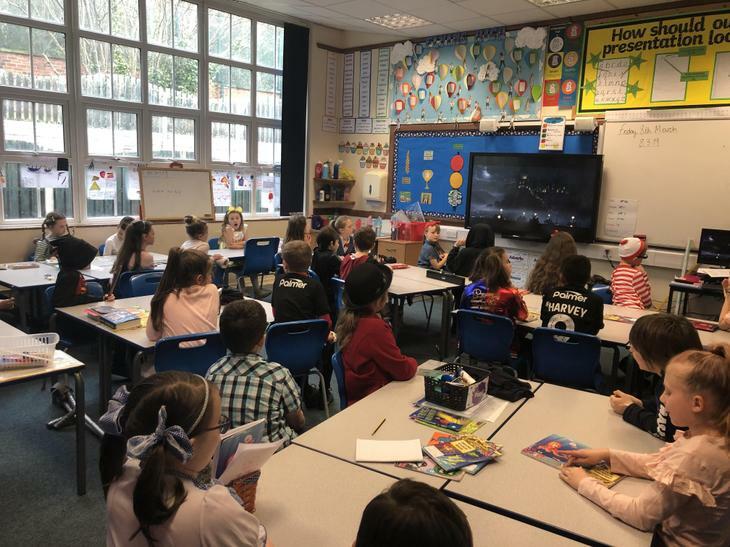 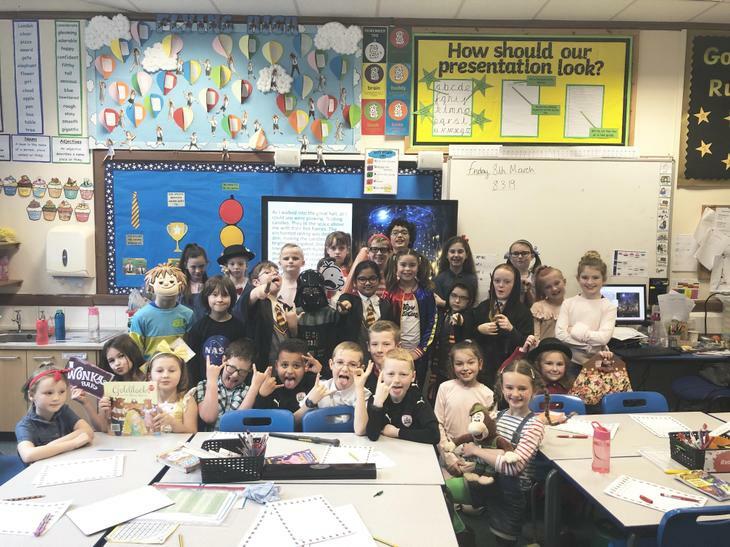 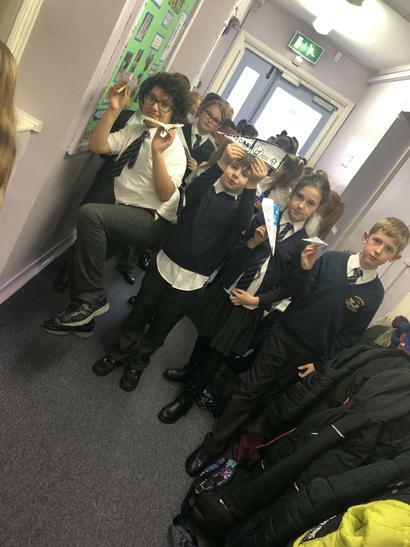 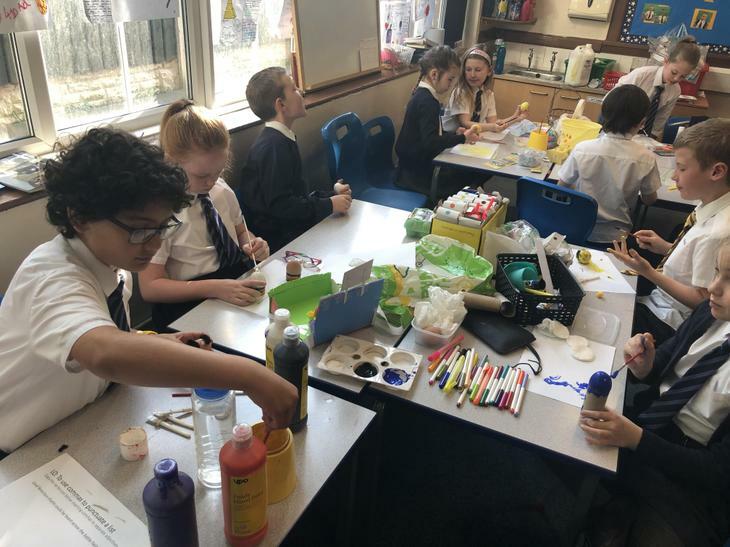 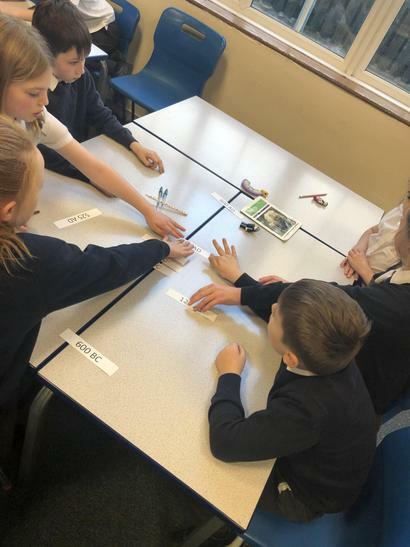 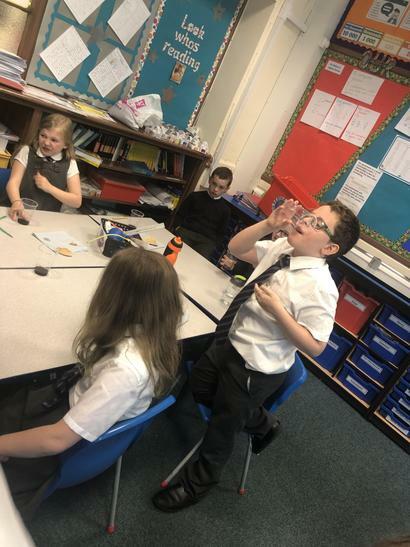 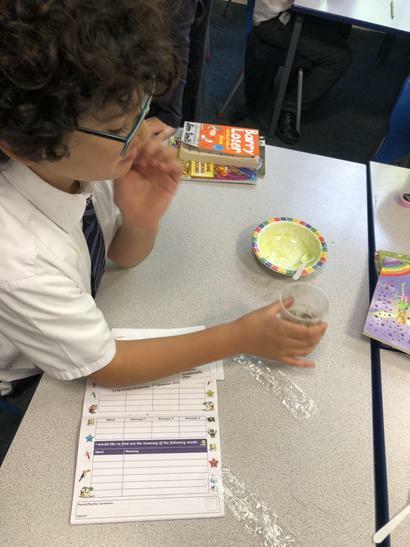 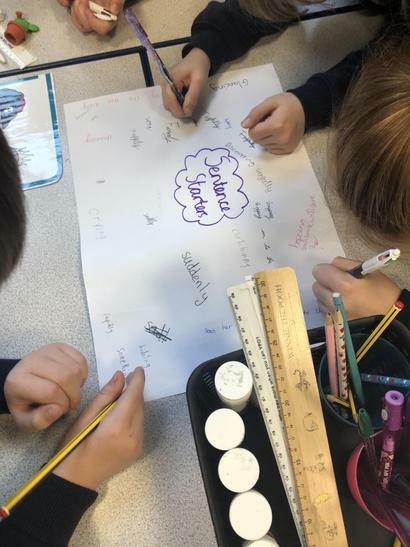 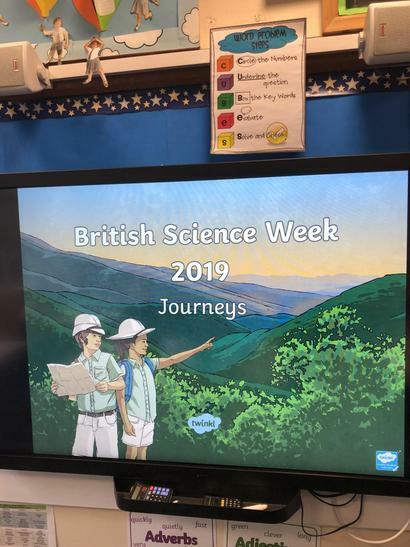 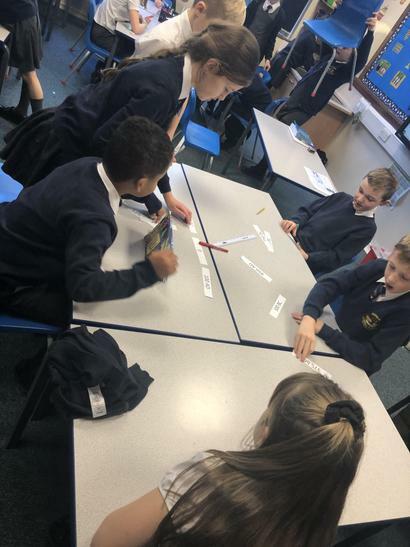 As it’s Britsh Science week, in Class 9 we learnt all about what science week is, why we celebrate it and all about this years theme - Journeys. 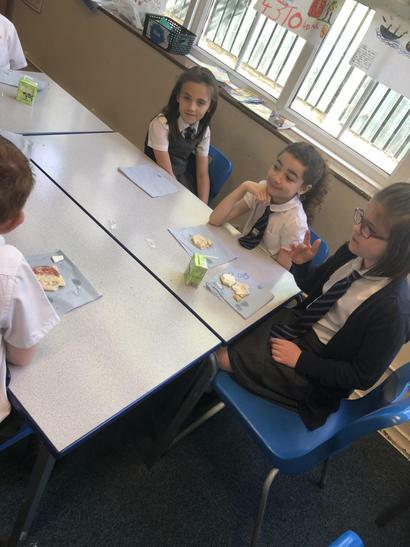 We had a good discussion and learnt some interesting things. 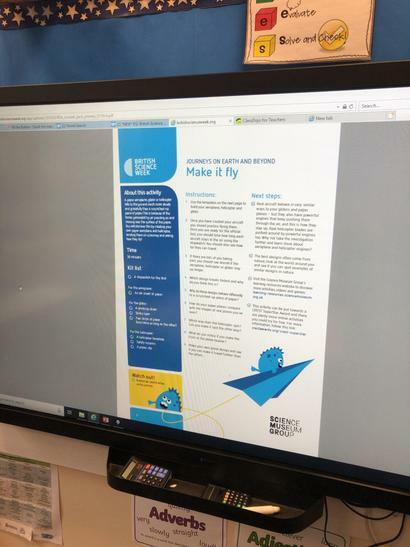 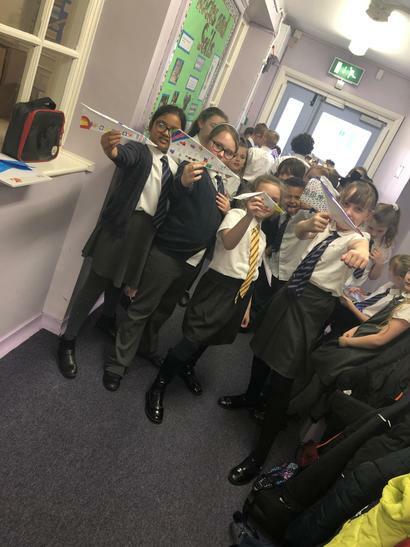 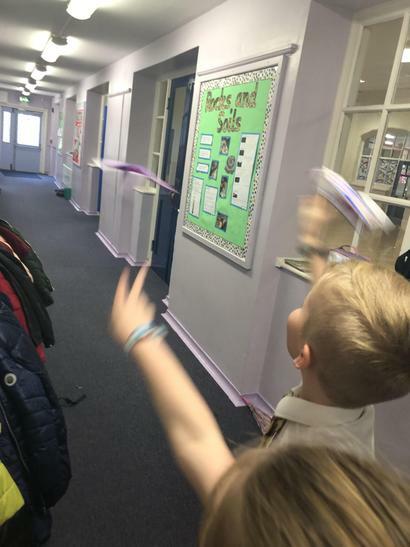 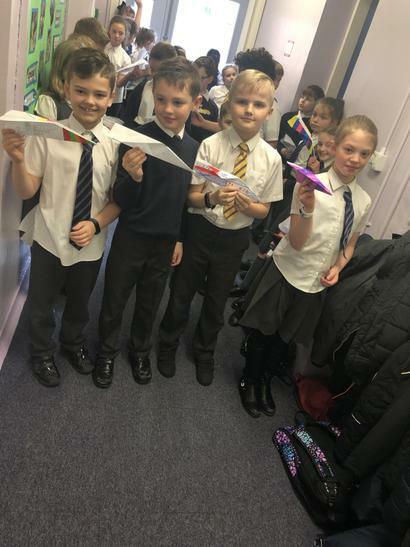 To keep we the theme ‘journeys’ we took part in an activity called ‘Make it fly. 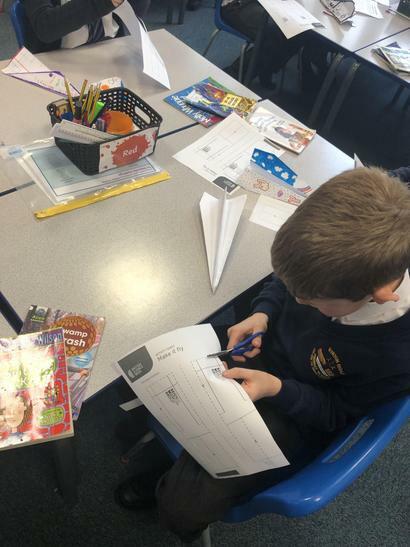 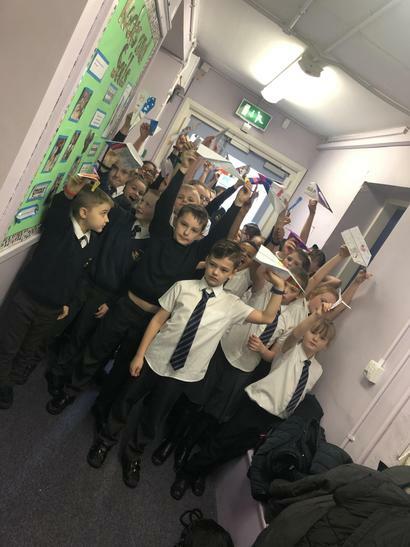 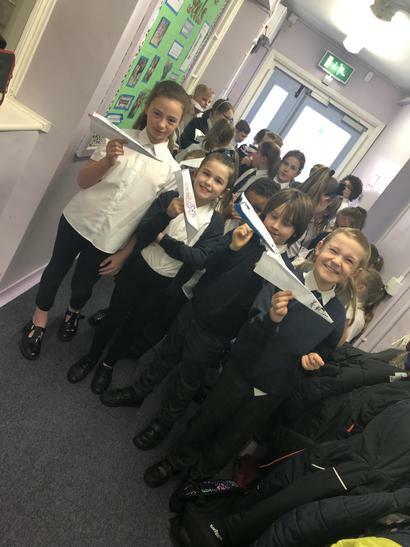 Children created their own aeroplanes, decorated them and then tested their designs. 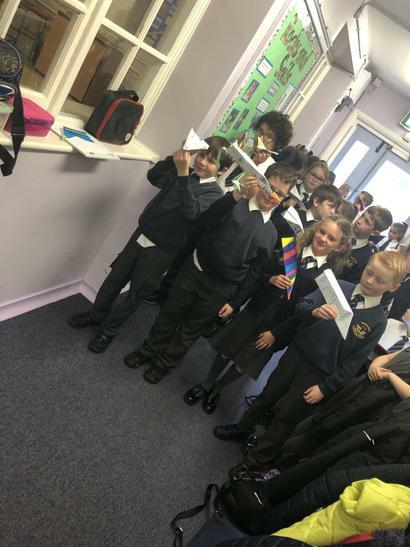 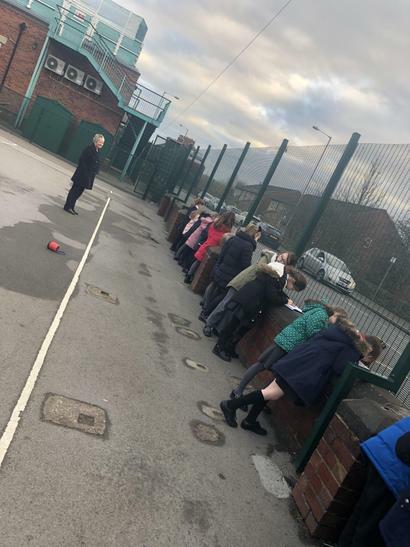 We used a stopwatch to record how long the aircrafts stayed in the air and looked at how far they travelled. 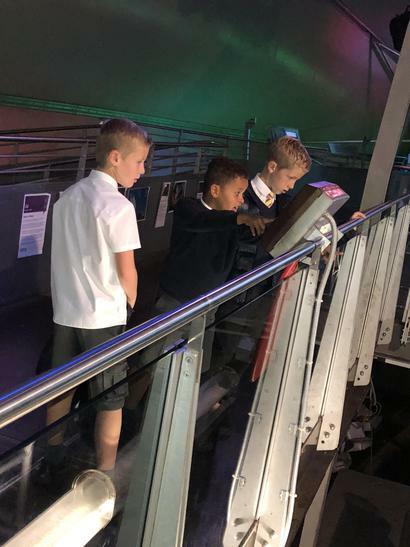 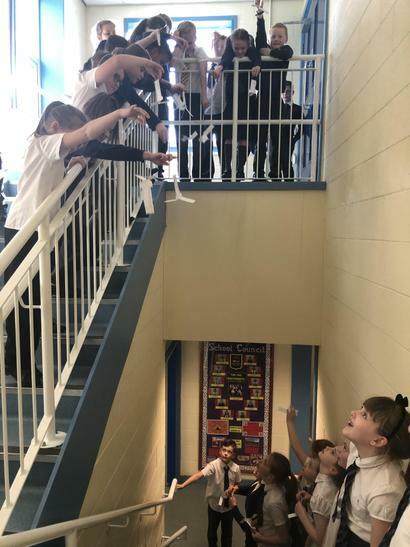 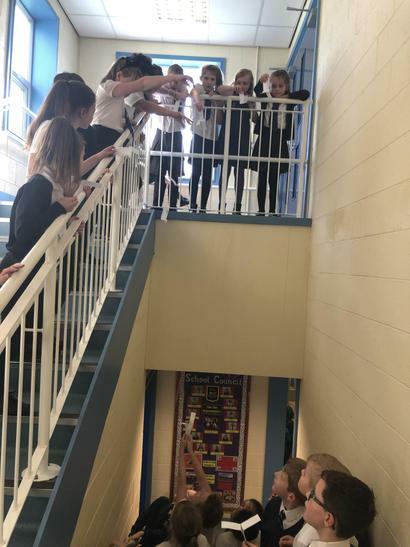 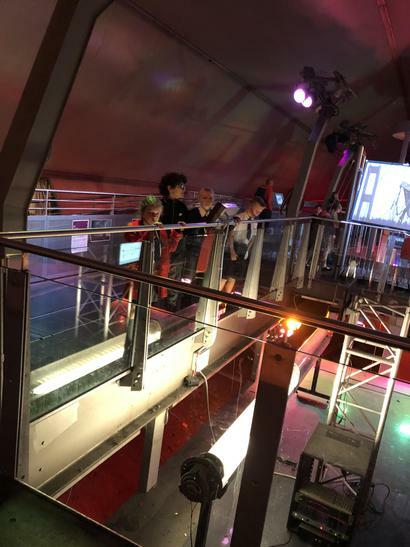 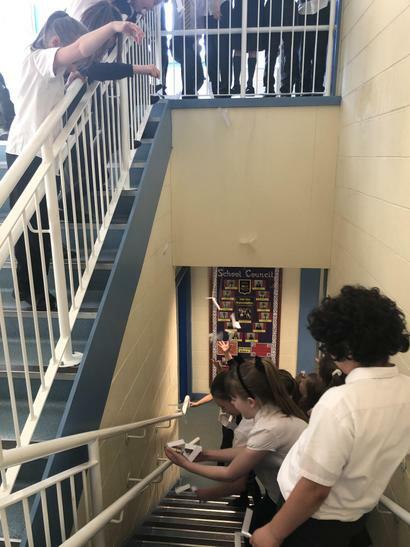 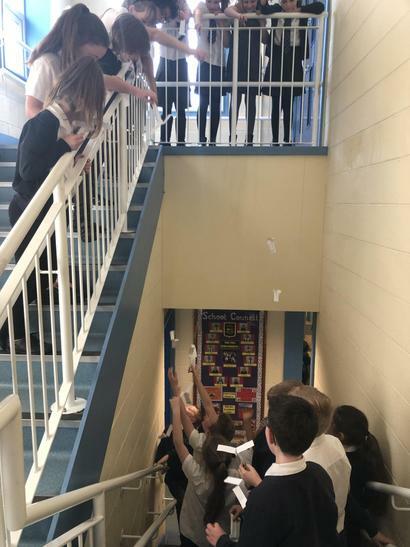 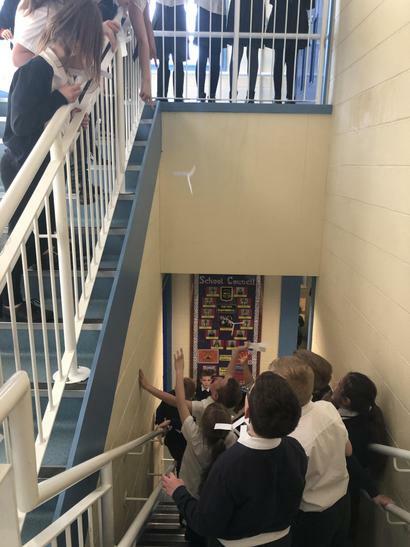 We then tested out helicopters by taking it in turns to drop them from the top of the stairs watching how they journeyed to the ground! 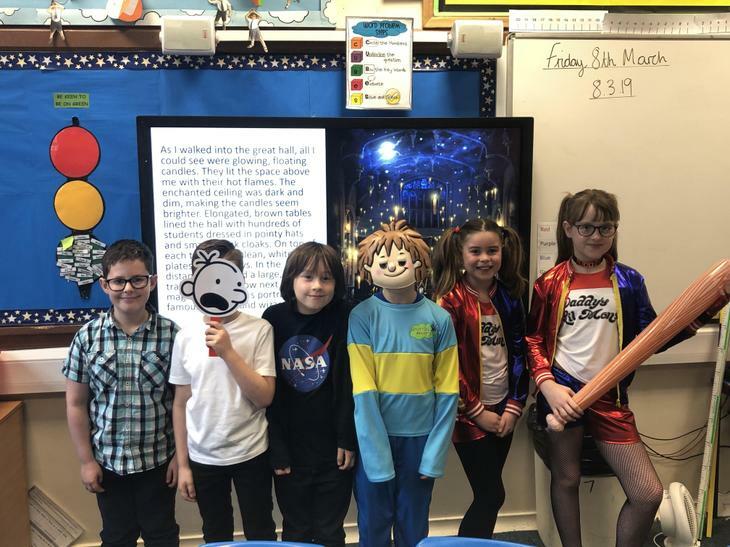 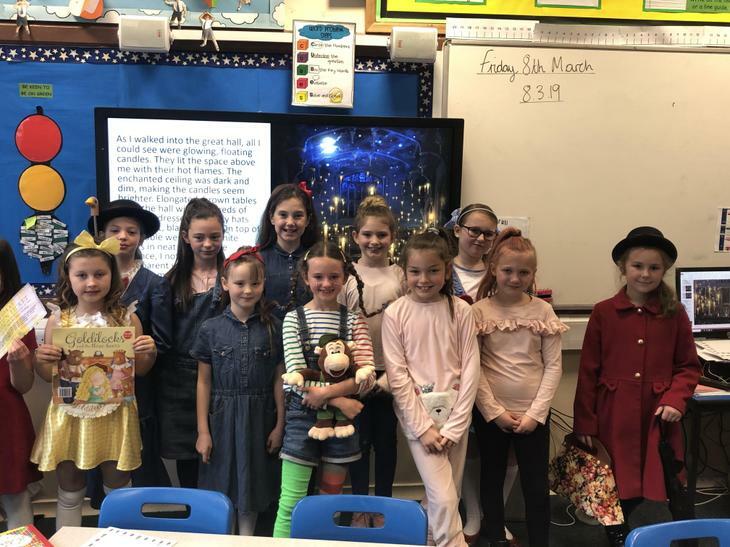 Today children came to school dressed as their favourite characters from a book. 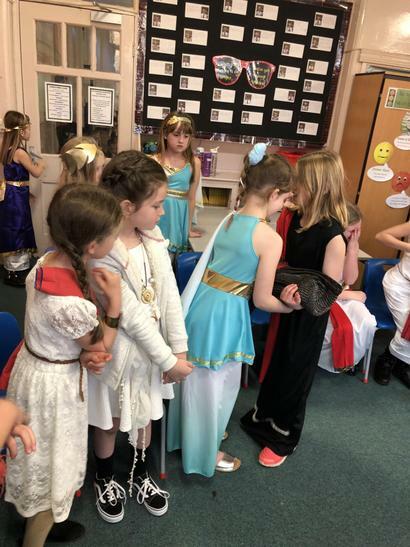 There were so many amazing outfits! 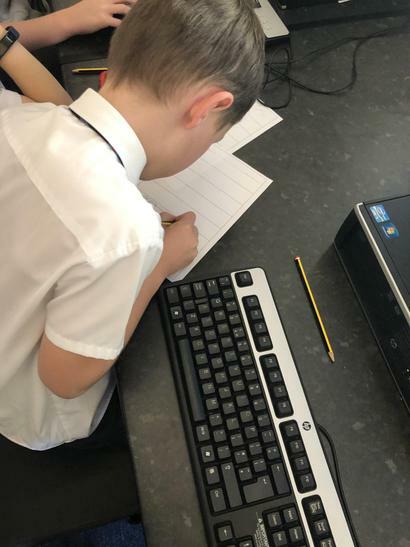 We began our day looking at a clip of Harry Potter which we used to produce some descriptive writing. 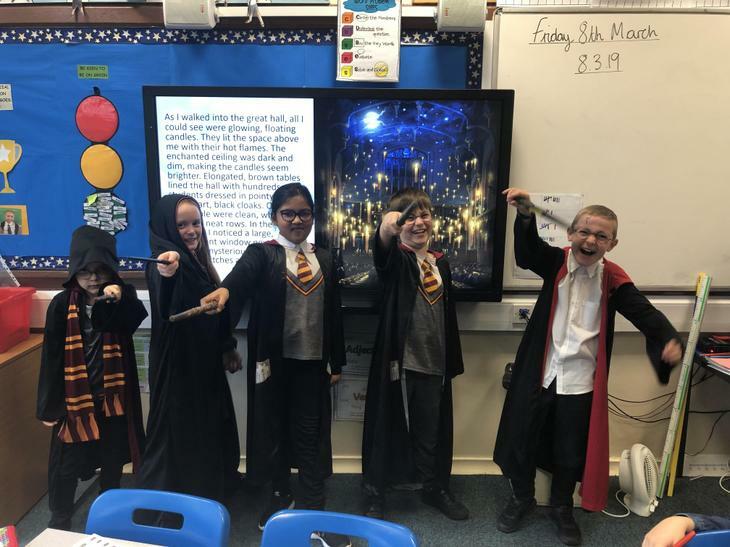 We then enjoyed a story - children chose Harry Potter to match the theme of the morning. 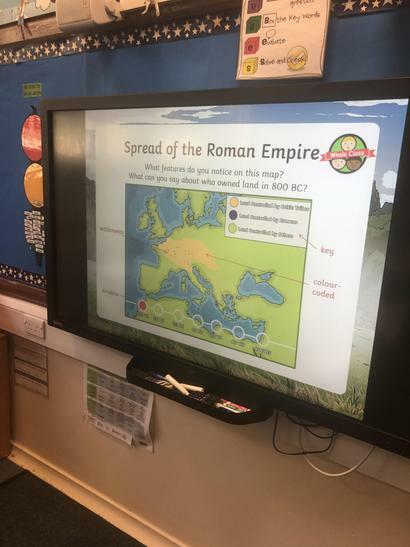 During our topic lesson this week, we have looked at the spread of the Roman Empire. 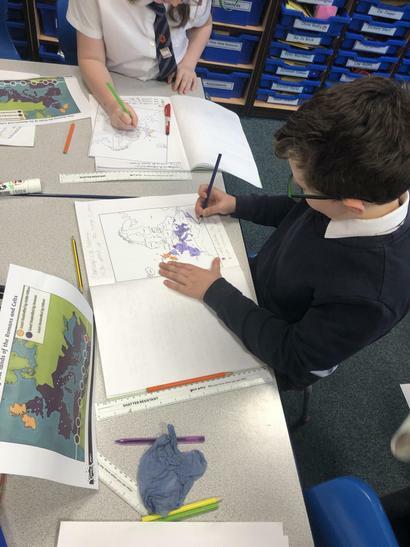 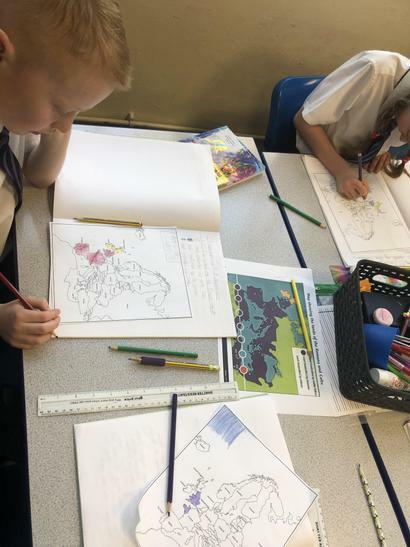 We used a map of Europe to identify countries that were controlled by the Romans as the empire grew over time. 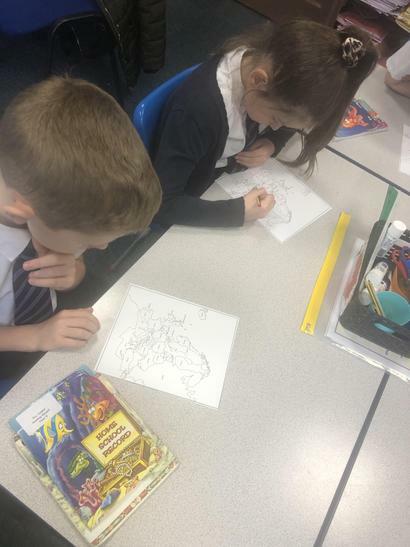 We then created a key and marked on our maps the land controlled by the Romans, Celtic tribes and others. 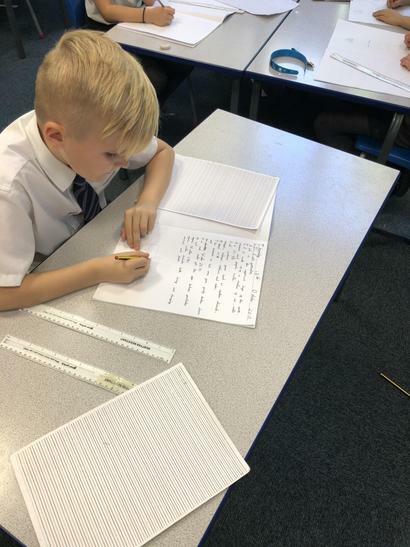 This week in literacy we have been focusing on using fronted adverbials and verbs to start sentences. 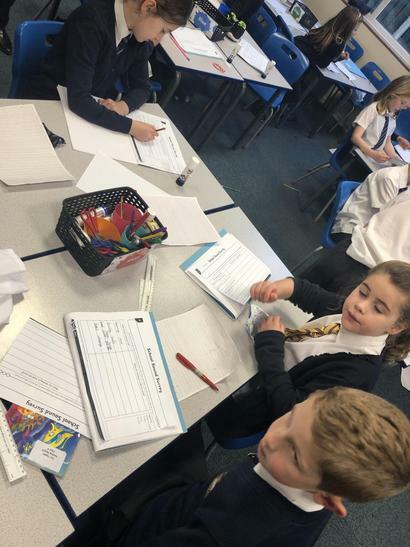 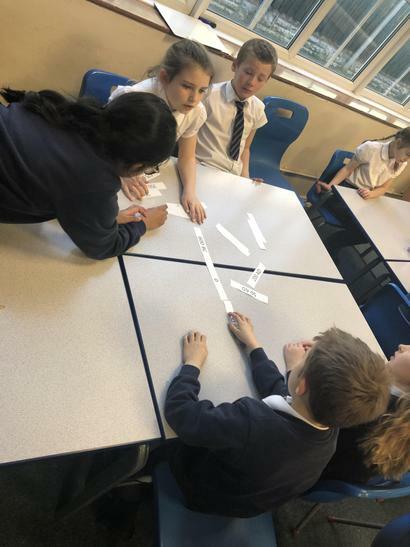 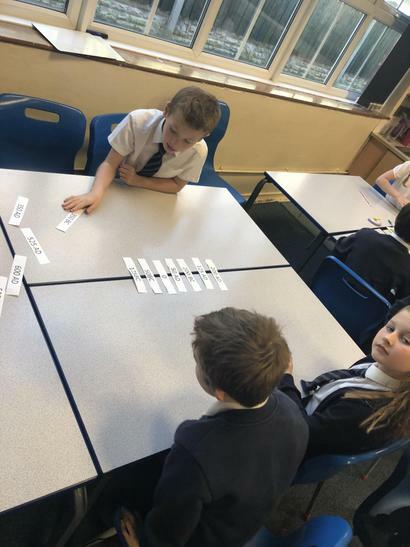 To help with their diary extracts children worked together to create a bank of sentences starters that they can use in their writing. 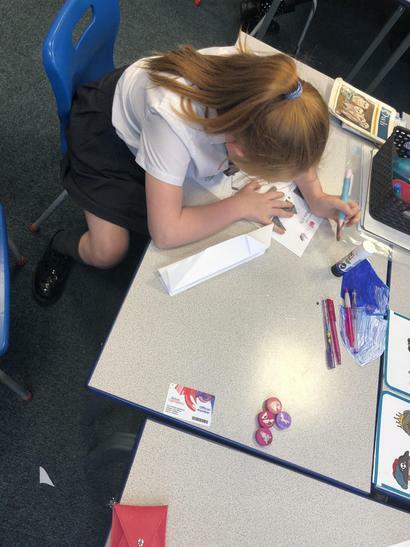 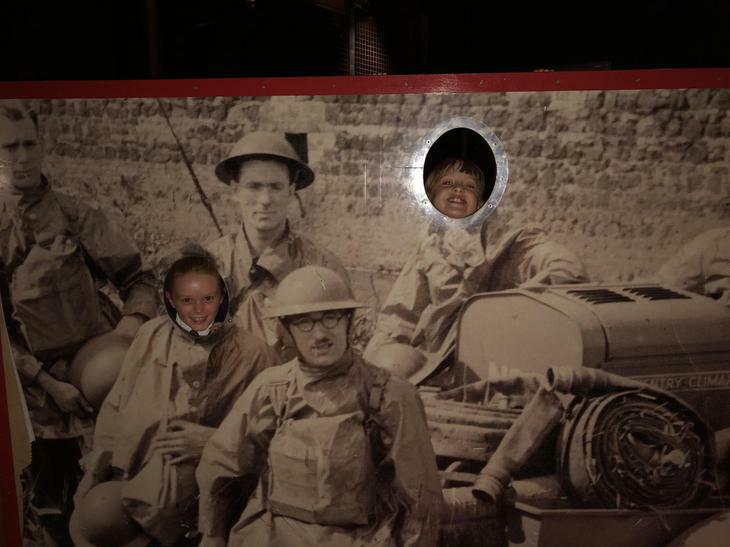 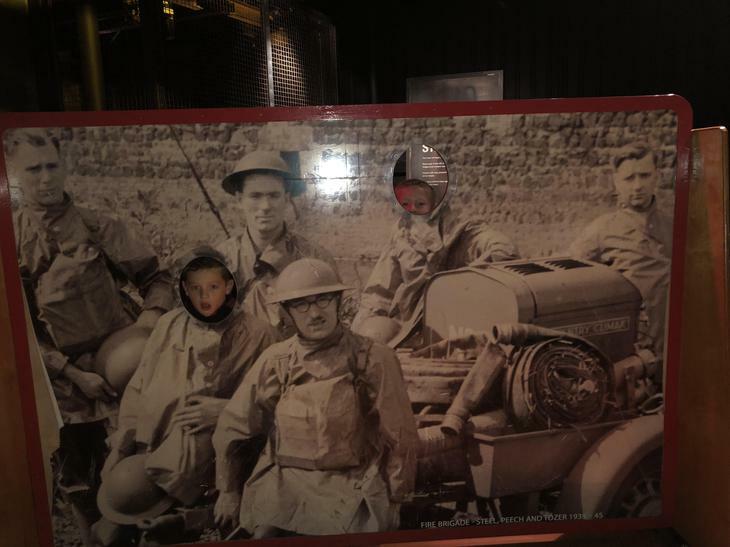 We began our topic by looking at different eras in British History. 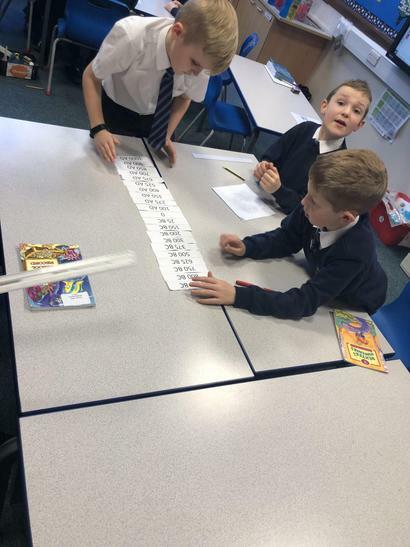 We looked at a timeline and children worked as a team to order BC and AD dates. 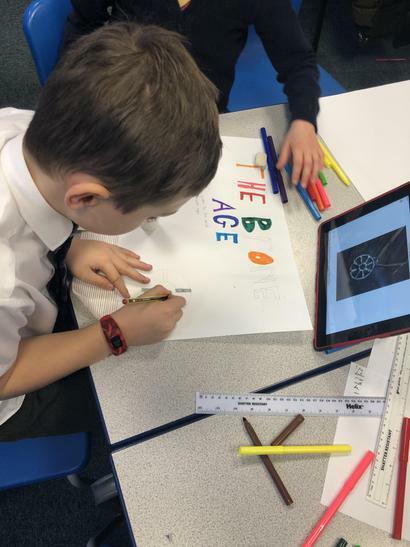 Children were then allocated an era to research and create a poster containing the start and end date, 3 facts and a picture. 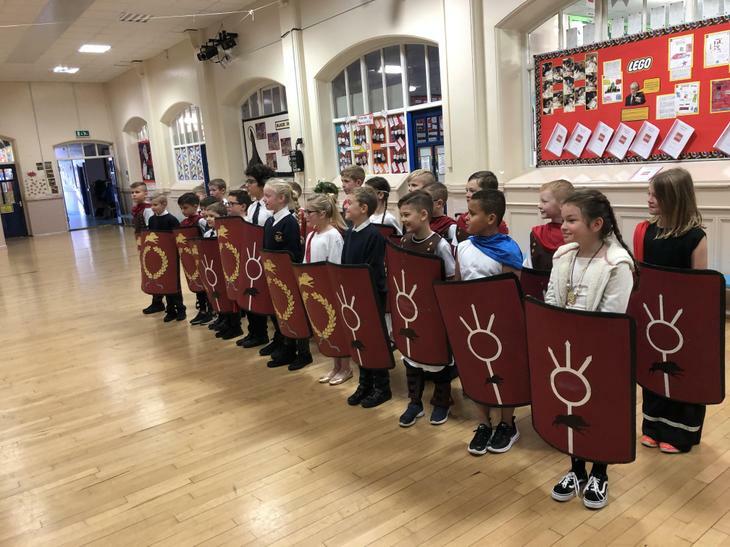 When complete we will create a timeline of events in our British history before focusing on the Romans and there invasion of Britain. 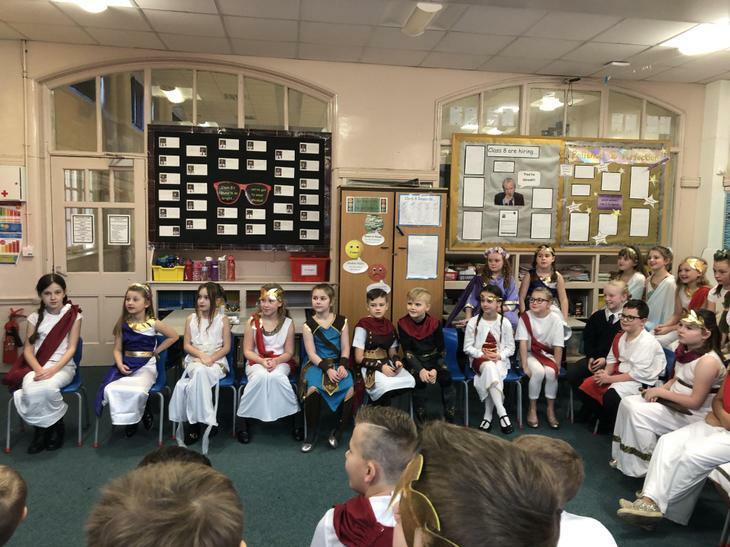 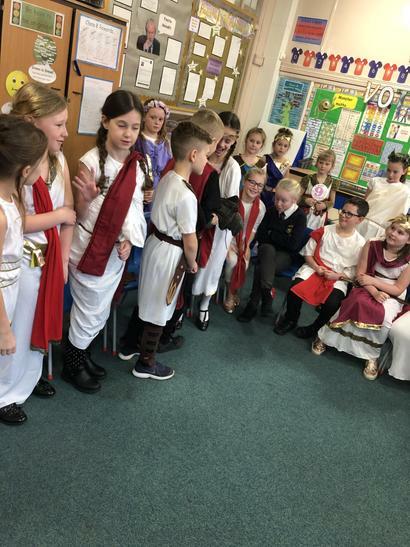 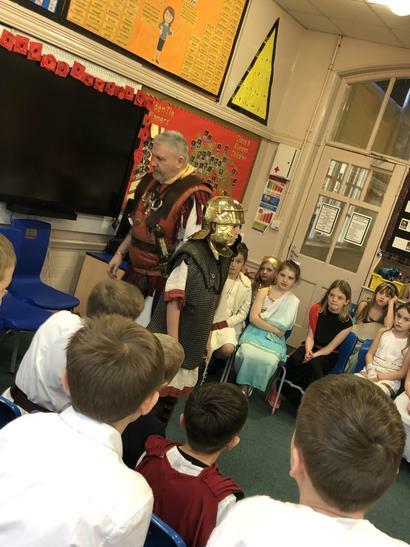 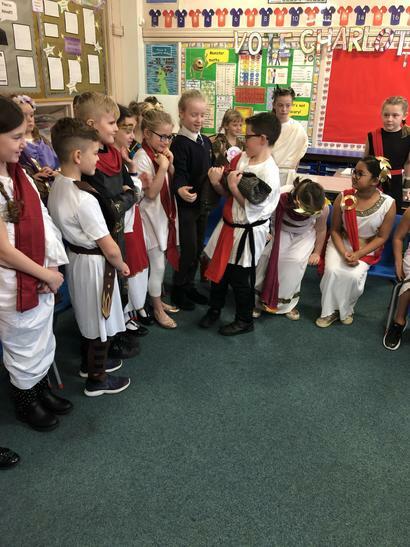 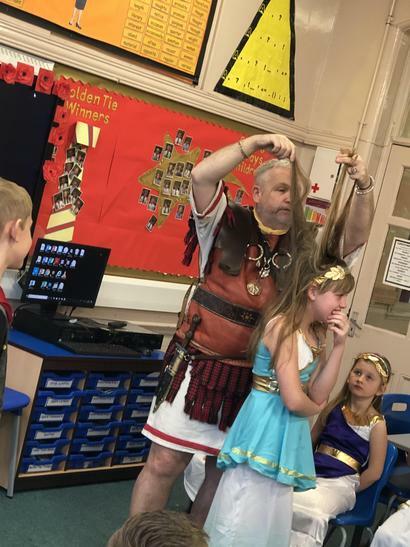 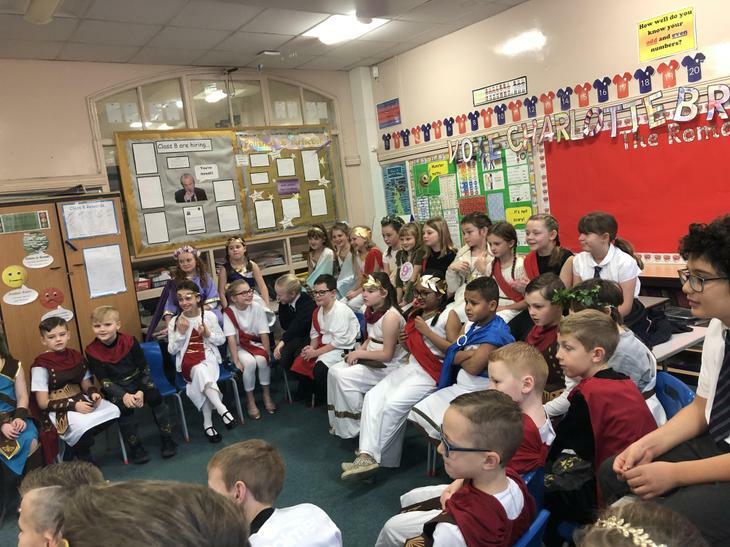 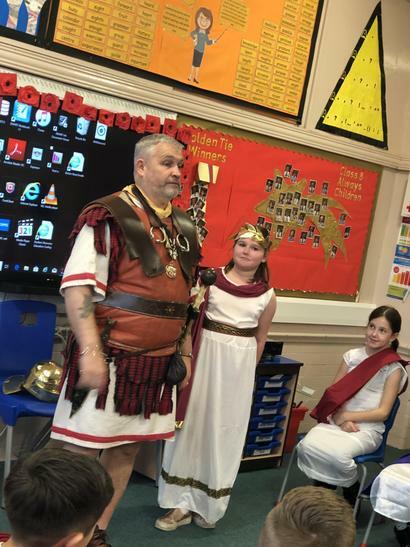 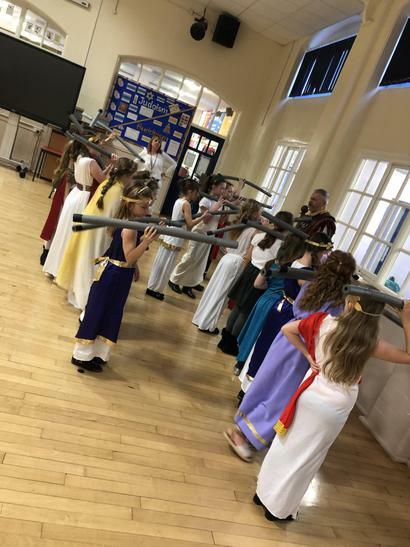 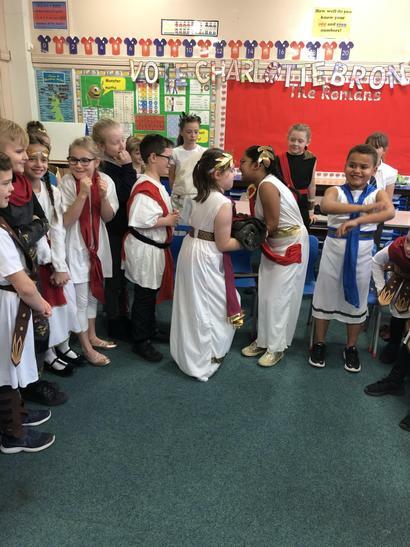 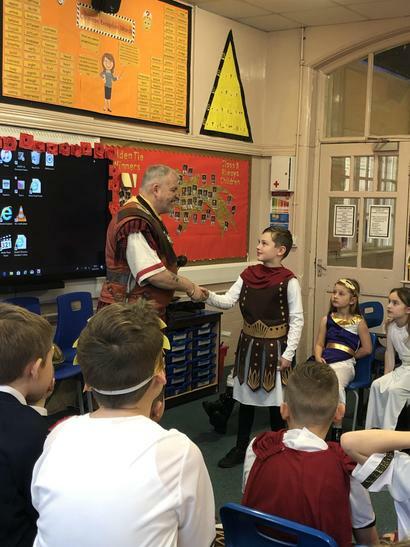 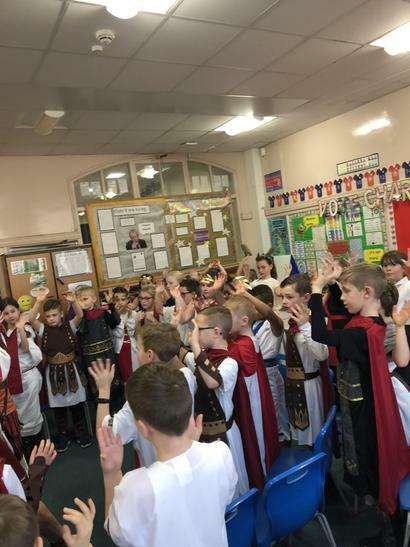 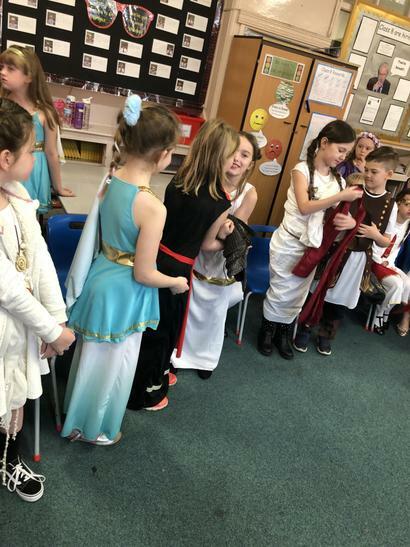 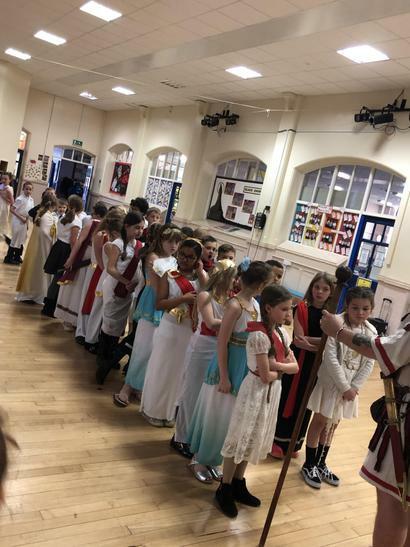 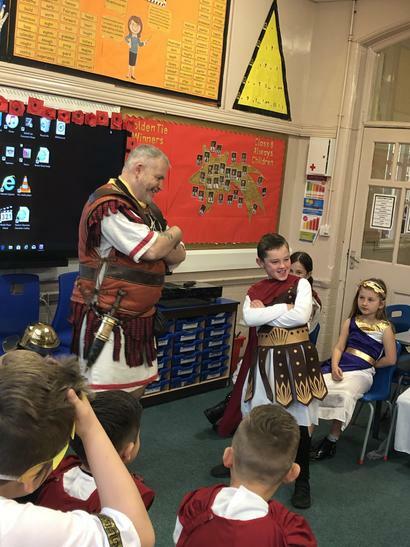 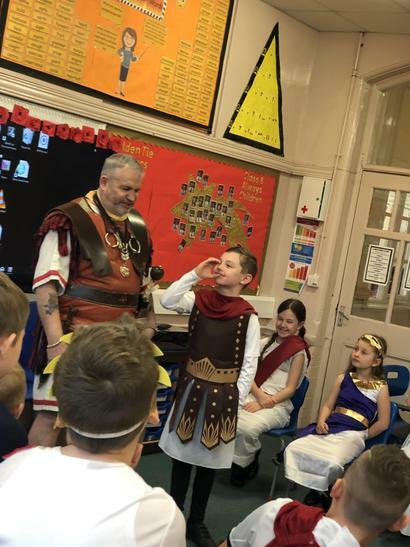 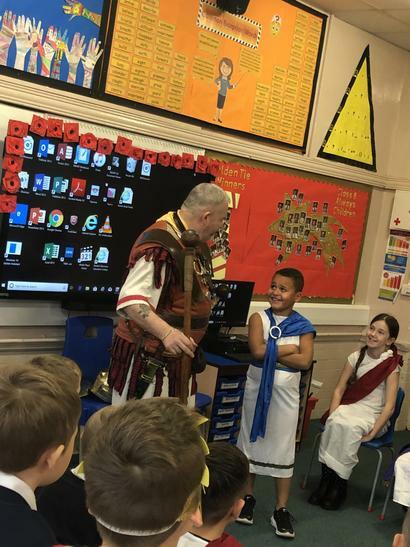 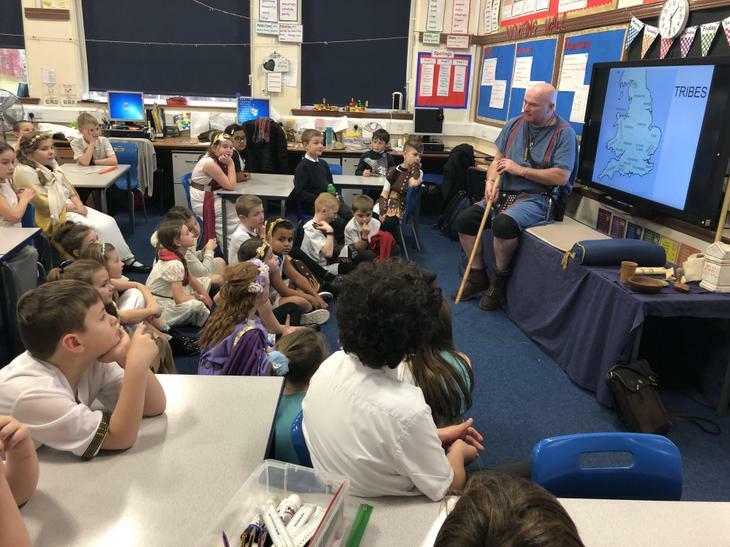 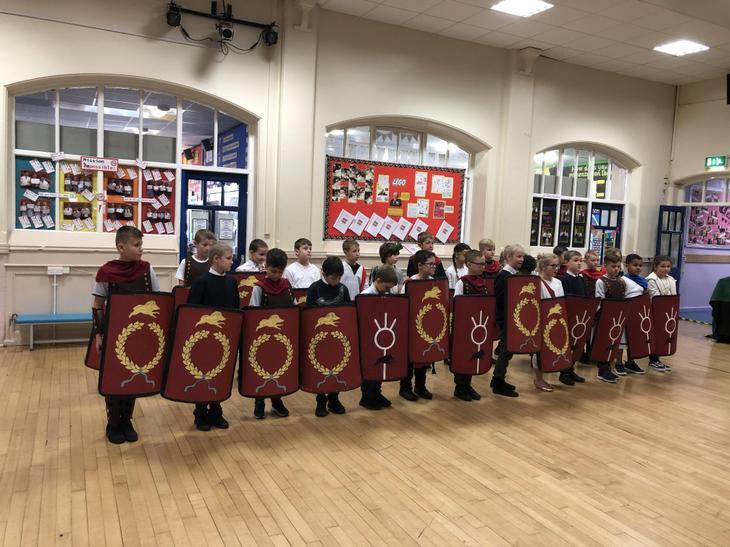 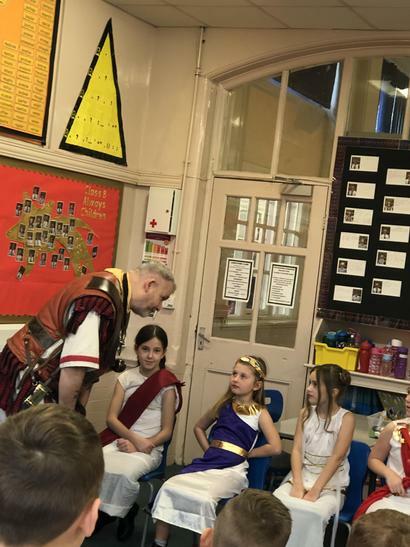 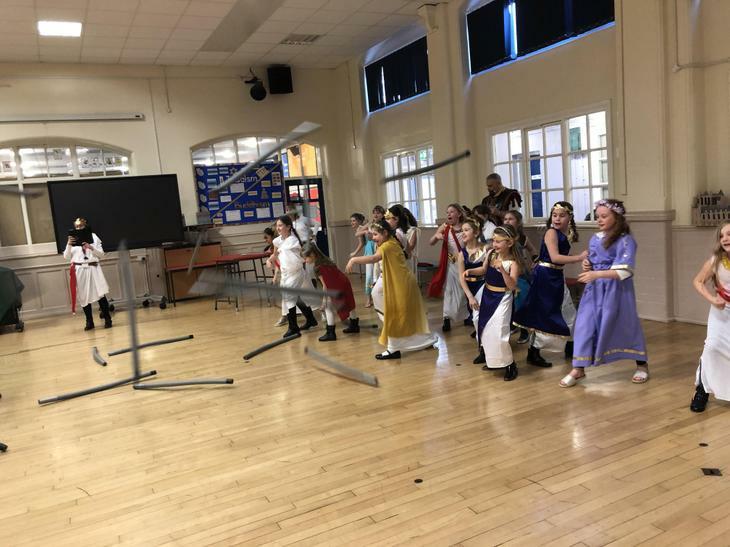 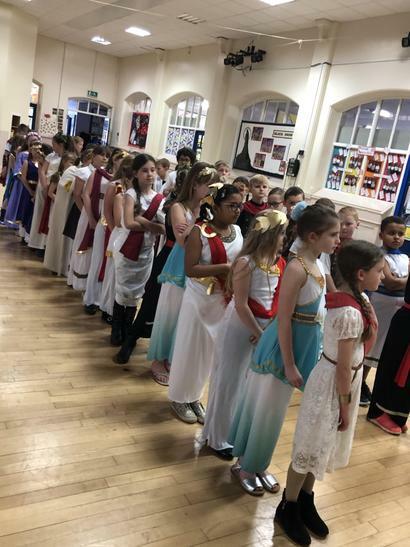 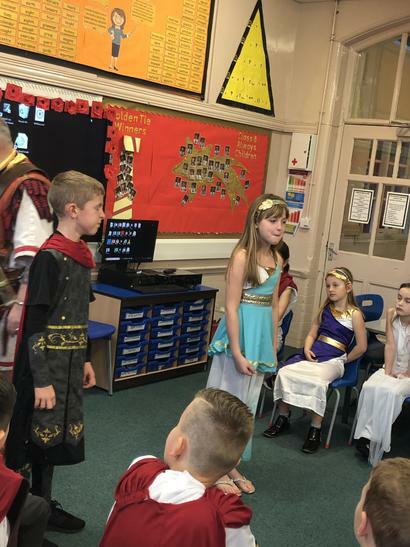 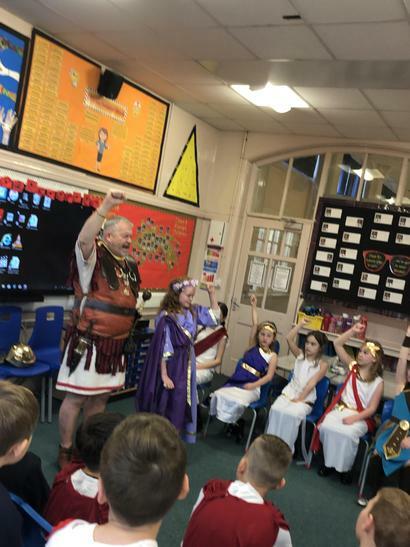 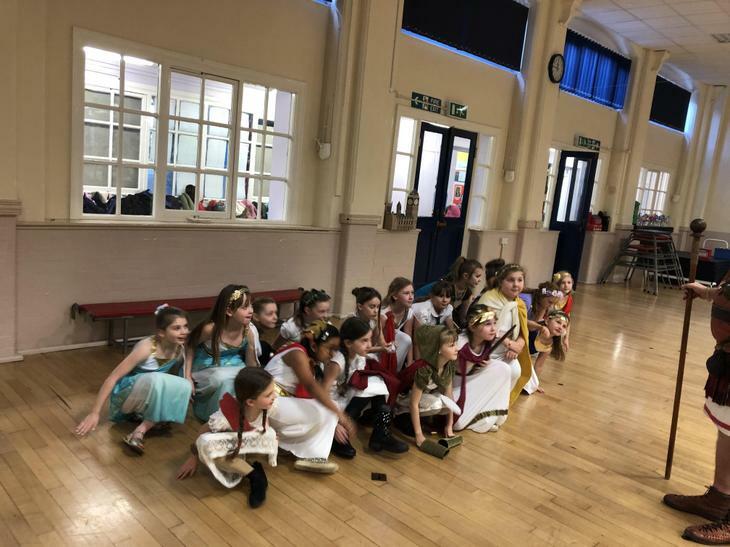 We had a fantastic day starting our learning about the Romans! 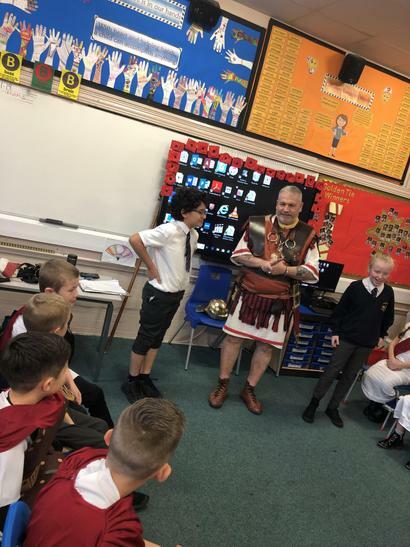 We spent the day with a Roman soldier and a Roman man. 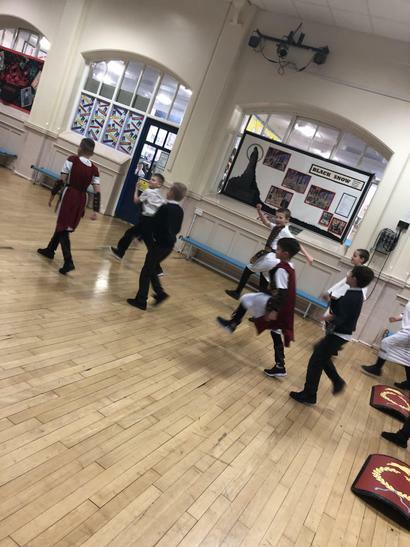 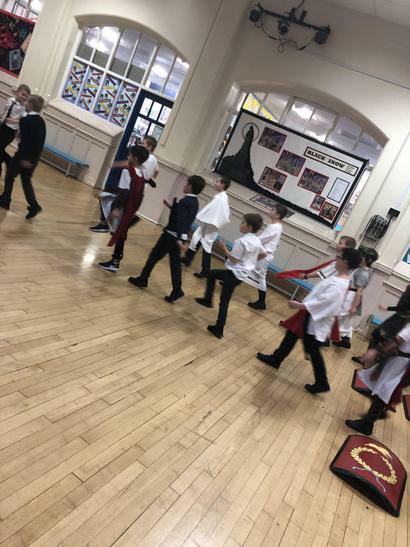 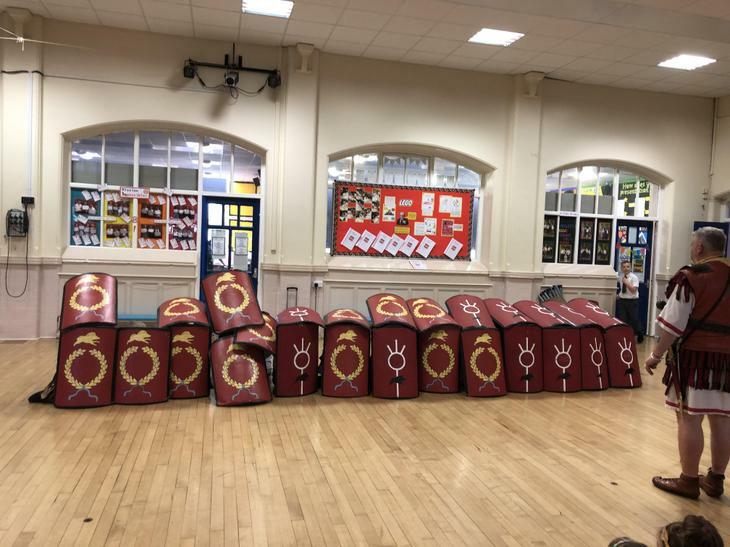 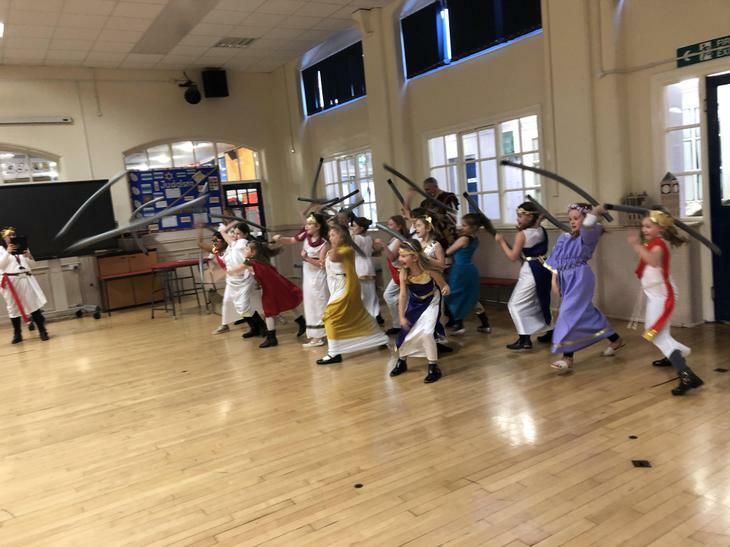 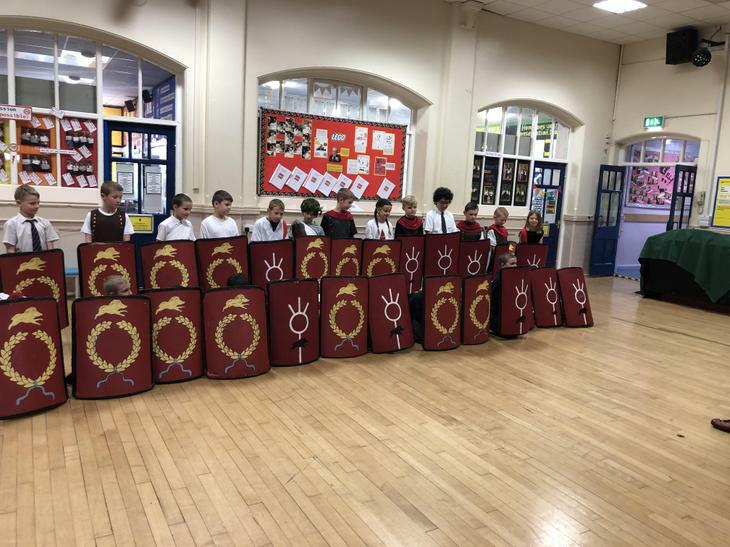 We learnt so much and we had a battle using shields and javelins! 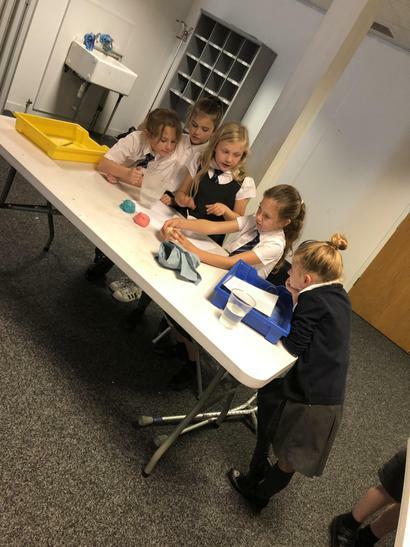 Our new science topic this term is Sound. 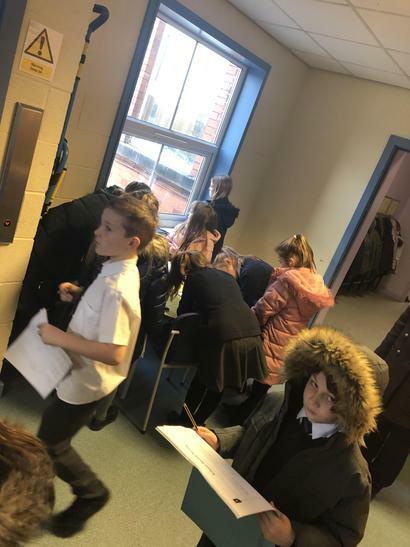 Today we began our learning by going on a sound walk around school. 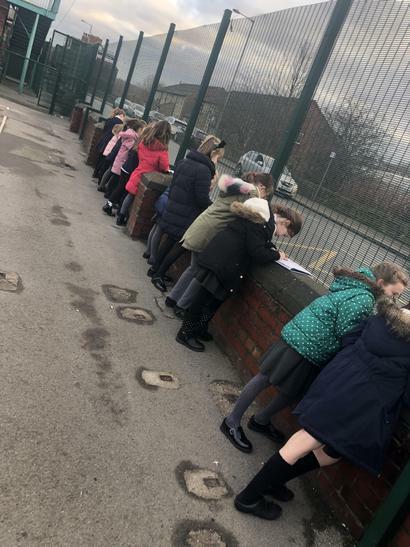 We went to different places around school to listen and record the different sounds we heard. 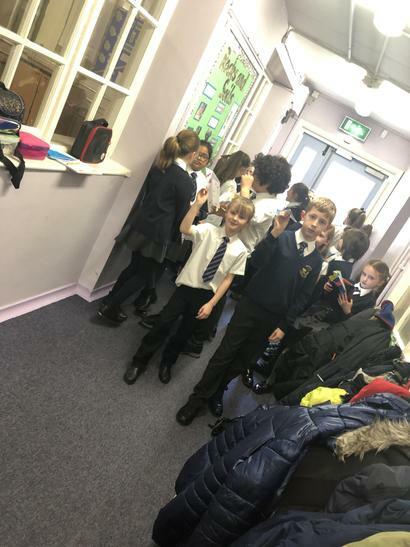 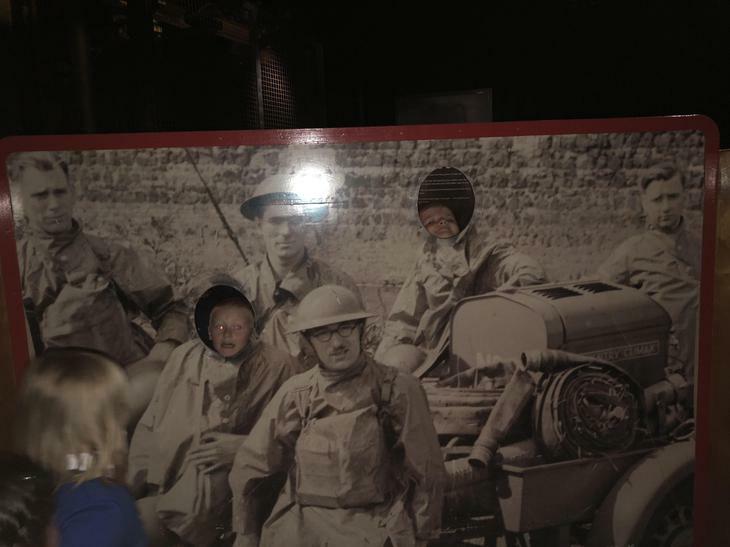 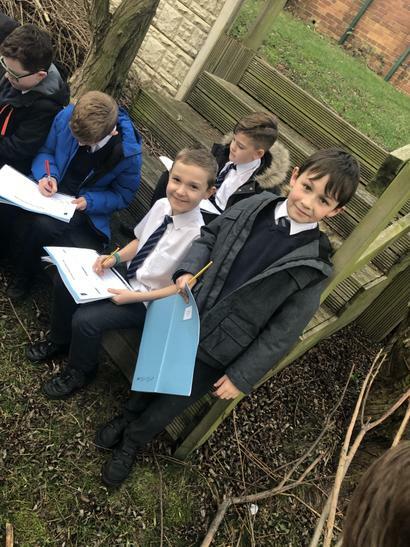 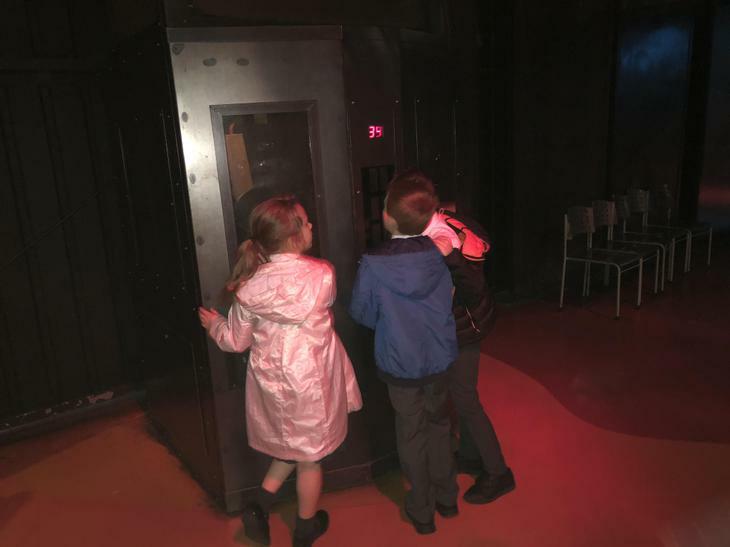 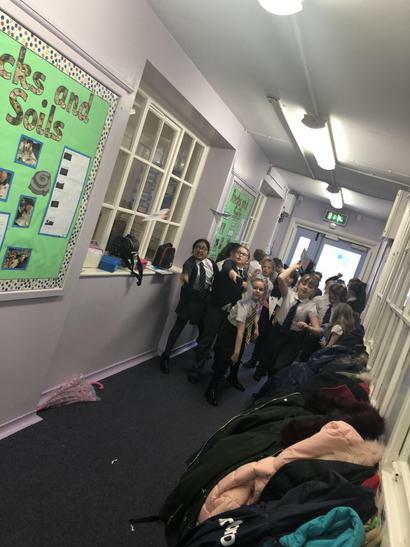 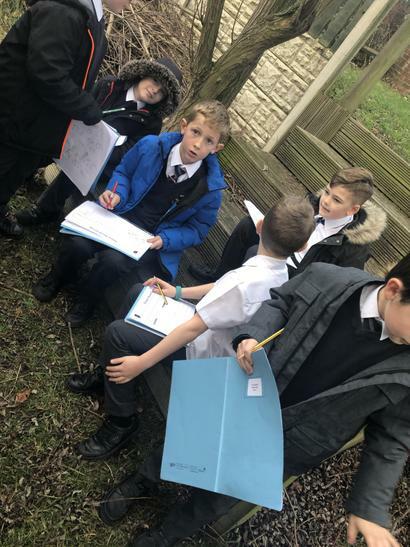 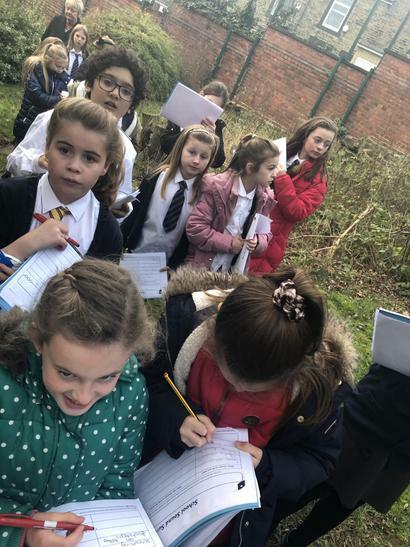 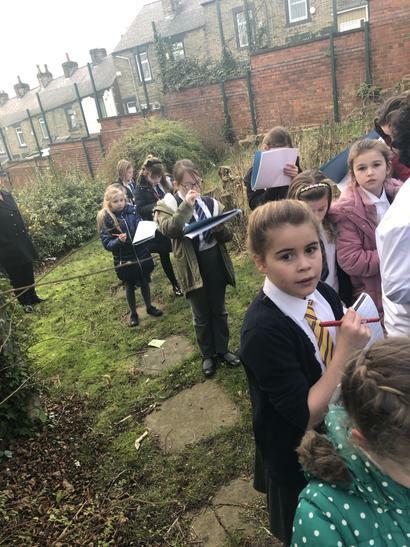 We then discussed the areas we visited, the sounds we heard, what caused the sounds and decided where was the quietest and noisiest place. 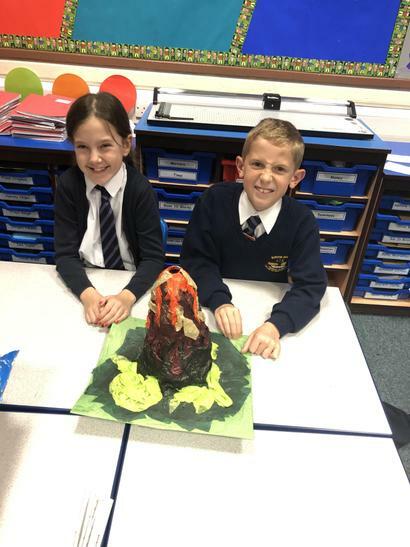 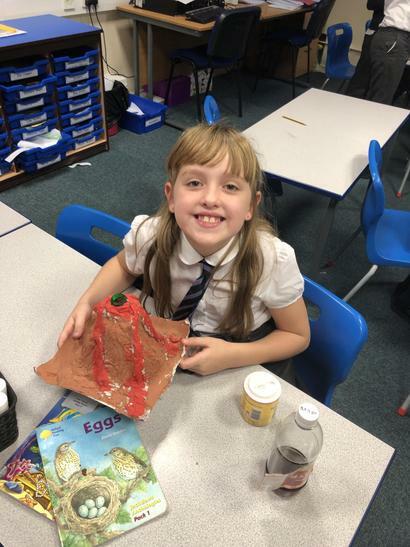 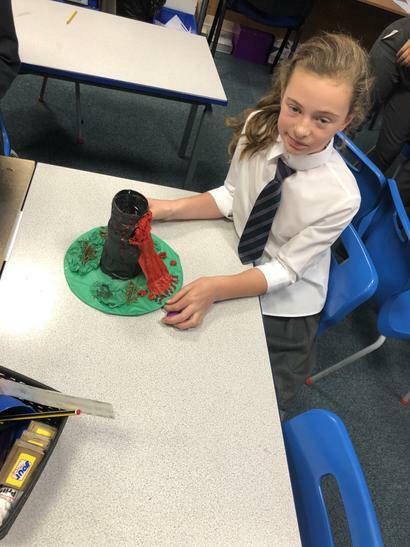 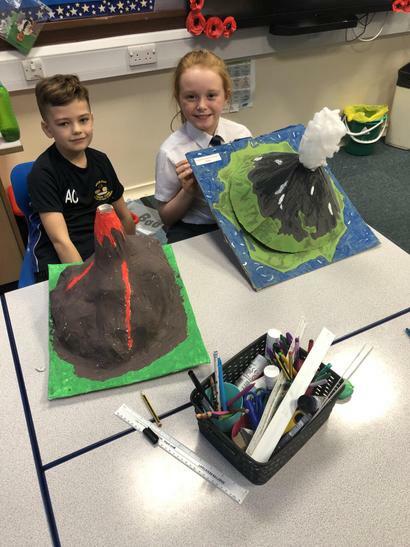 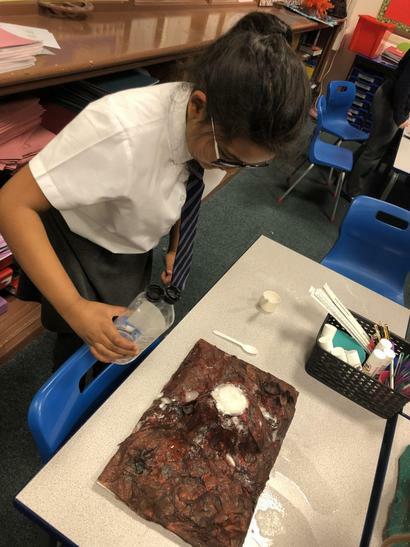 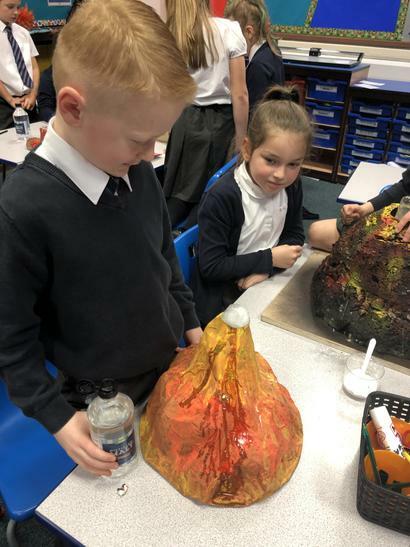 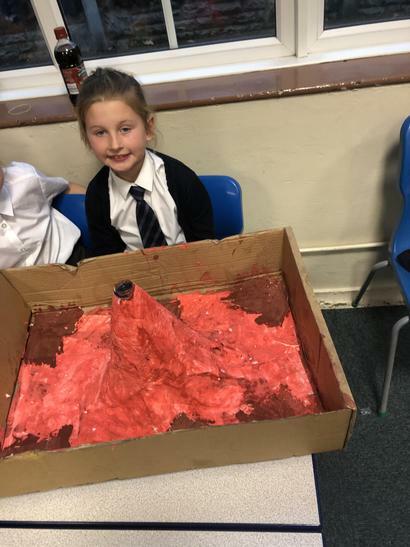 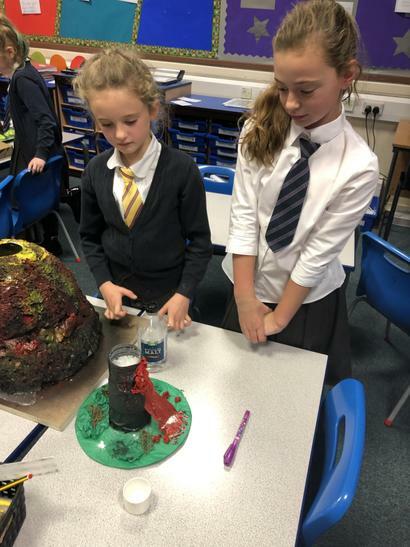 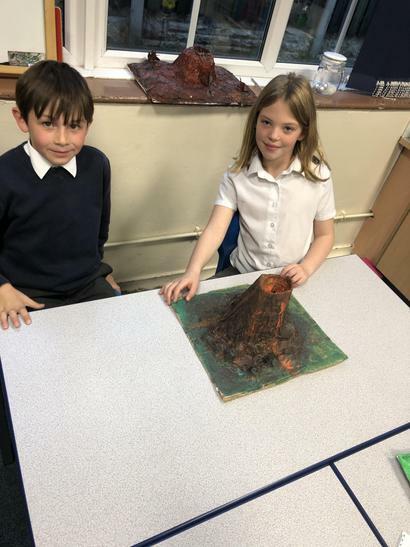 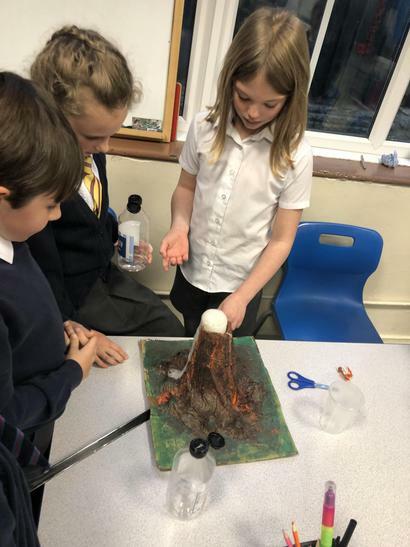 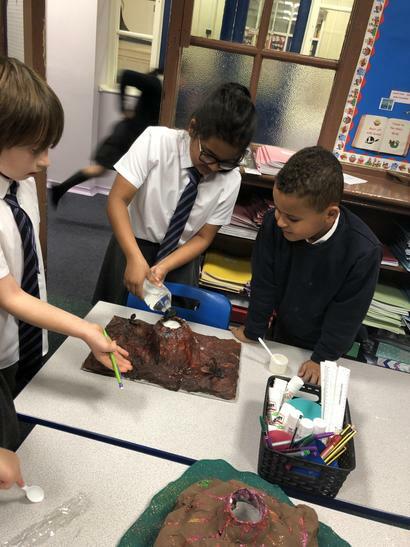 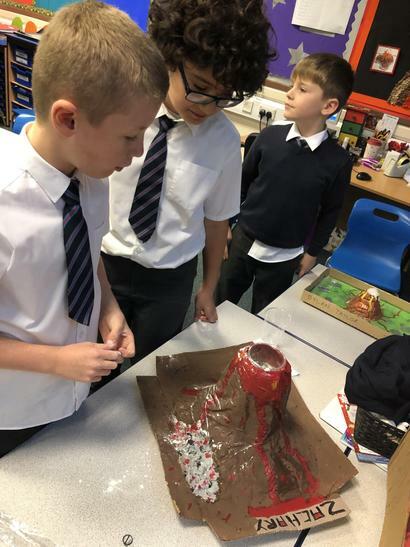 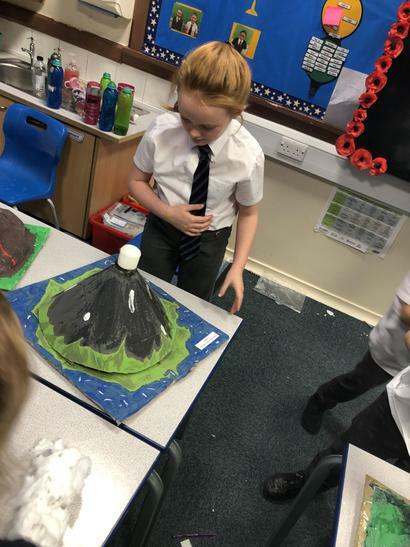 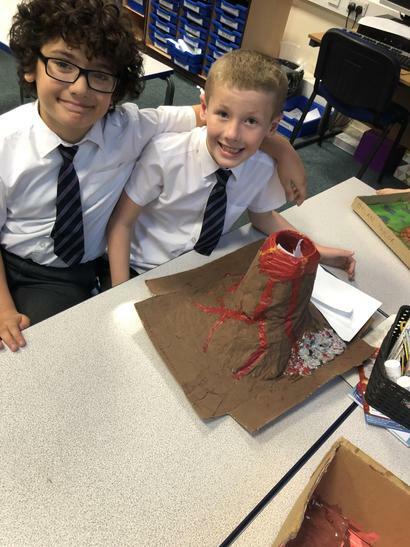 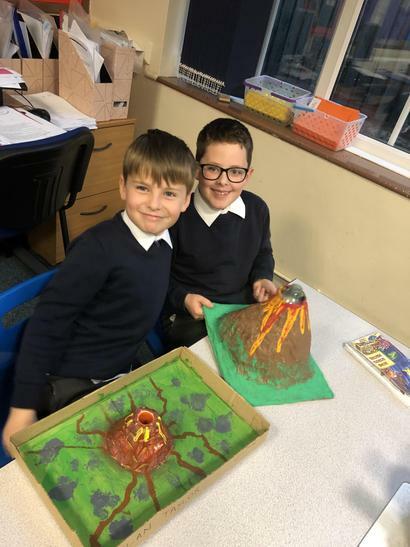 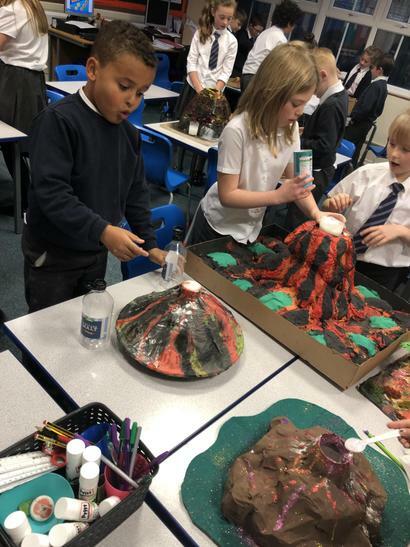 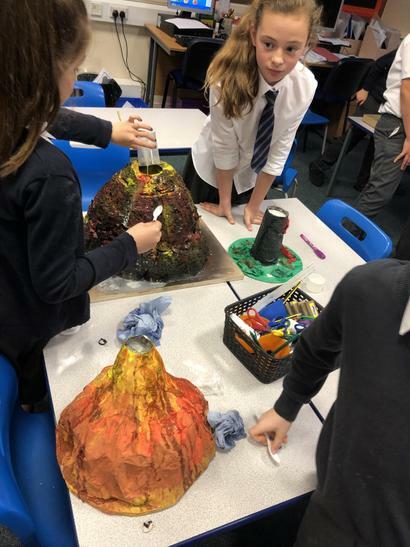 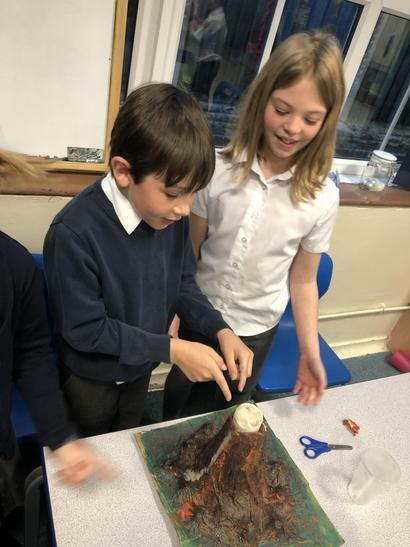 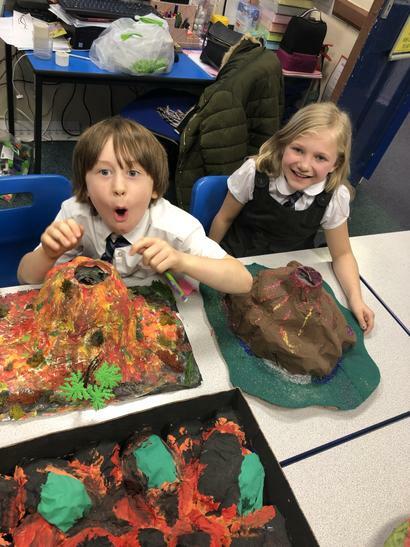 Class 9 have worked so hard making their own volcanos at home! 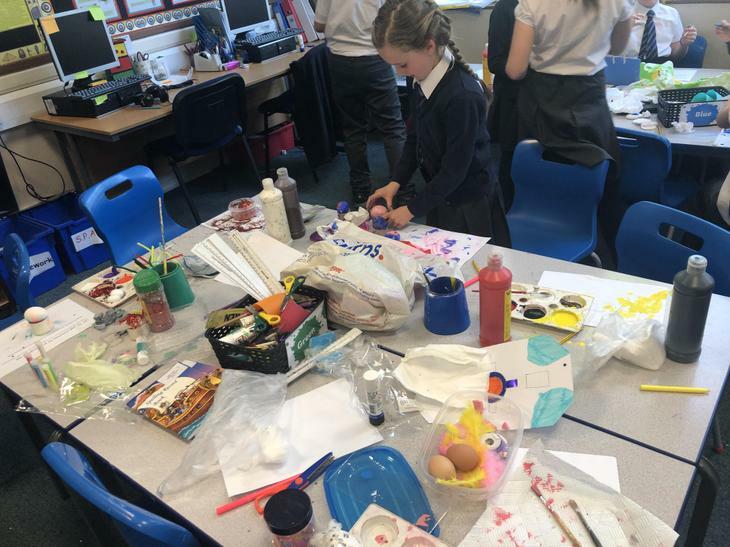 So many fantastic, creative ideas! 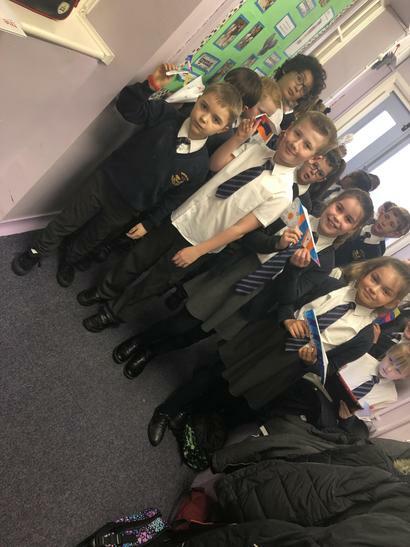 And together we had so much fun exploding them! 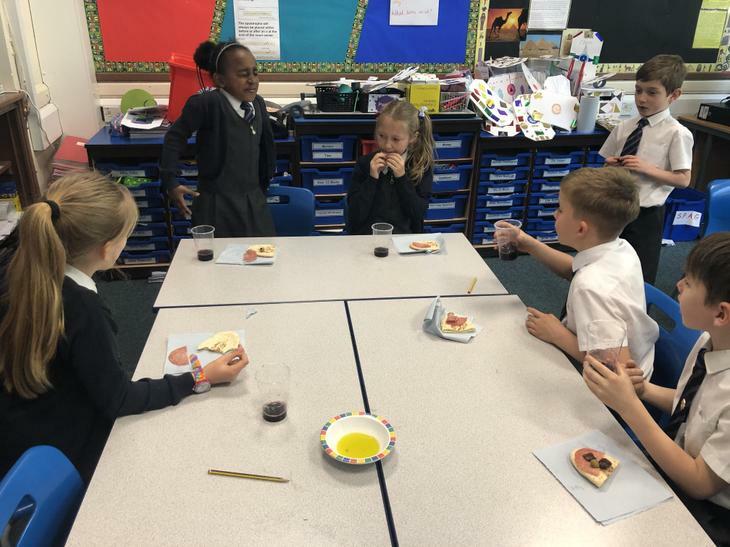 We discussed needing an acid and an alkaline to cause a reaction, therefore we used vinegar and baking powder. 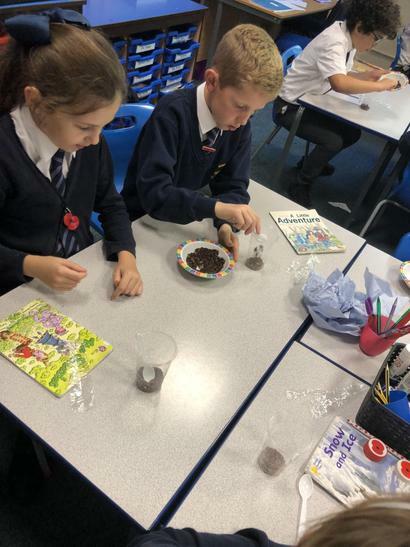 We spent the afternoon learning all about the history behind Rememberence Day and then made our own poppies. 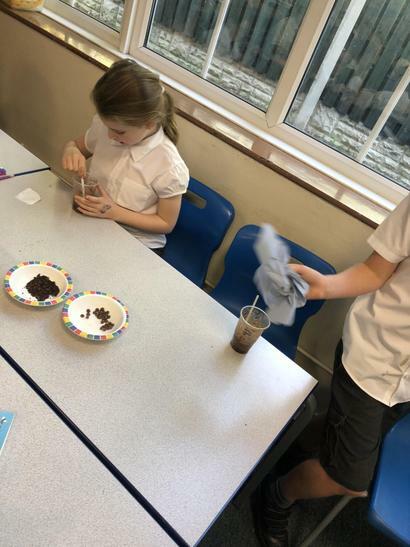 Today we had great fun furthering our learning on the different layers of soil. 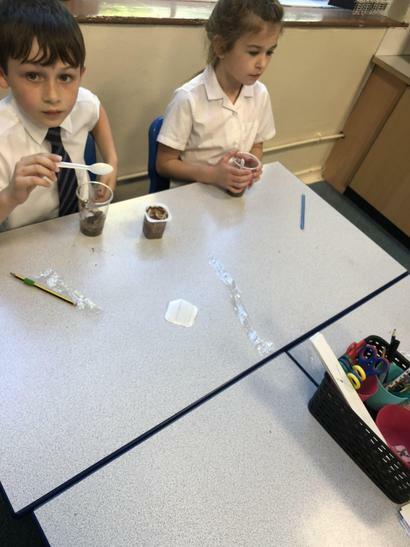 We created our own tasty soil discussing the different layers as we went along. 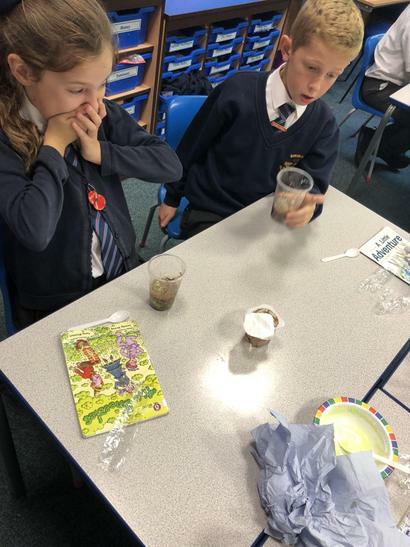 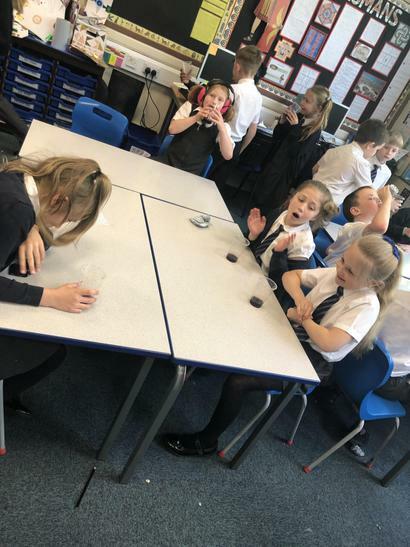 Who would have thought soil tasted go good! 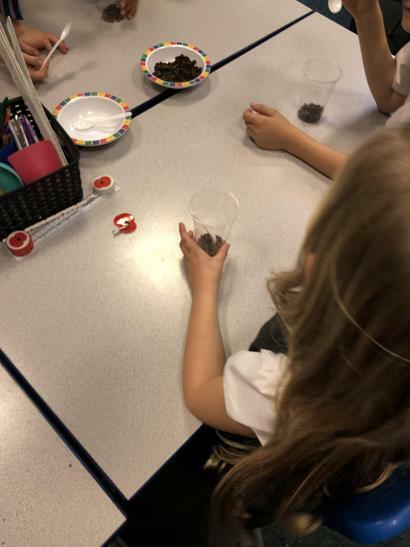 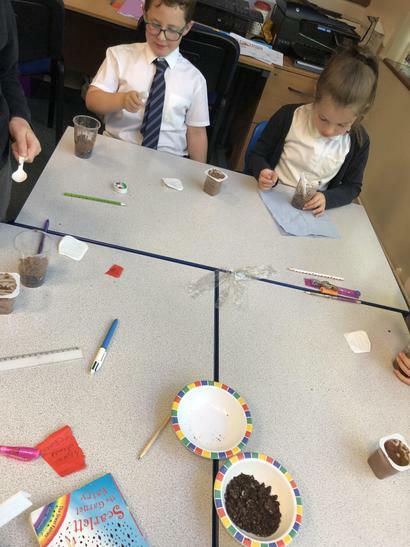 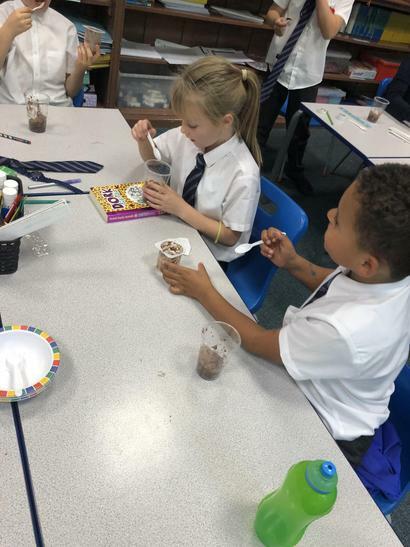 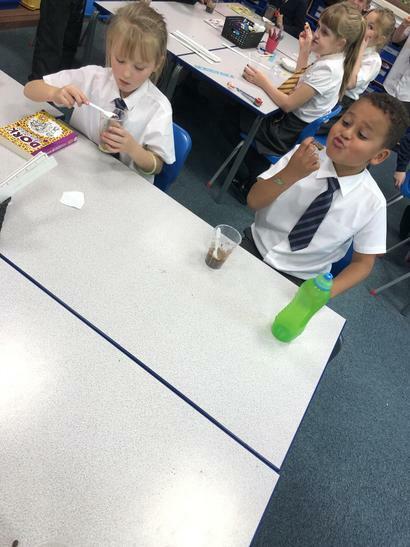 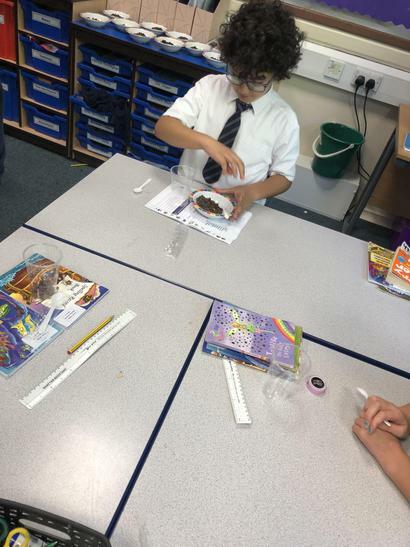 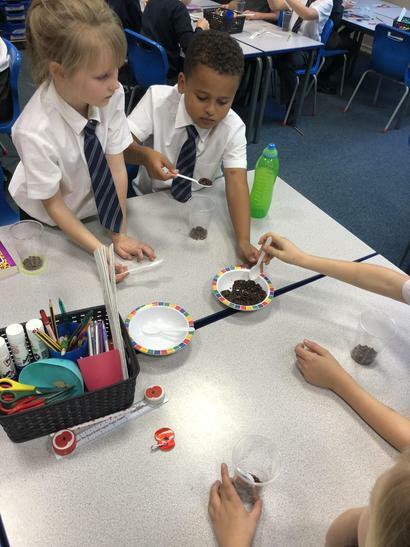 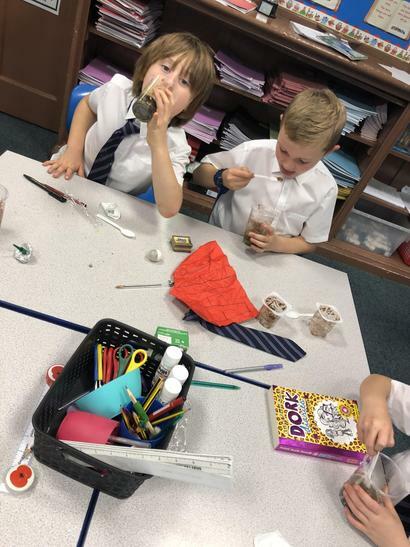 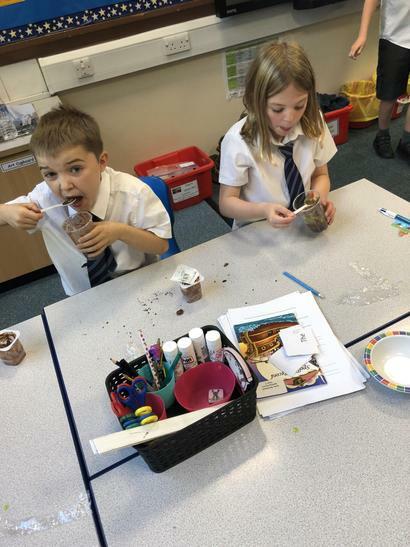 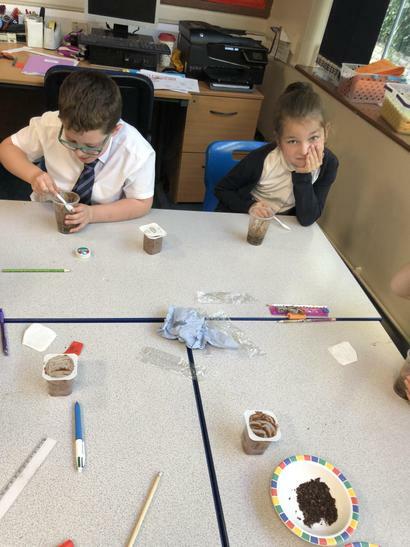 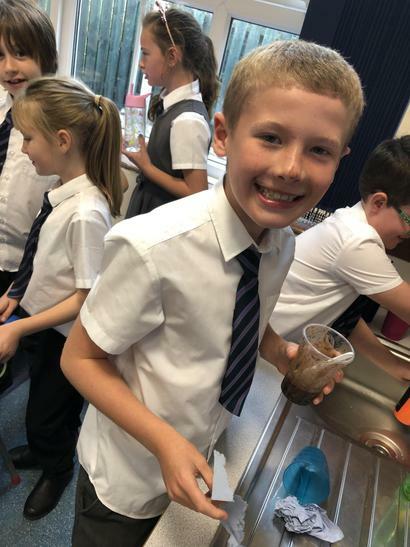 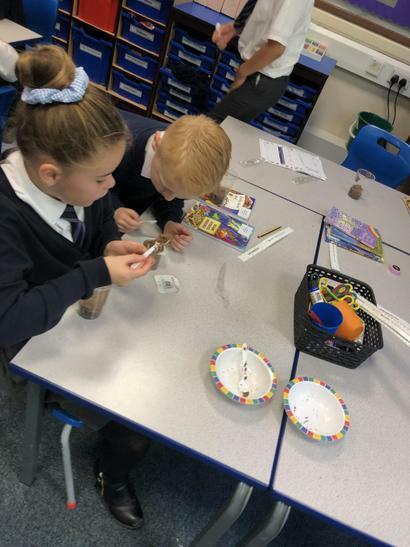 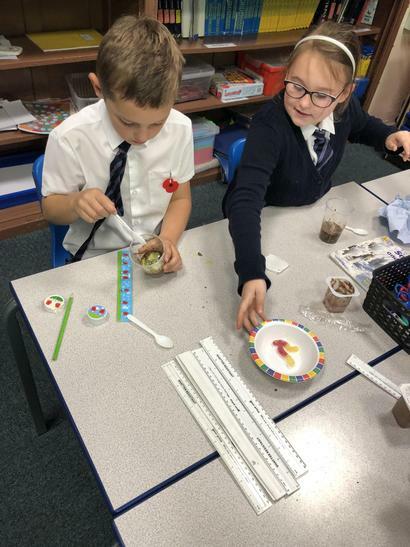 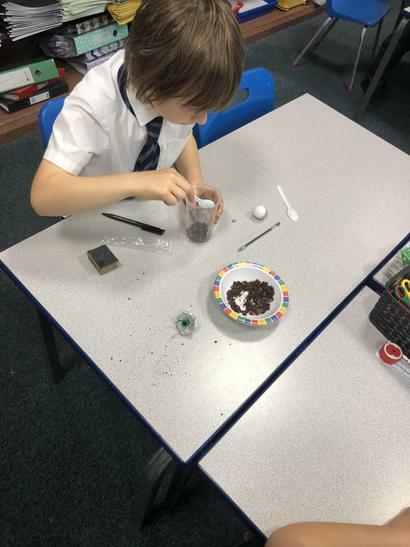 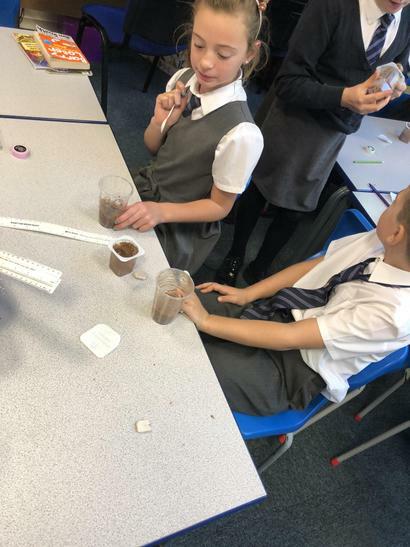 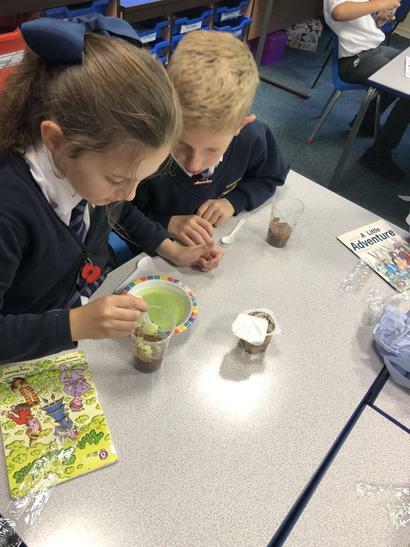 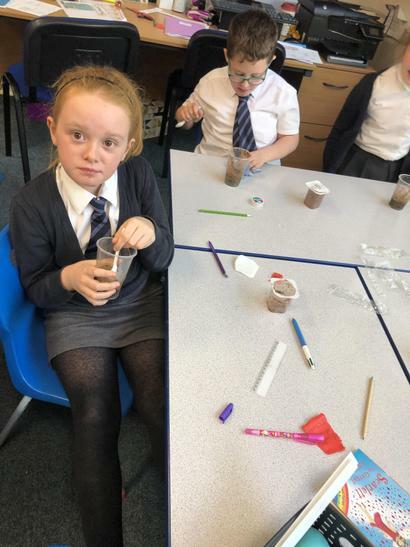 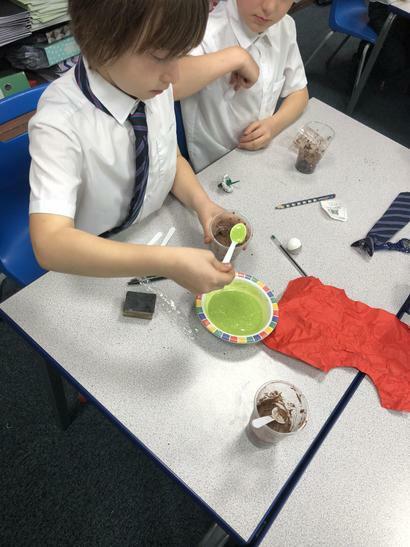 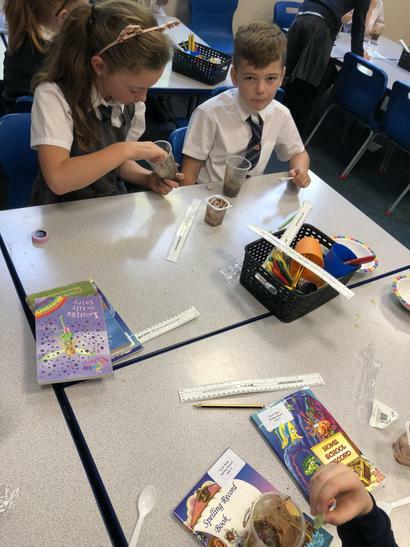 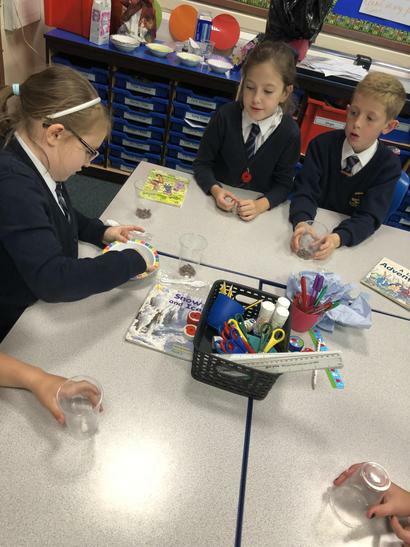 Today we have been learning all about soil formation and the different layers of soil. 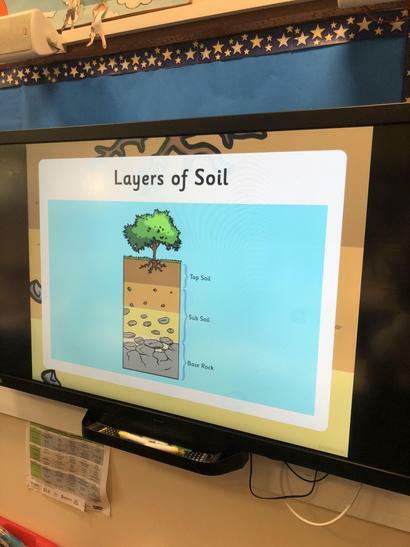 We enjoyed watching a video clip telling us all about soil and then drew a diagram to show the different layers! 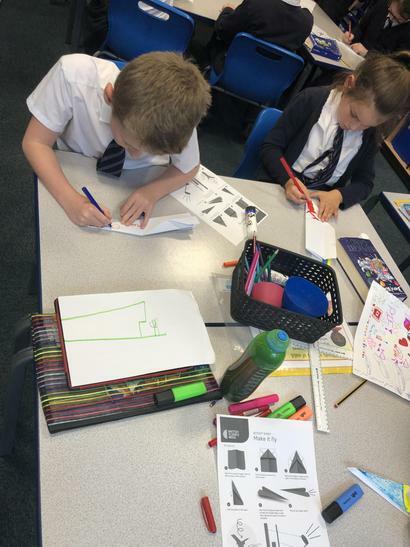 We produced some fantastic diagrams! 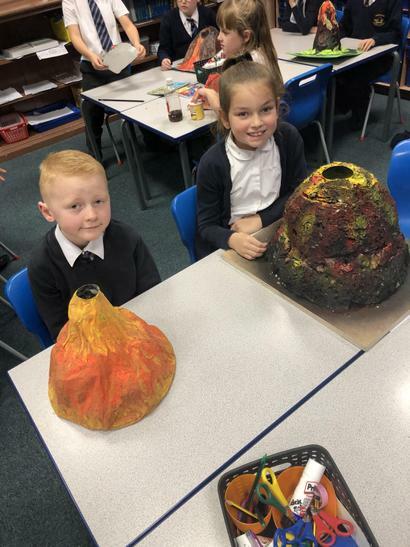 Our topic this term is Active Planet. 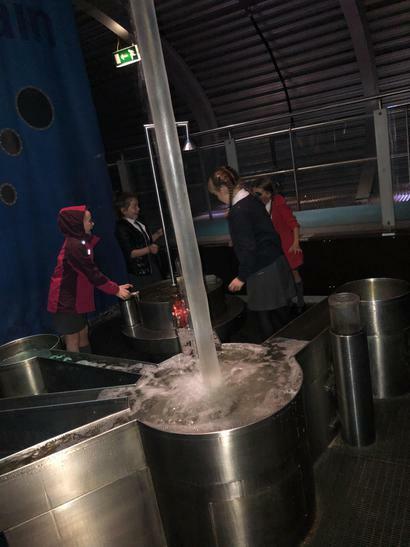 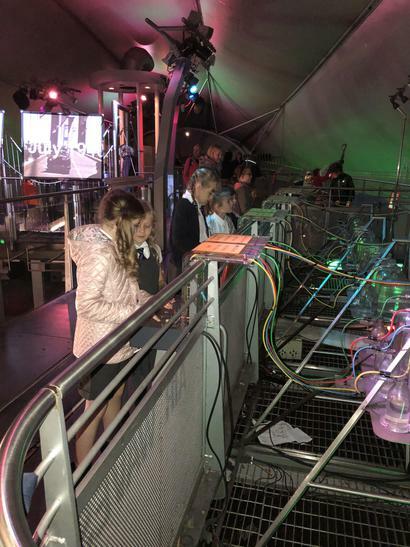 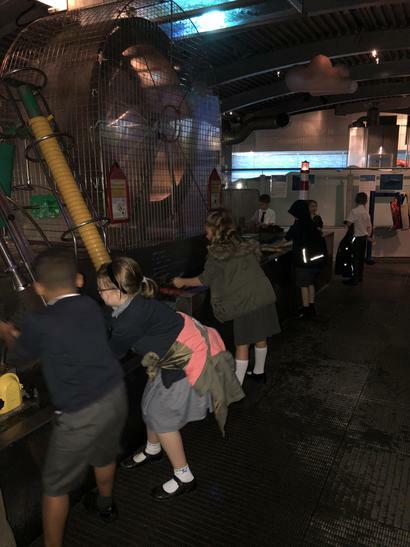 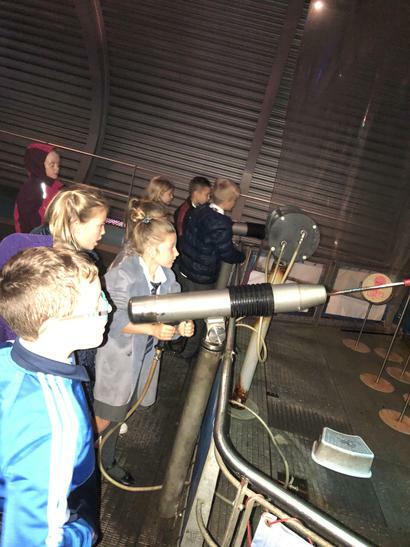 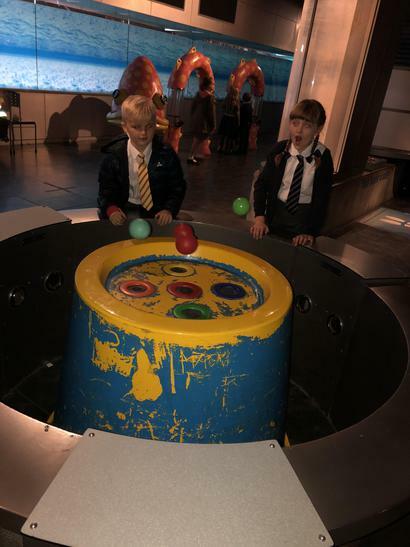 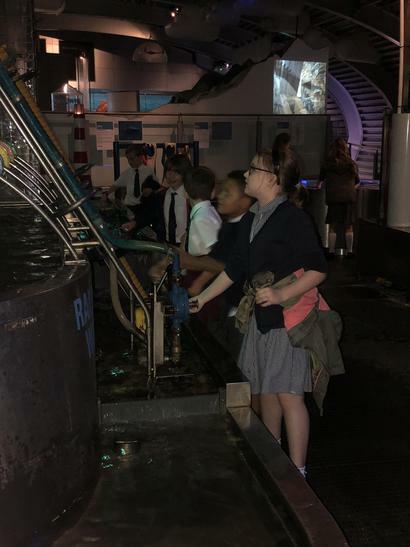 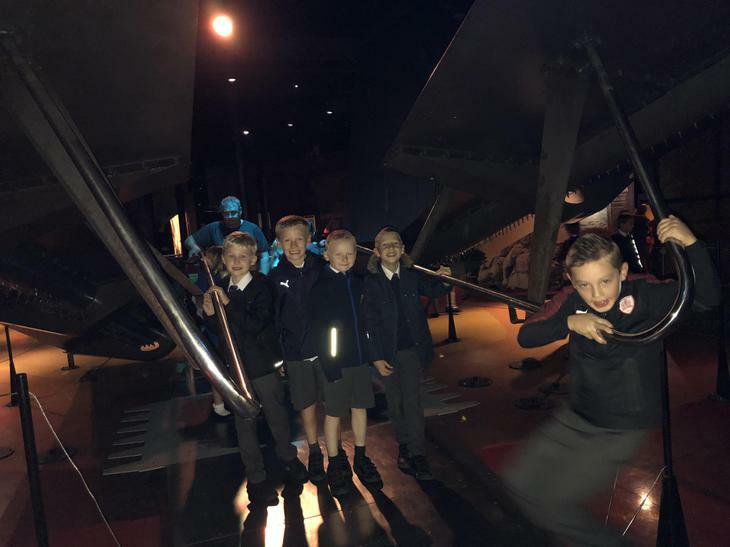 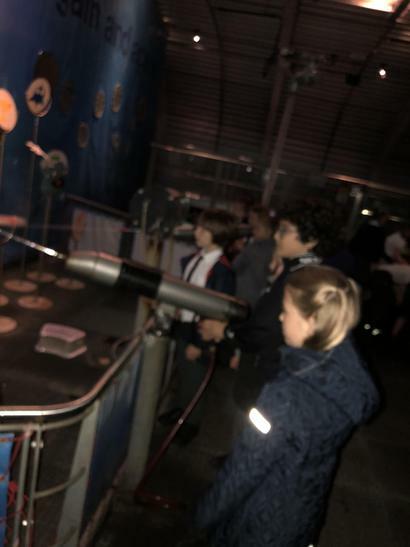 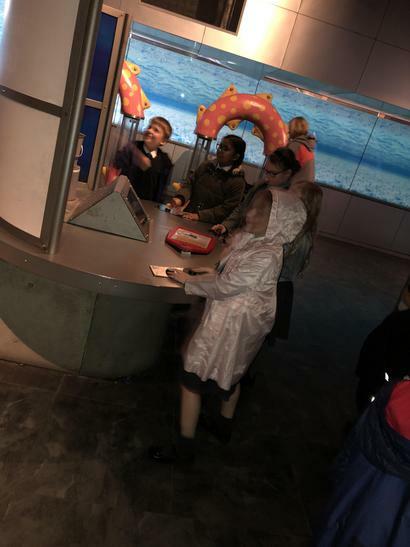 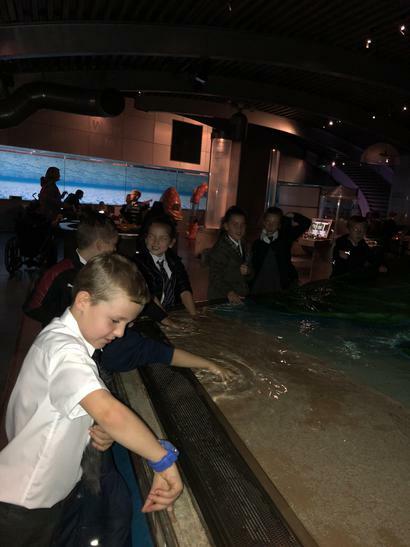 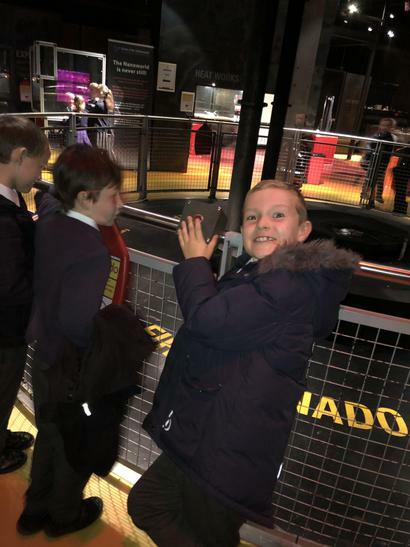 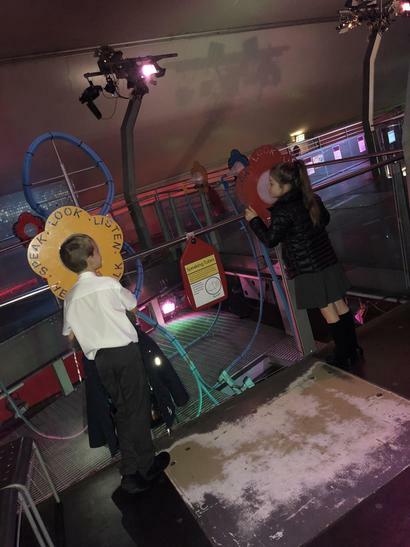 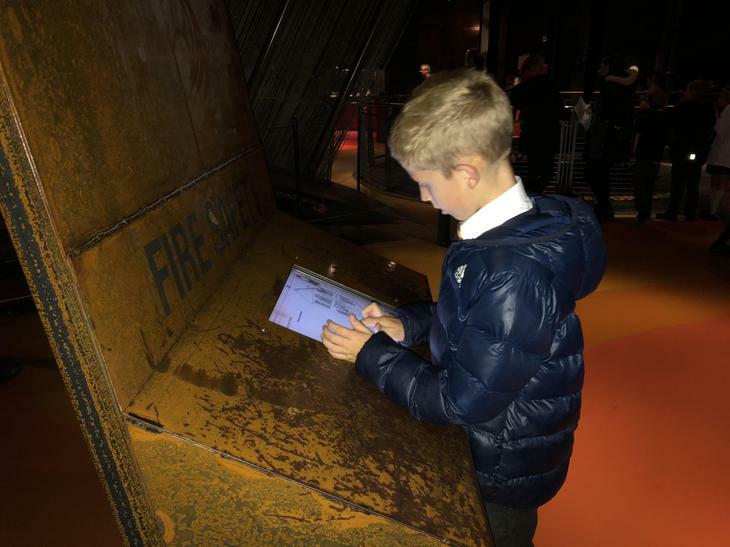 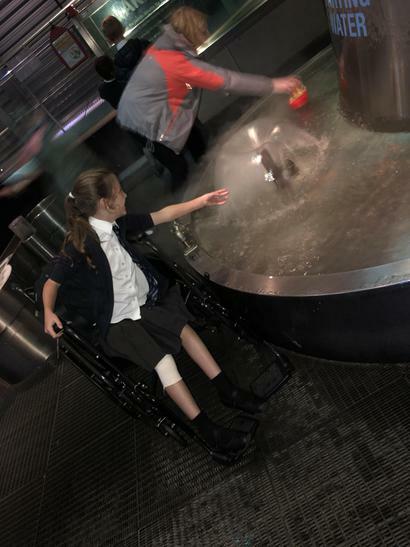 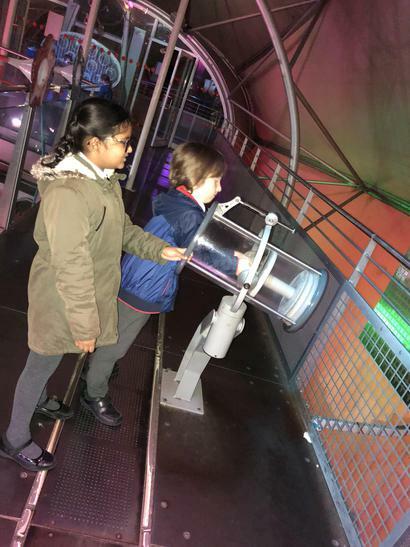 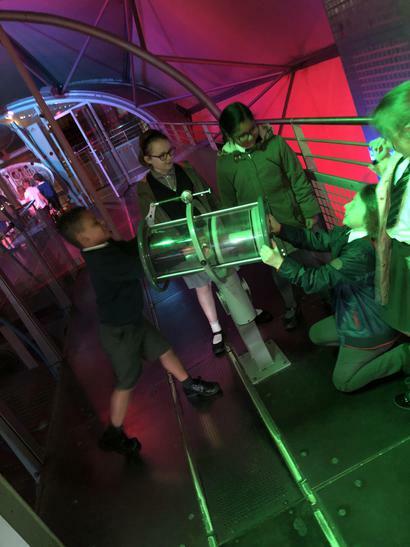 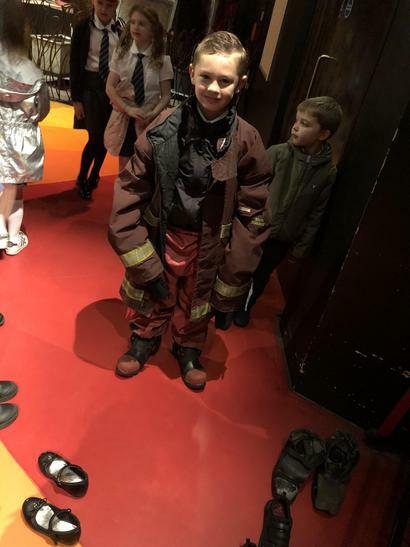 We had a fantastic day at Magna as an entry point to our studies.